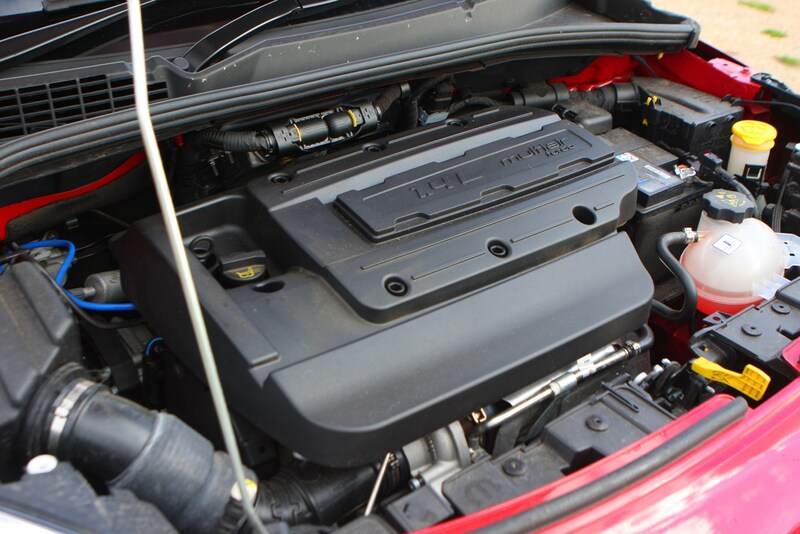 Of the three petrol engine options following the 2018 facelift, we’ve driven two so far, with the E-Torq non-turbo 1.6 only available in base-spec cars the one we’re yet to sample. 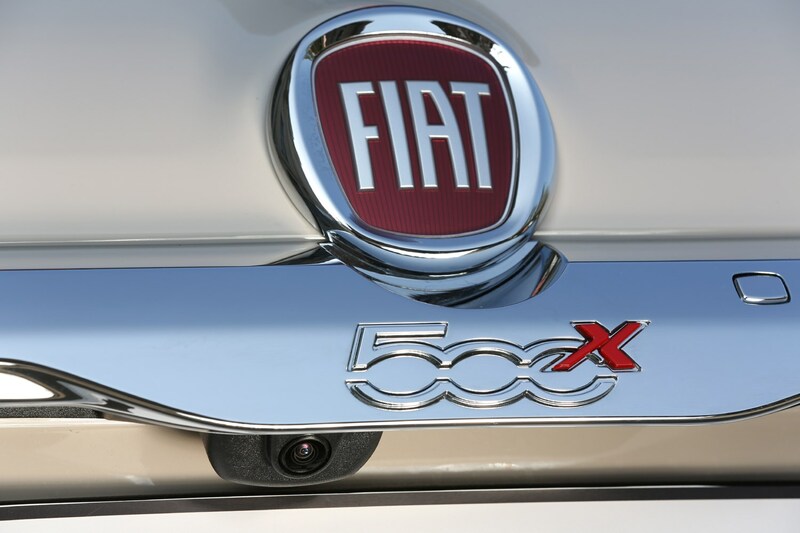 Fiat doesn’t think it’ll sell a lot of these anyway, though. 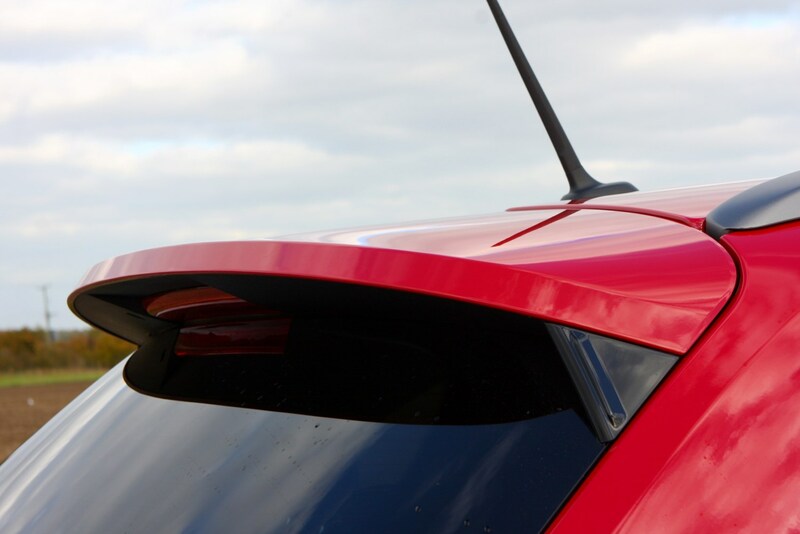 For the record, it has 110hp and 152Nm, covers 0-62mph in 11.5 seconds and will hit a top speed of 112mph. 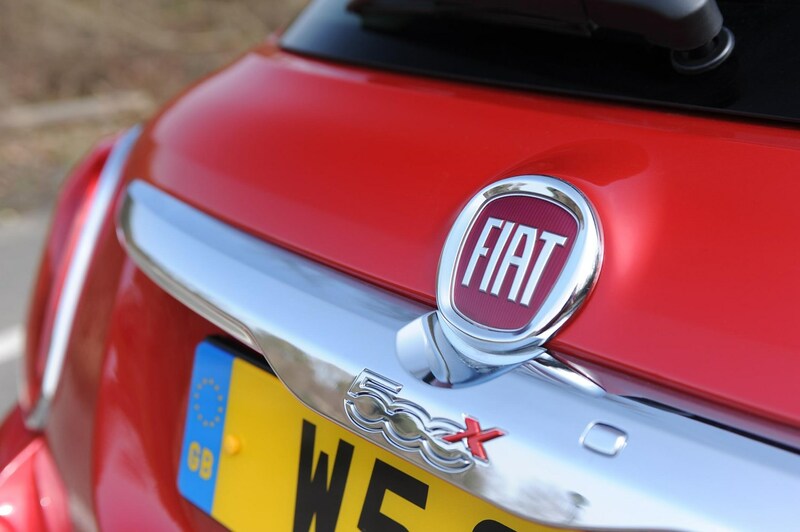 This is our pick of the X line-up. 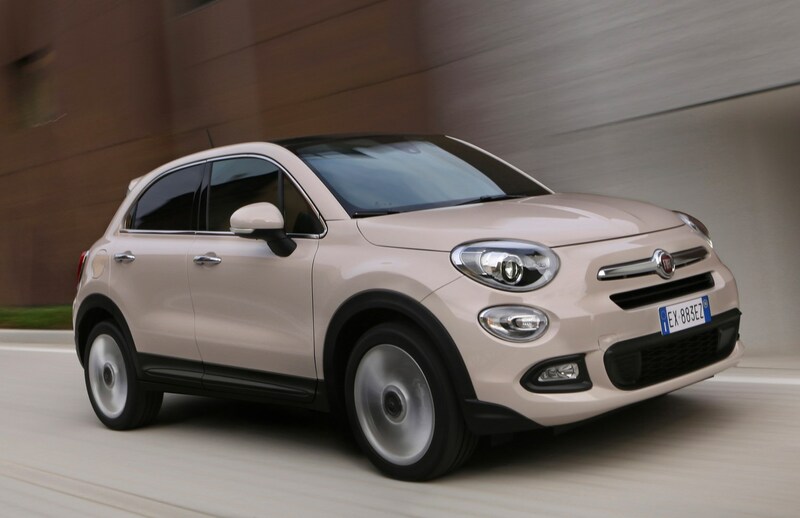 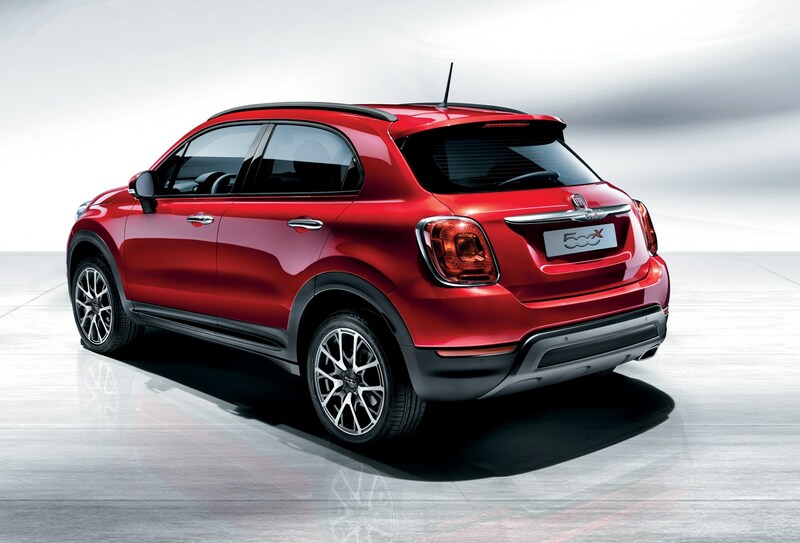 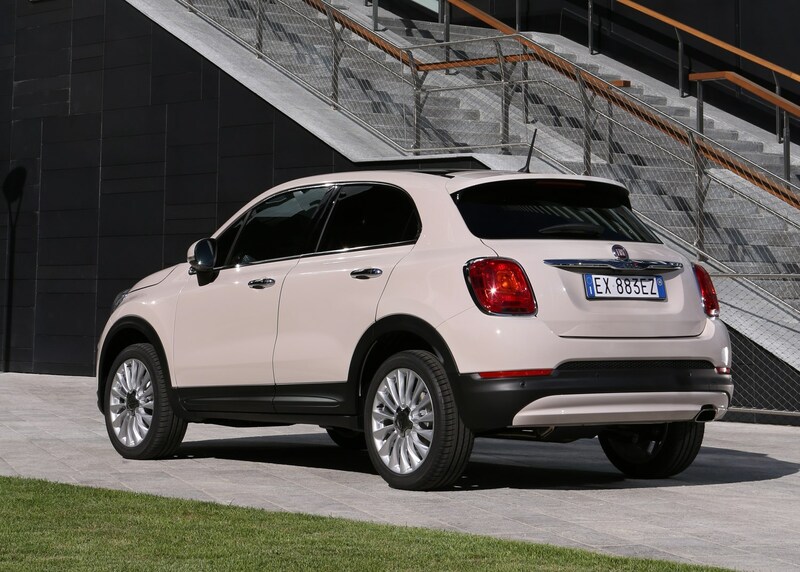 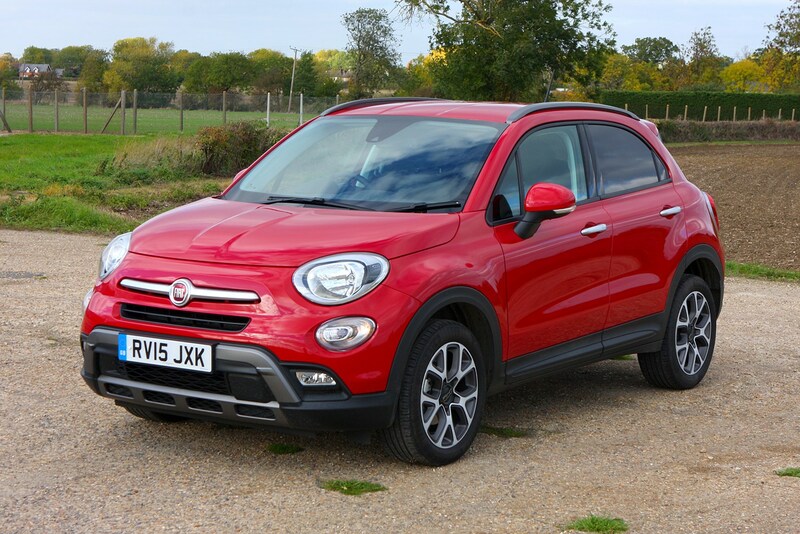 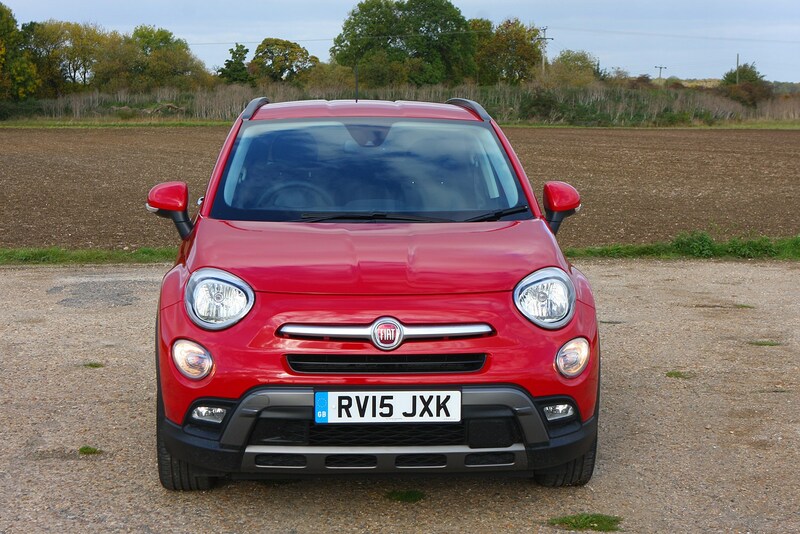 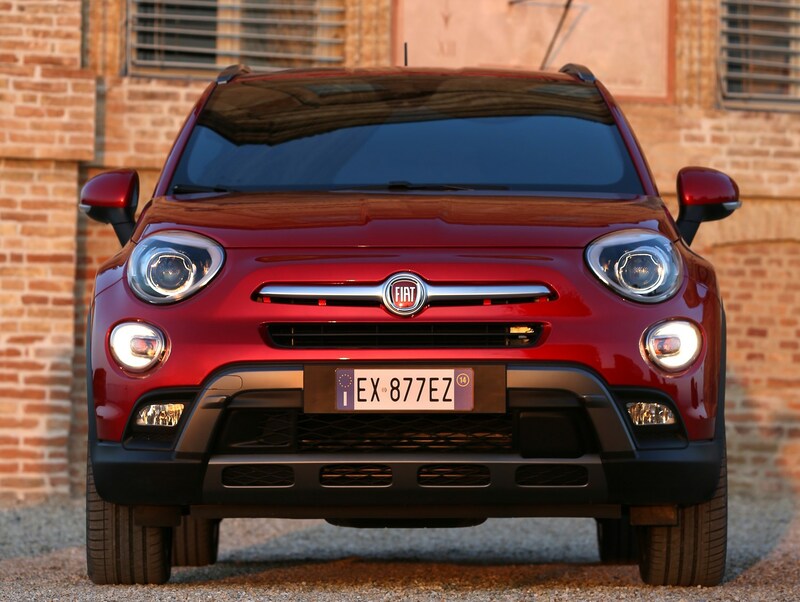 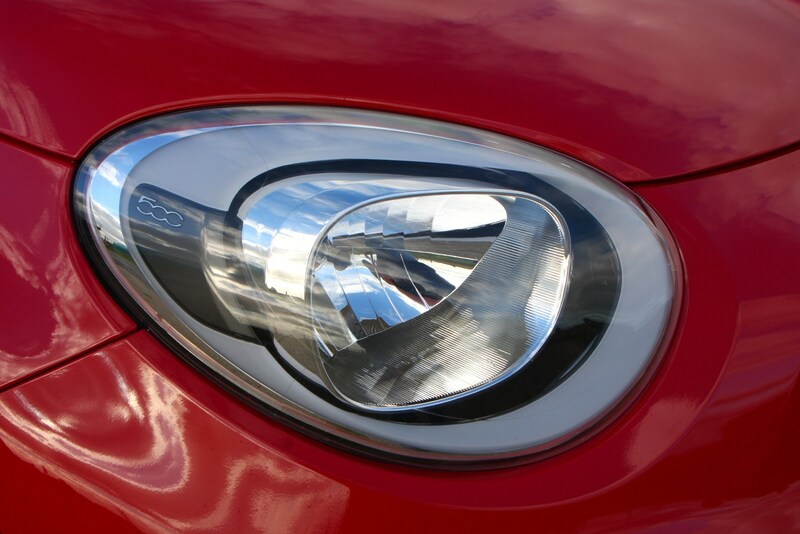 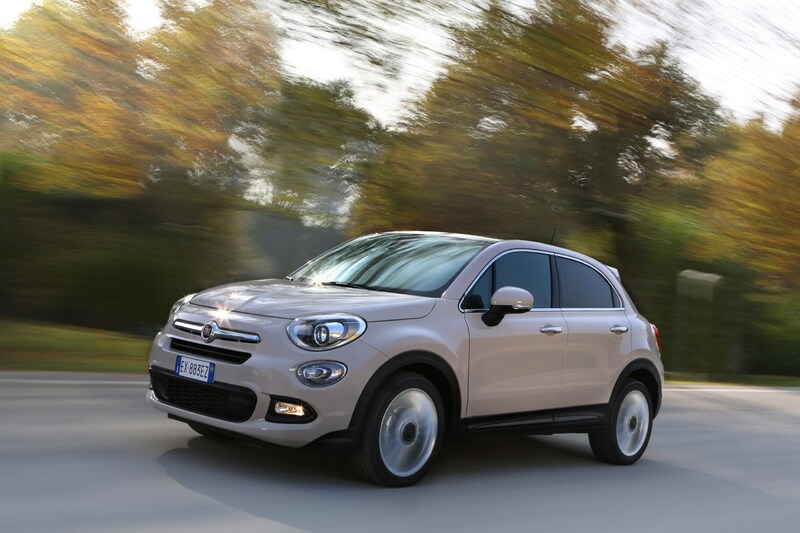 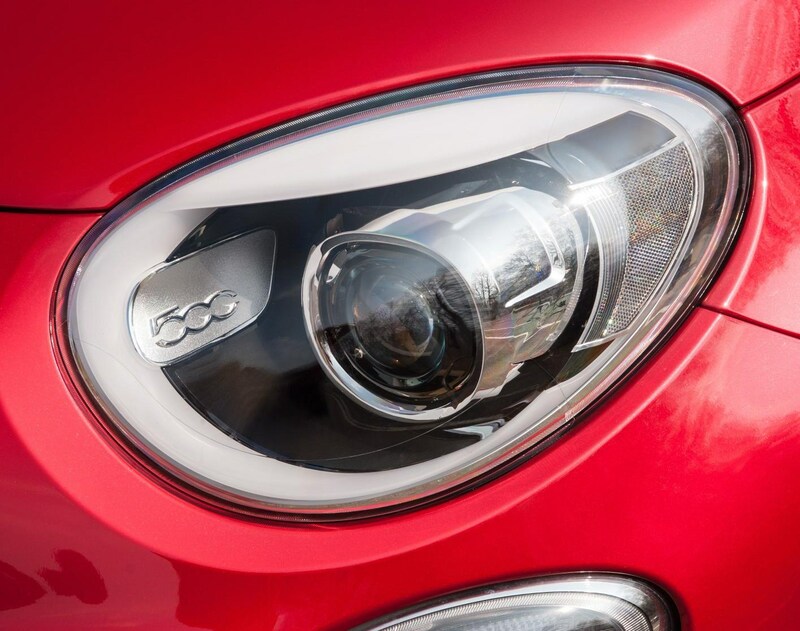 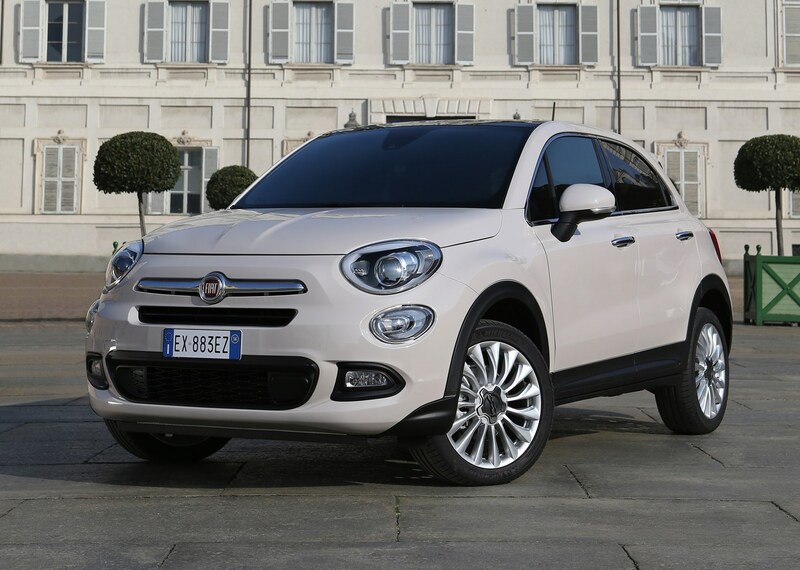 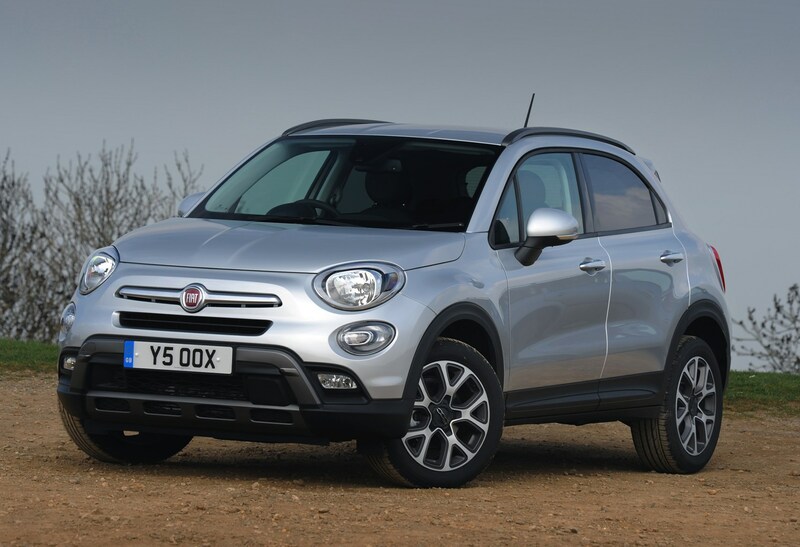 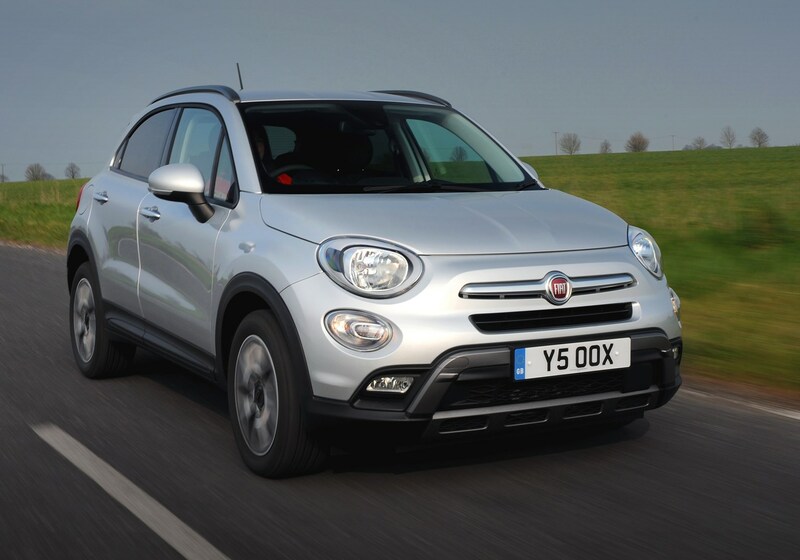 It’s available exclusively with a six-speed manual gearbox and has all the character you expect given the 500X’s cutesy looks. 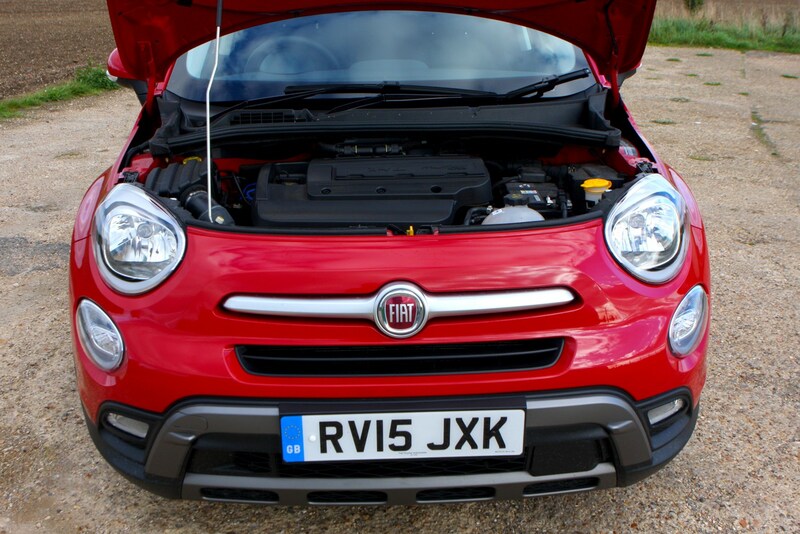 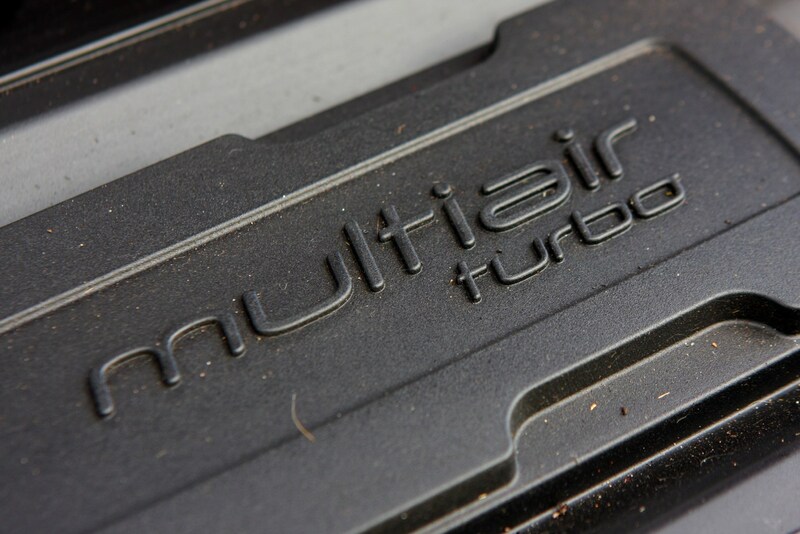 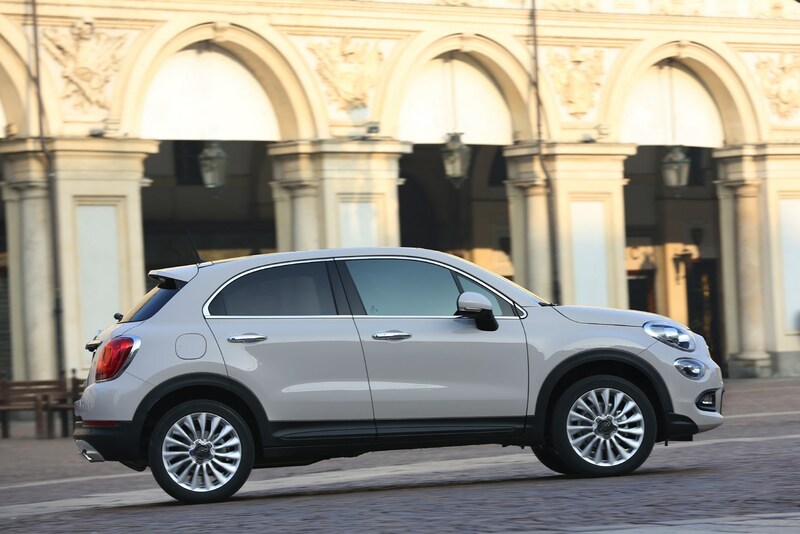 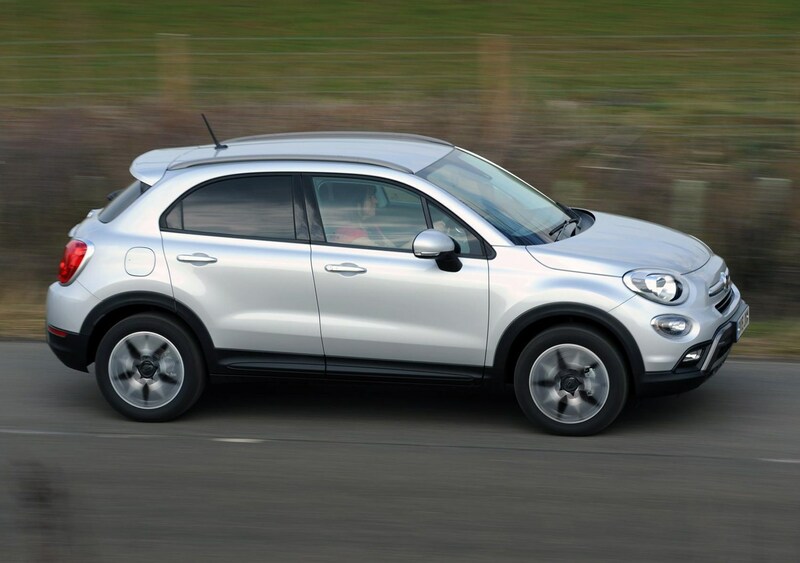 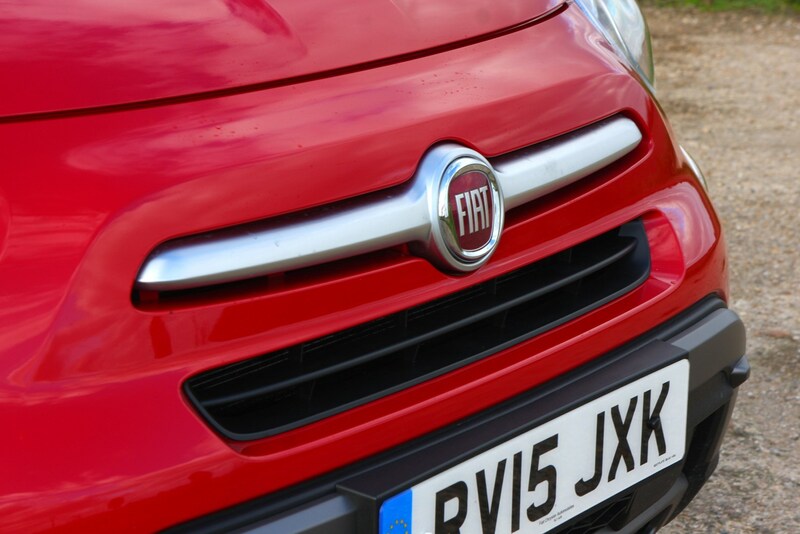 Fiat’s engineers have tried to iron out some of the vibration you often experience with three-cylinder motors by adding extra balancing, but there was still enough of a thrum there to make it feel the more interesting of the two turbocharged petrol engines. 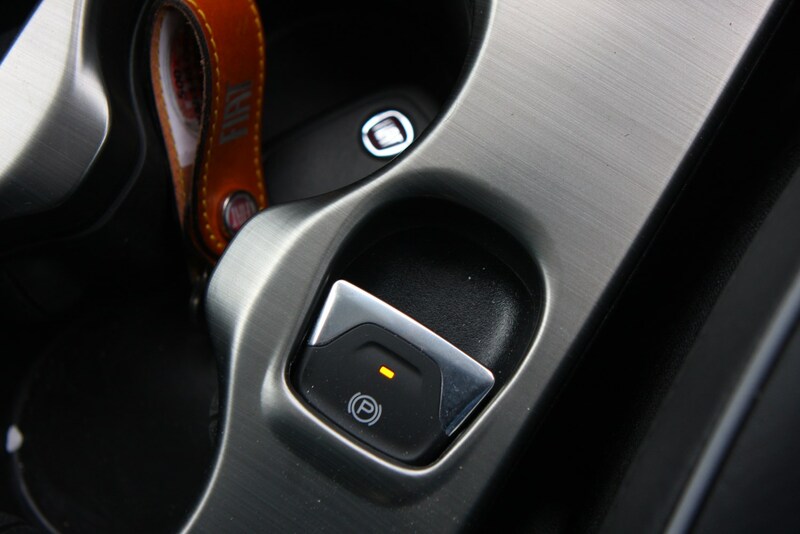 We found the gearbox was solid-shifting and nice enough to use, though the throw a touch longer than we’d prefer. 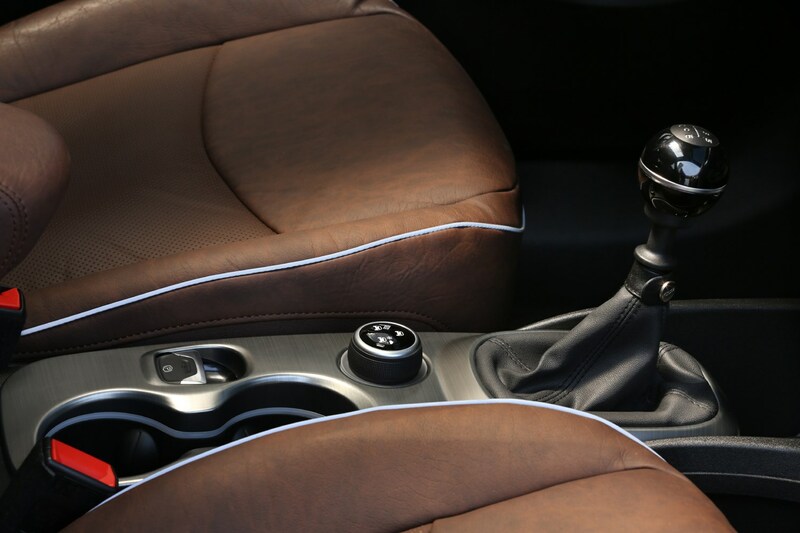 The large spherical gearknob took a little getting used to as well. 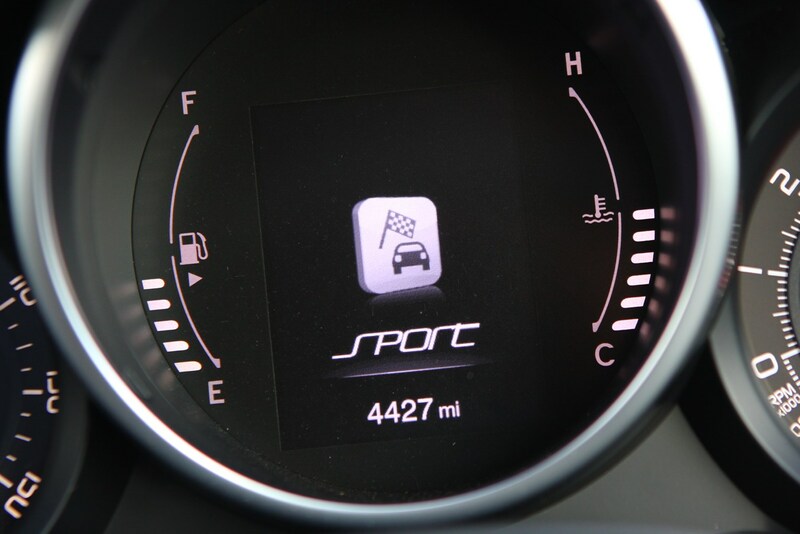 Power output is 120hp and torque is 190Nm, and this one’s 0-62mph time is 10.9 seconds while top speed is 117mph. 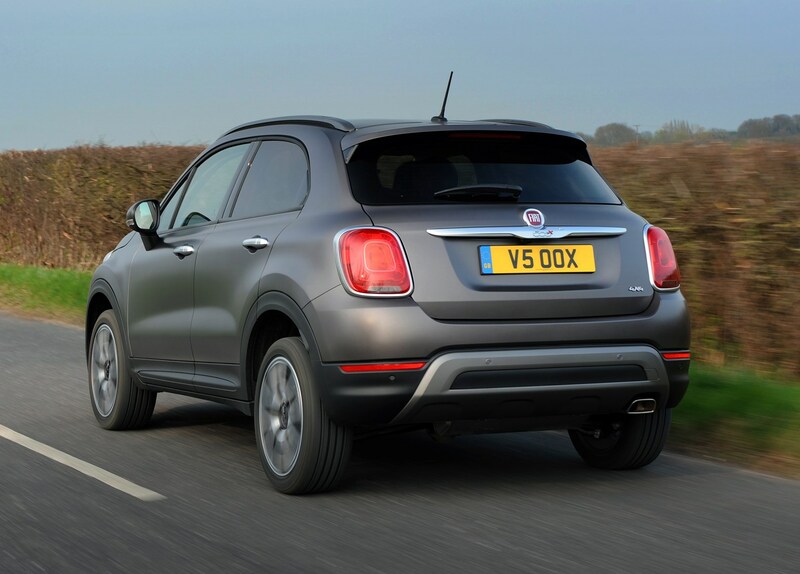 If you don’t fancy the idea of changing gears yourself, or indeed can’t use a manual gearbox for any reason, then you won’t be disappointed with the automatic 500X. 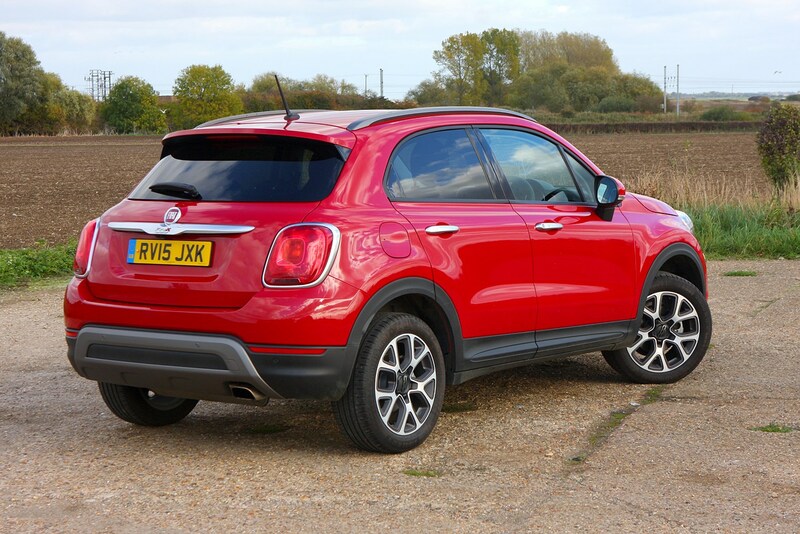 It’s only available with a 1.3-litre Firefly engine, which has four cylinders instead of the 1.0-litre’s three, so it’s slightly less characterful, but also more powerful. 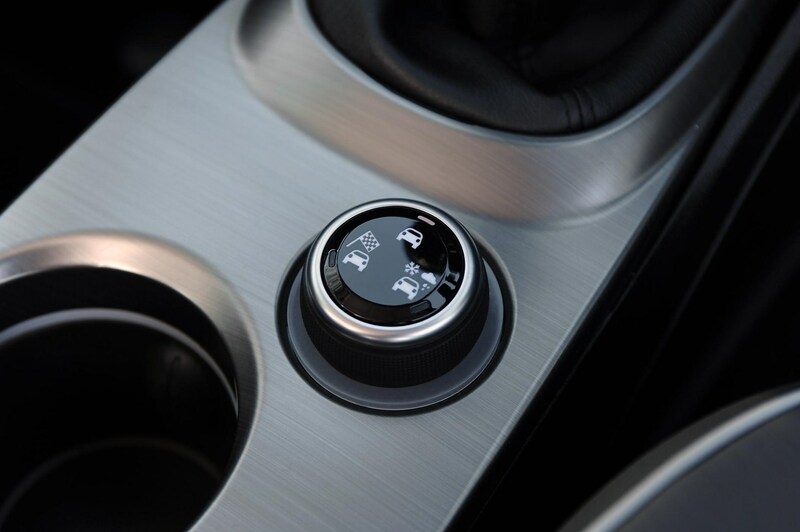 The gearbox is a six-speed twin-clutch unit, which means it shifts very quickly and smoothly, making easy, fuss-free work of accelerating. 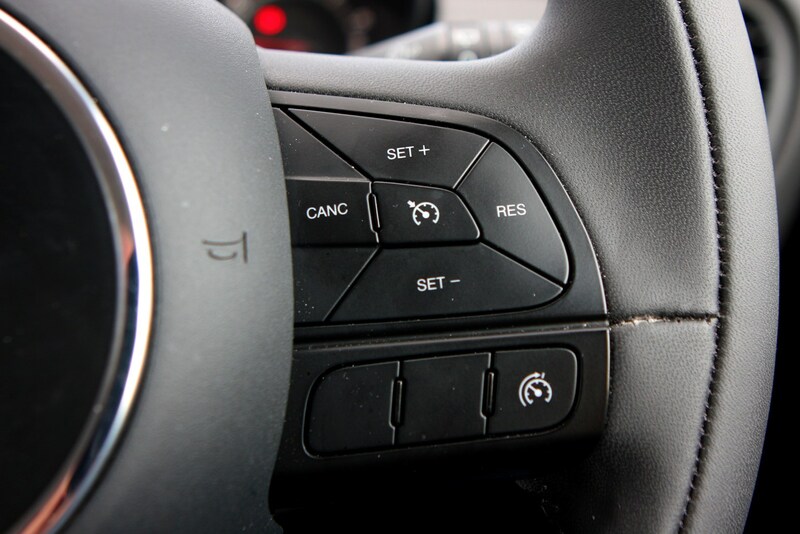 You don’t get paddleshifters, but instead you’re able to change ratios manually with the gearlever. 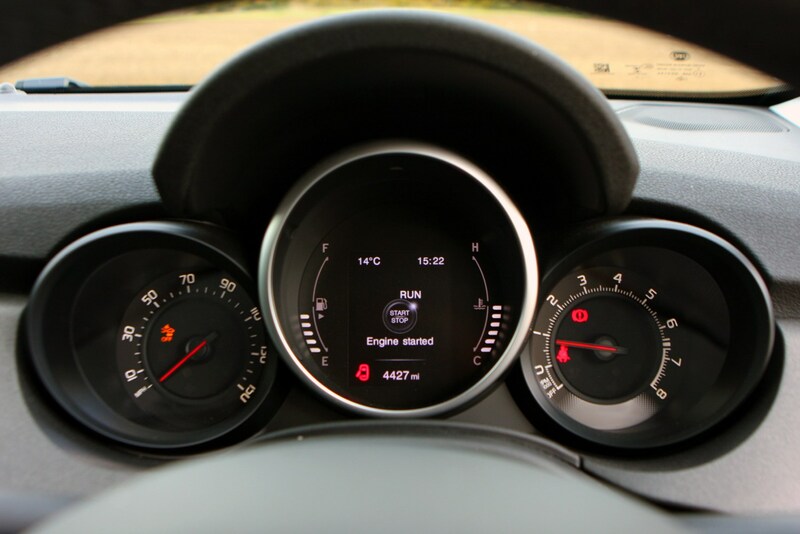 You pull back to go up a gear and push forwards for down, which is unusual and also the same way racing cars operate with expensive sequential transmissions – something hardly any 500X buyer will appreciate, but a neat touch all the same as it feels more intuitive than rival gearboxes that work in the opposite direction. 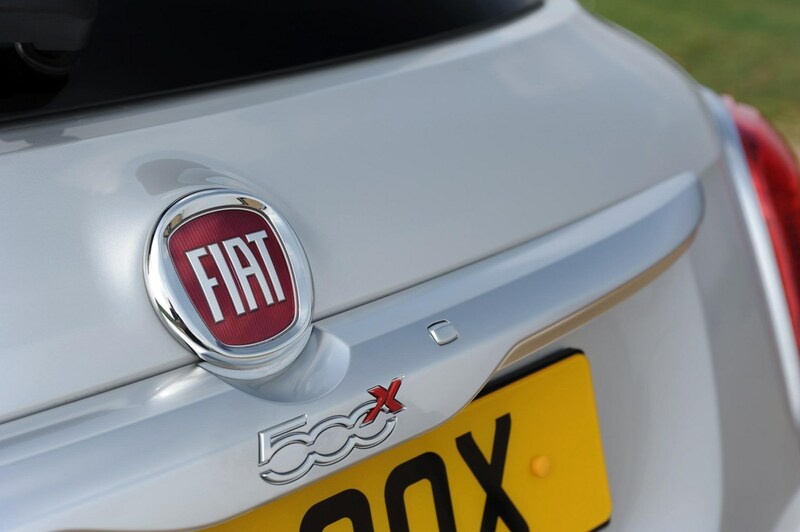 With 150hp and 270Nm, it will cover 0-62mph in 9.1 seconds with a top speed of 124mph, and is the quickest of the 500Xs available. 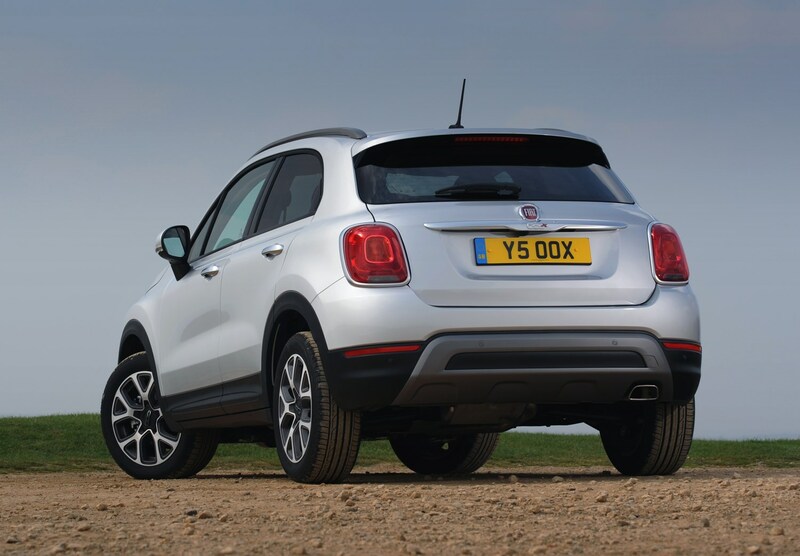 From launch there was a range of petrol and diesel powertrain options here in the UK, some coupled with 4x4 versions and others available exclusively to front-wheel drive models. 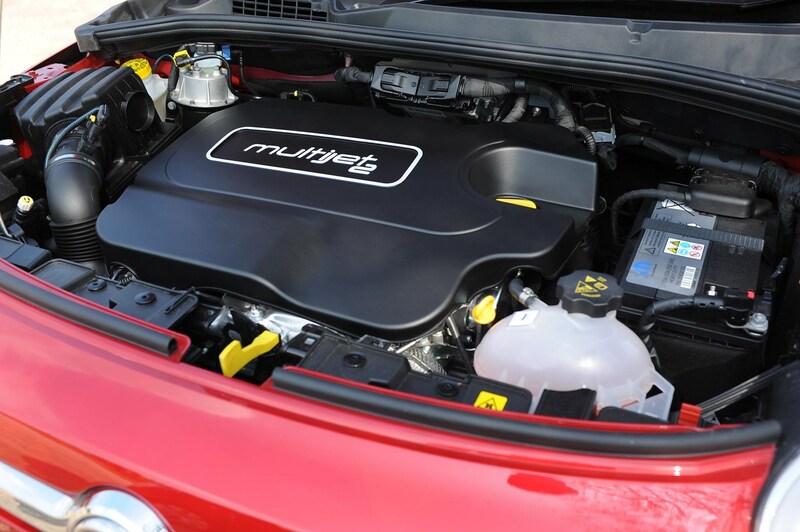 The two-wheel drive petrol range started with a 110hp 1.6-litre E-Torq engine mated to a five-speed manual gearbox. 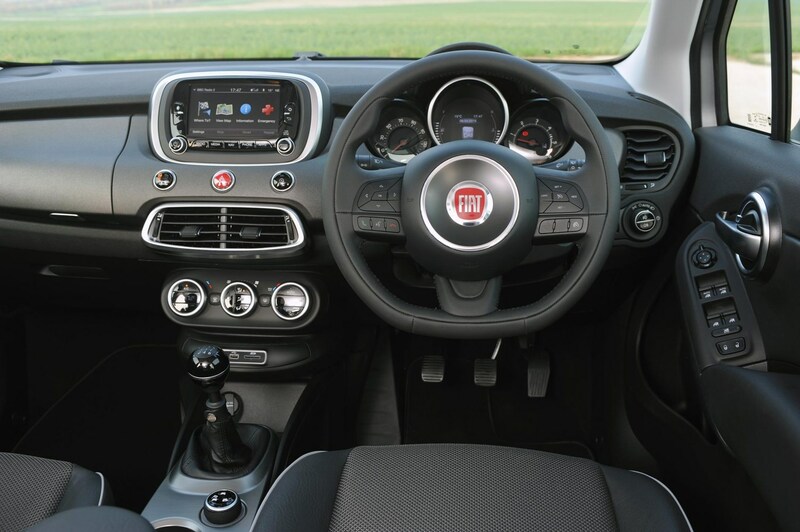 Next in the line-up was a 140hp 1.4-litre Turbo MultiAir II offered with either a new-generation six-speed manual gearbox or Fiat’s six-speed twin-clutch automatic. 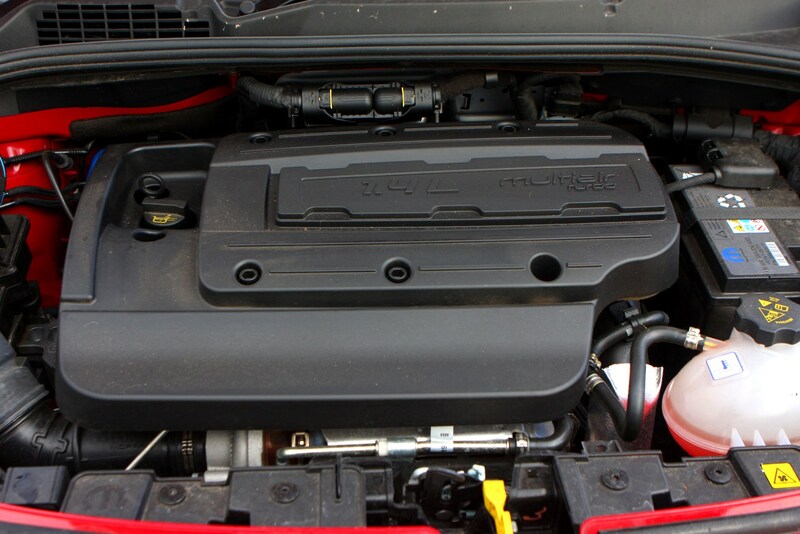 This engine proved more than capable on the road. 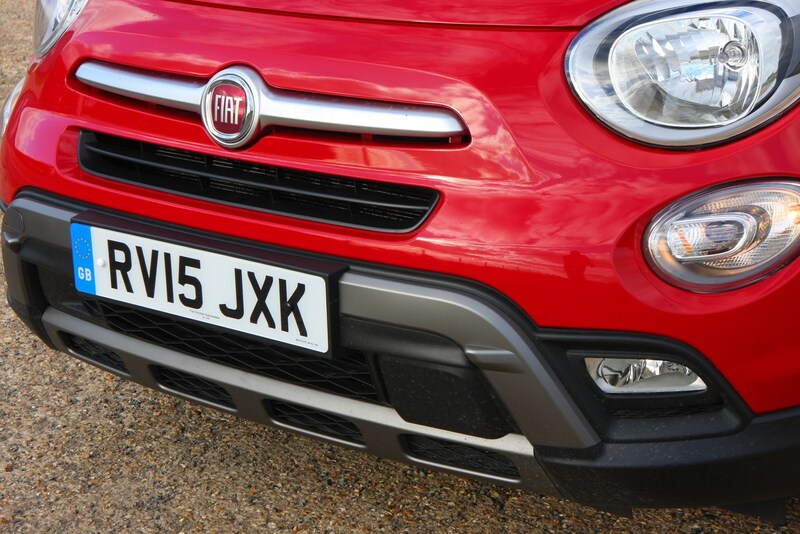 Its 230Nm of pulling power helped propel the car forwards quickly creating plenty of confidence when overtaking. 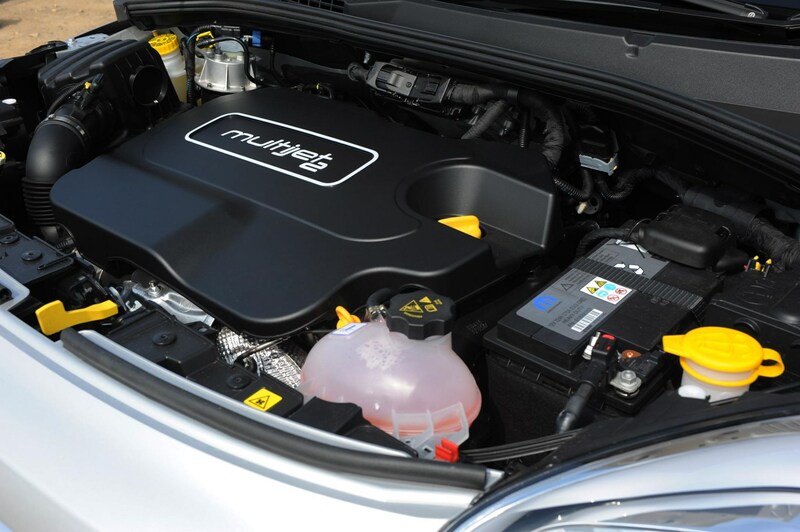 The 4x4 petrol model was exclusively powered by a 170hp 1.4-litre Turbo MultiAir II engine mated to a nine-speed automatic transmission as standard. 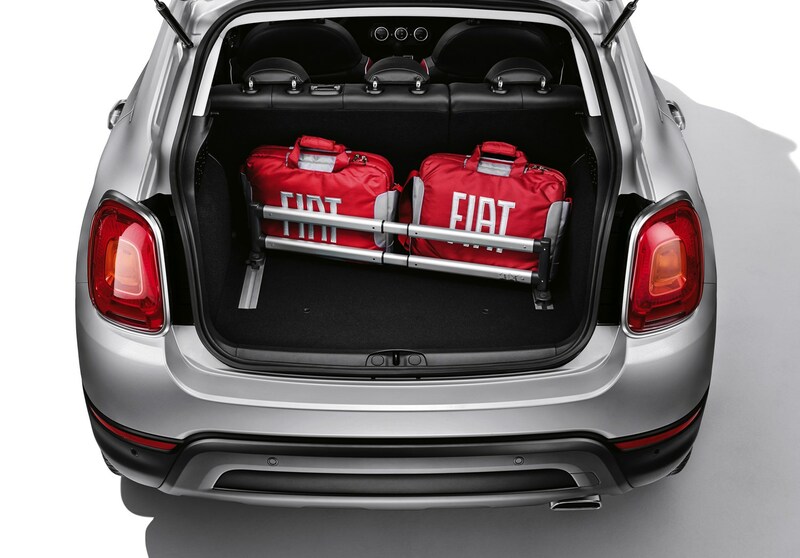 It went on sale shortly after launch. 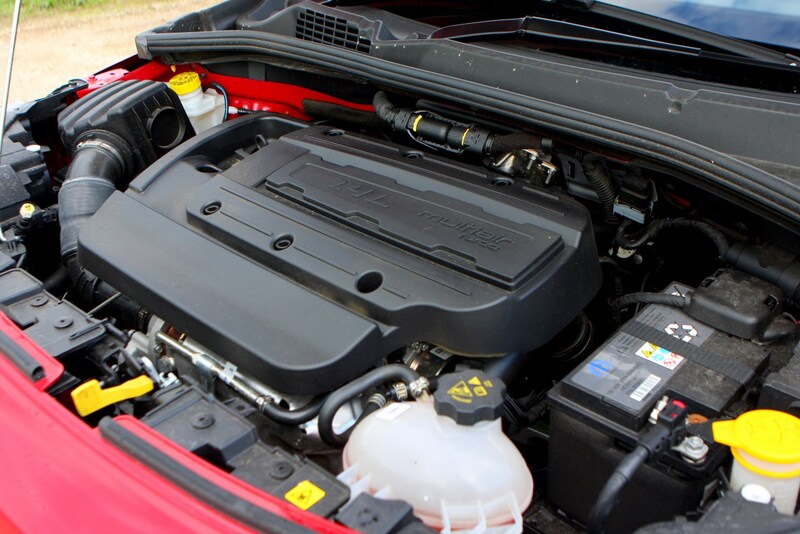 The two-wheel drive diesel range comprised of a 95hp 1.3-litre MultiJet II turbo diesel equipped with a five-speed manual gearbox and a 120hp 1.6-litre MultiJet II turbo diesel mated to a six-speed manual gearbox. 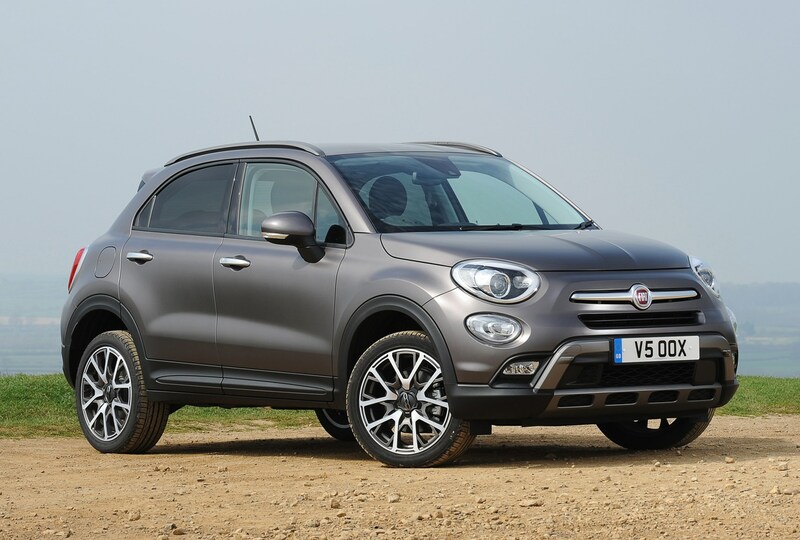 If you needed the 4x4 option the choice was limited to the 140hp 2.0-litre MultiJet II turbo which was available with a six-speed manual or nine-speed automatic transmission. 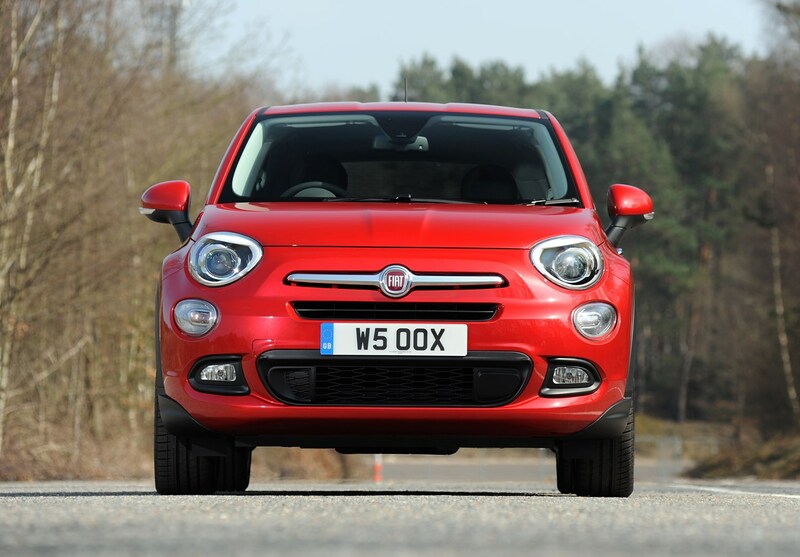 The 1.6-litre powertrain offered the best of the bunch with 109g/km of CO2 emissions. 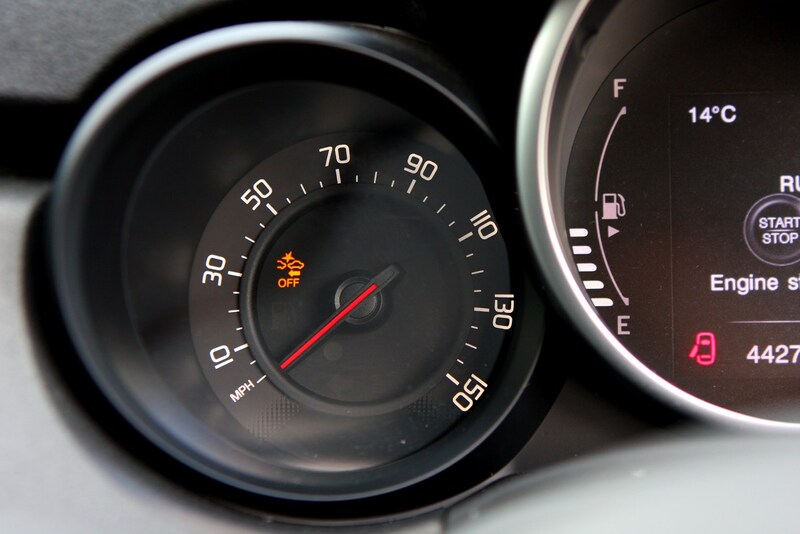 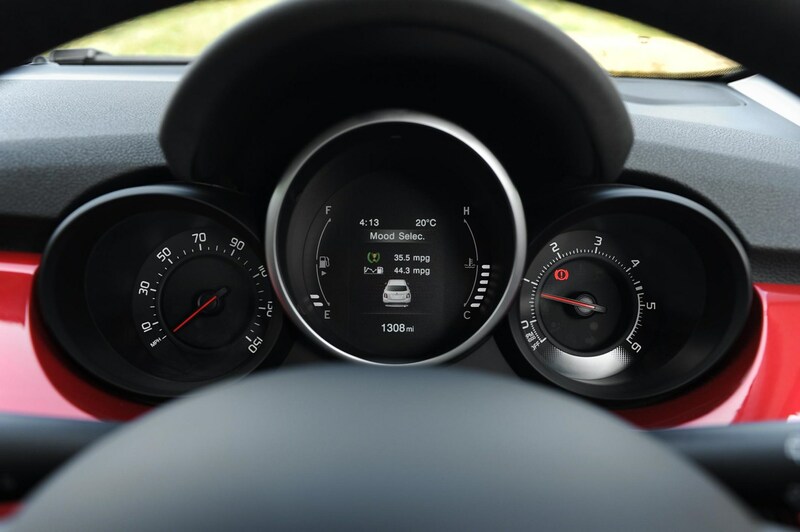 Fuel economy was 68.9mpg and there was 320Nm of torque available, enabling the car to sprint from 0-62mph in 10.5 seconds. 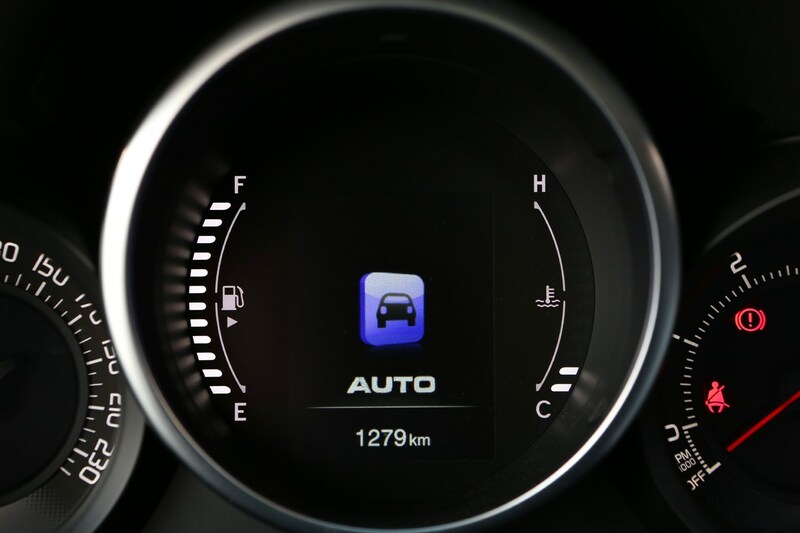 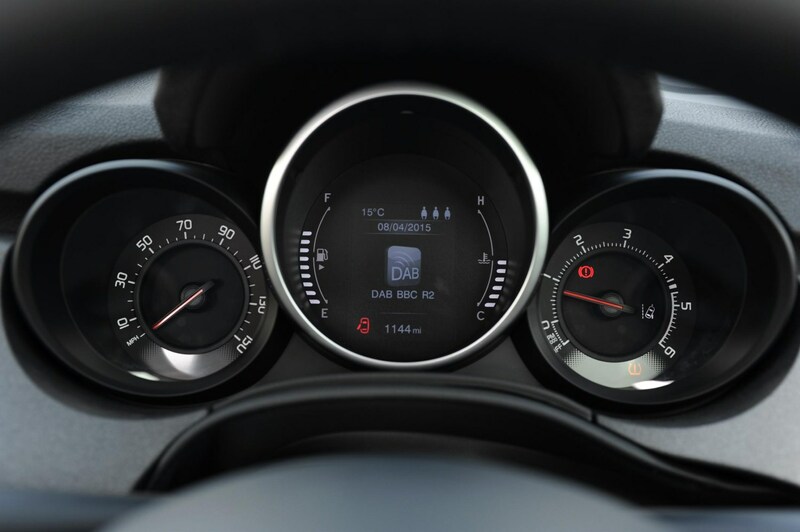 The 2.0-litre mirrored the performance from the petrol option with an improved official combined fuel economy figure of 51.4mpg and with slightly higher CO2 emissions of 144g/km. 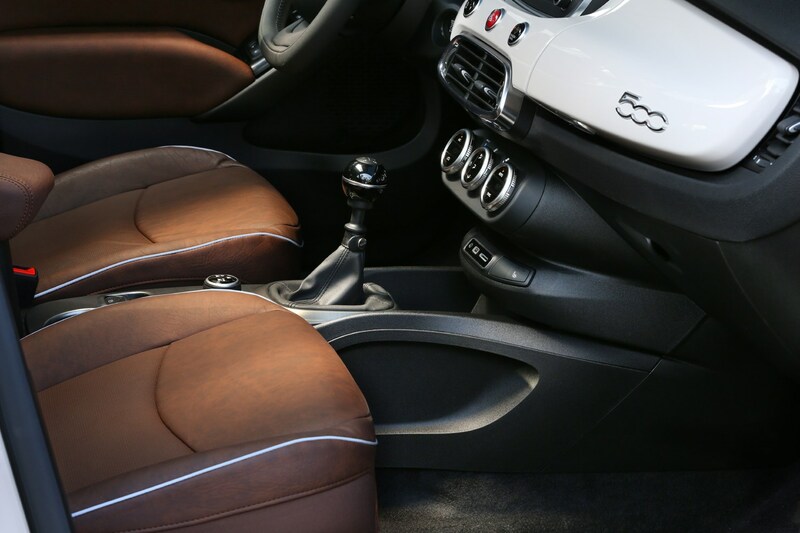 Meanwhile the nine-speed automatic gearbox was a particular highlight thanks to slick and seamless gear changes. 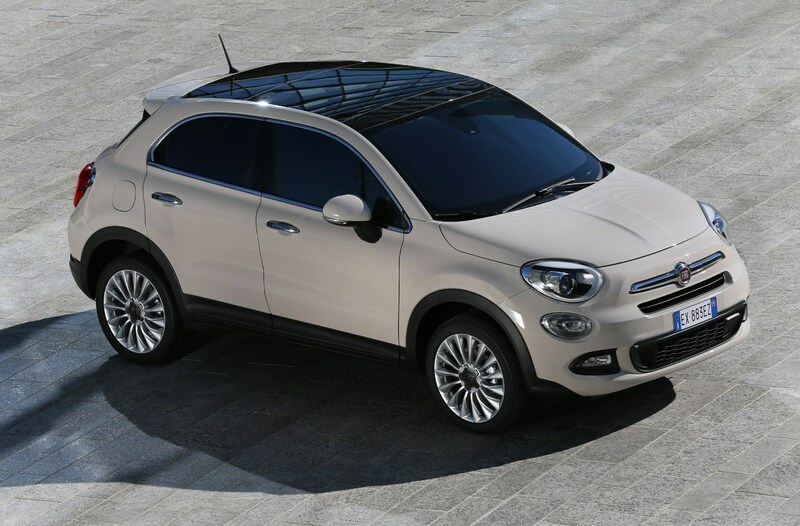 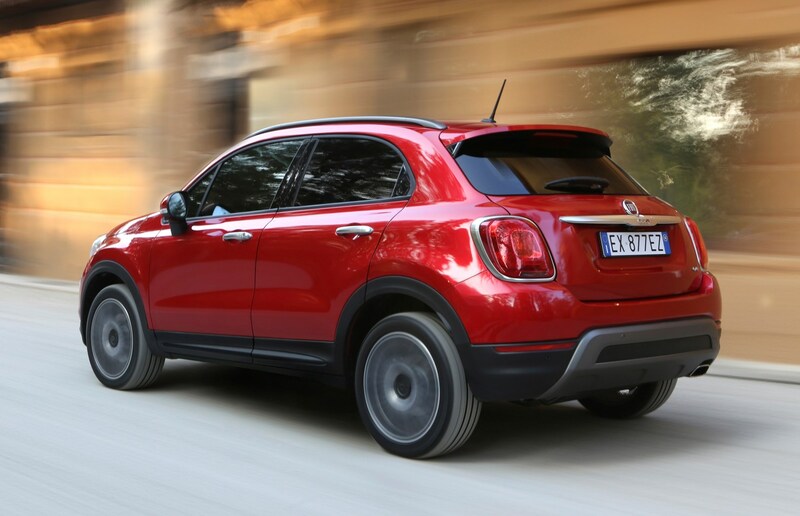 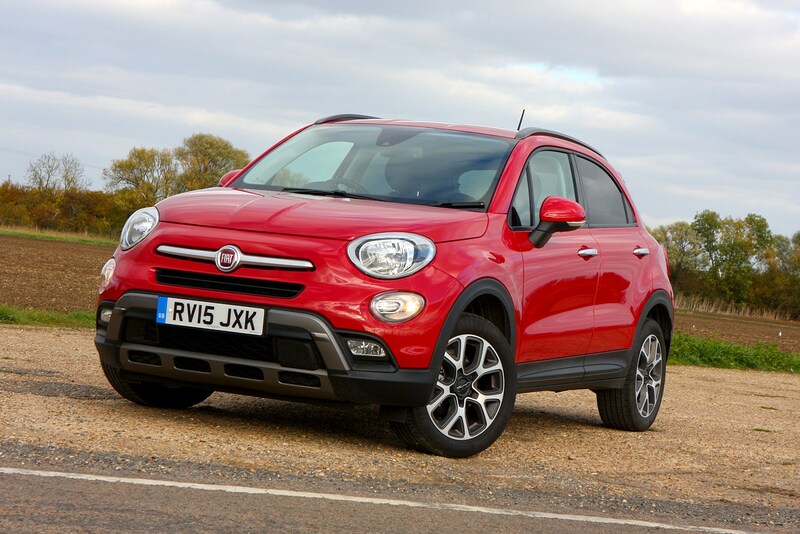 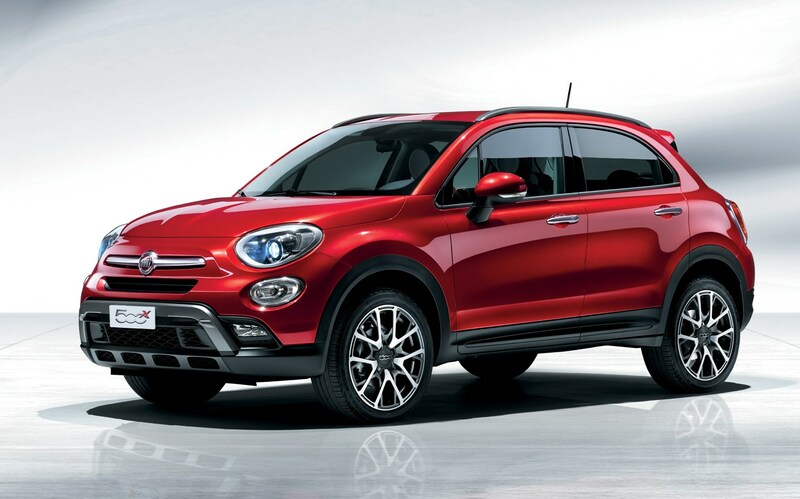 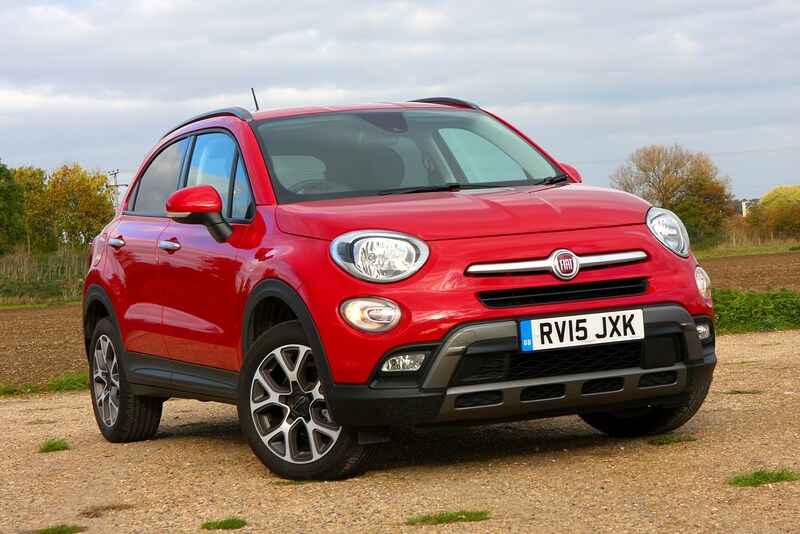 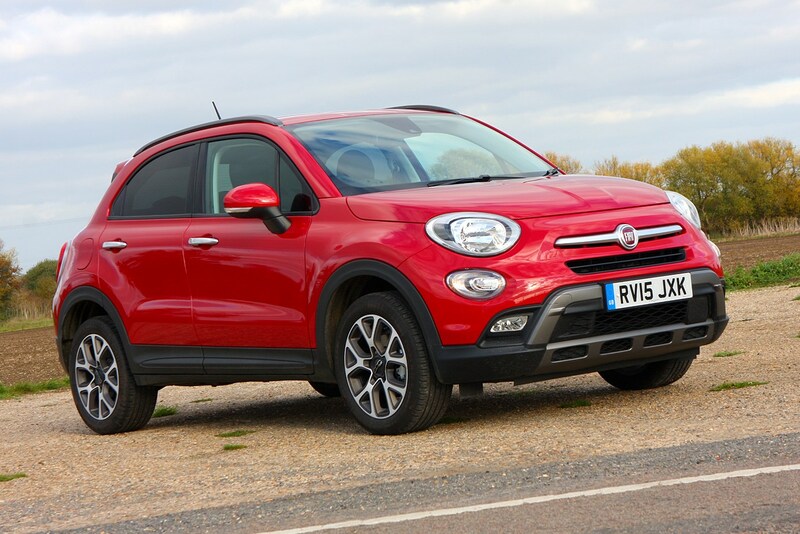 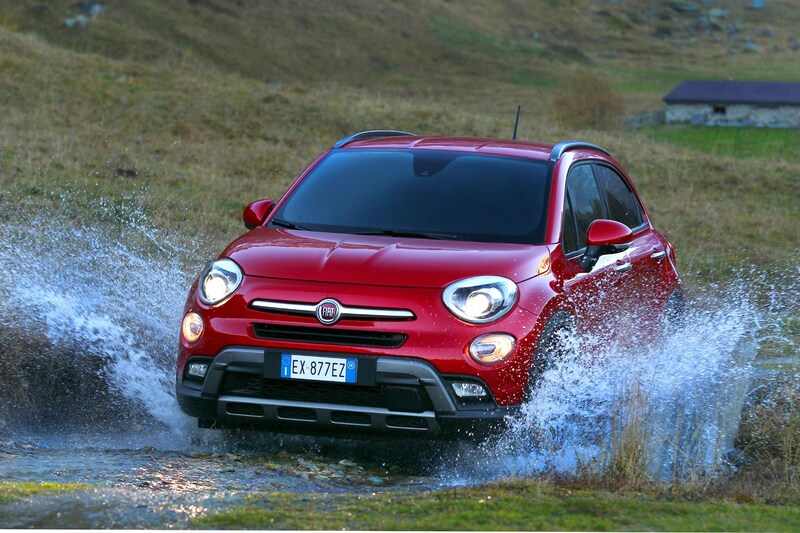 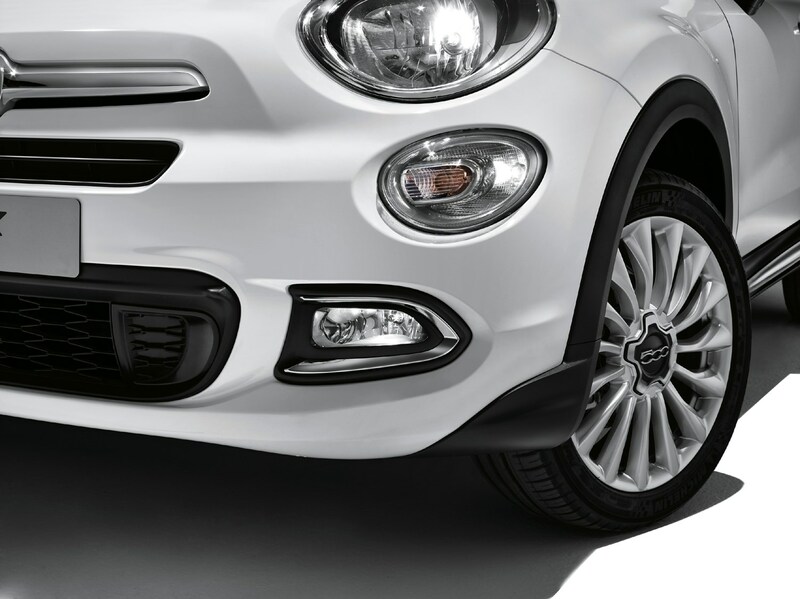 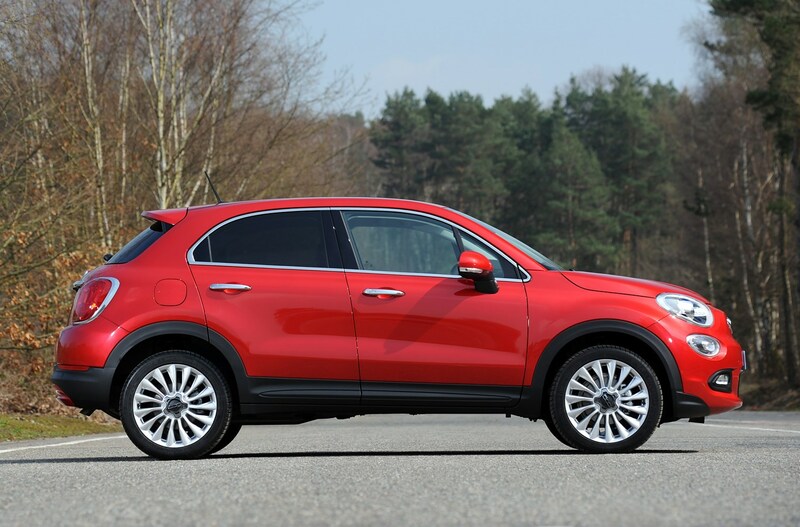 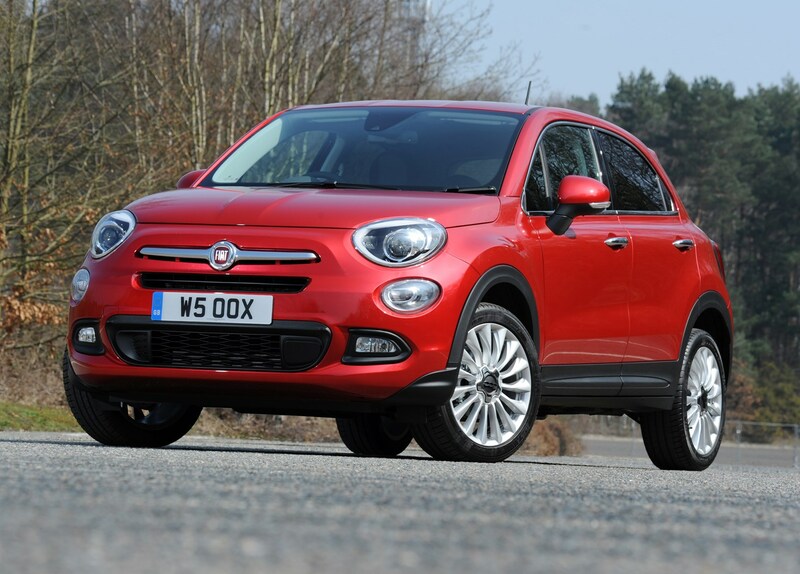 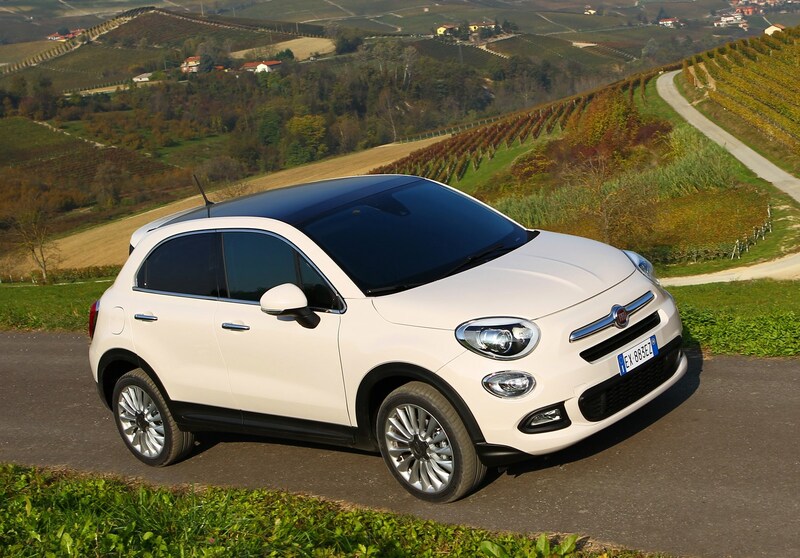 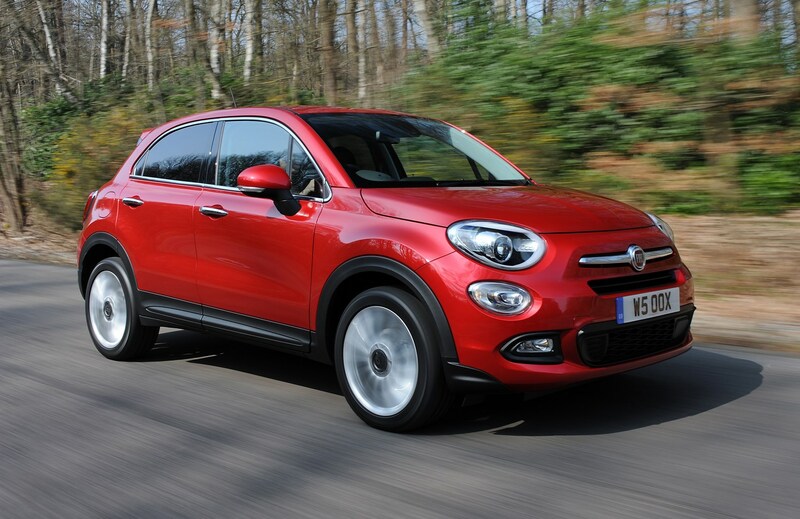 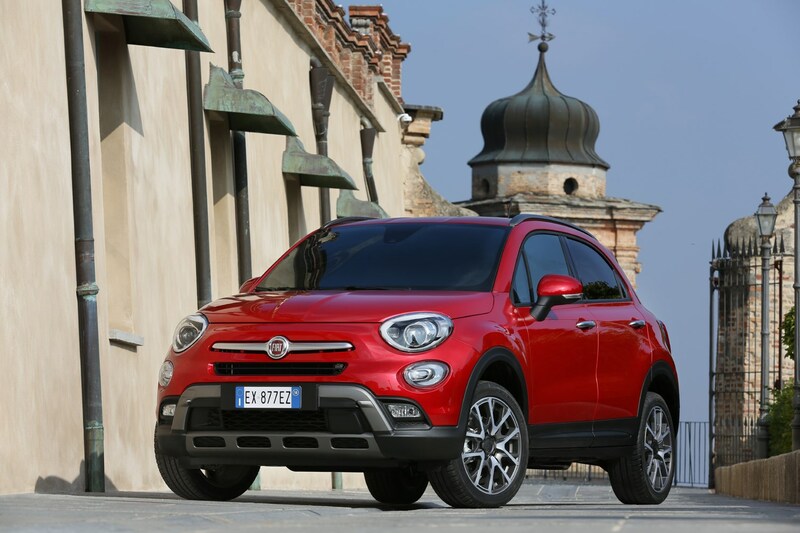 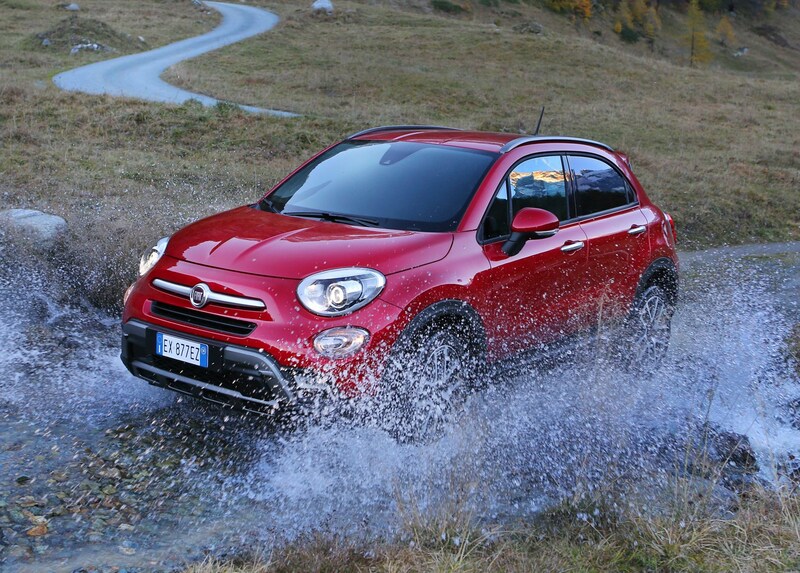 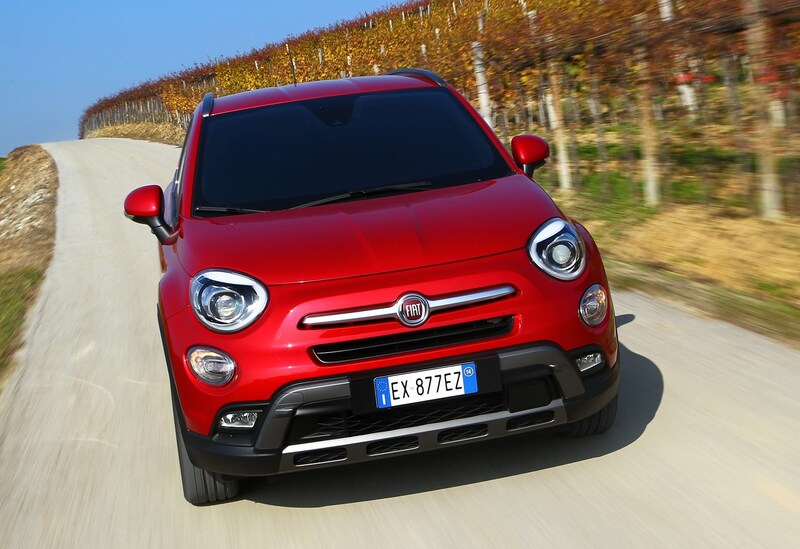 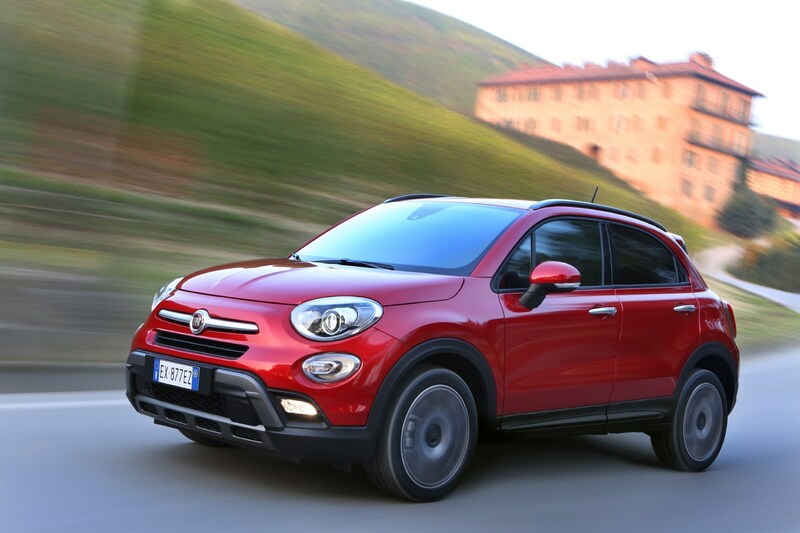 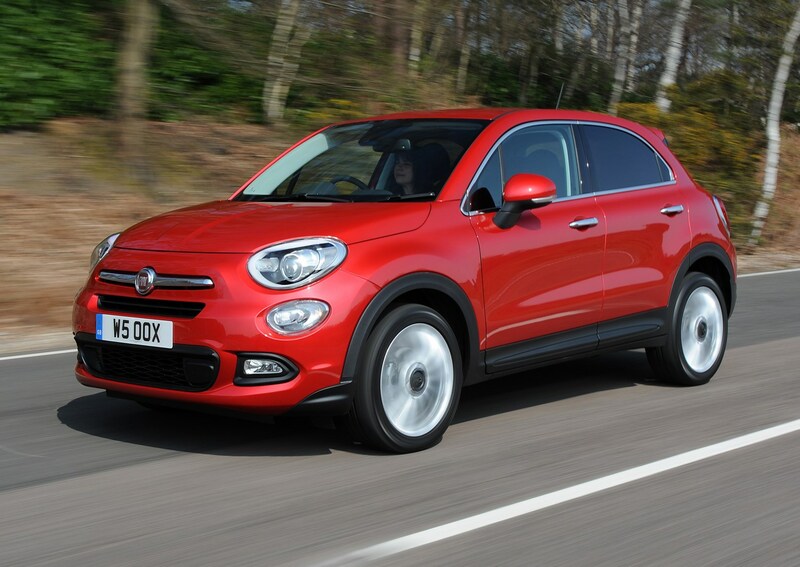 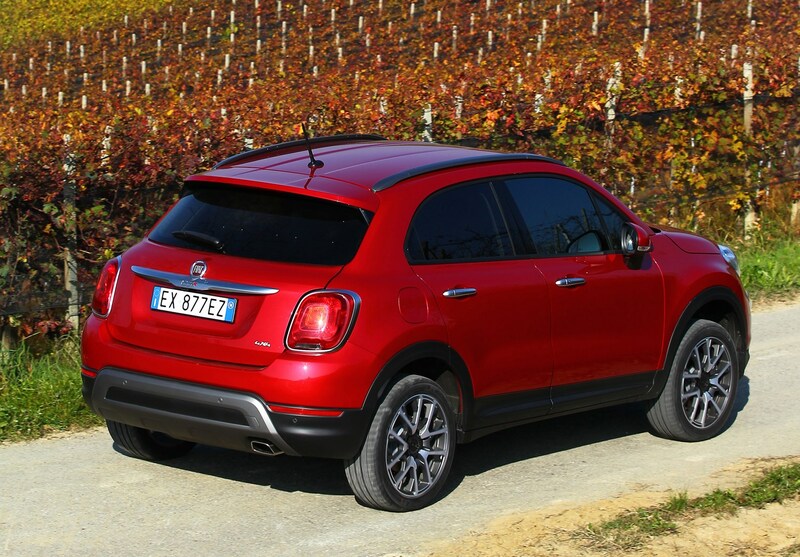 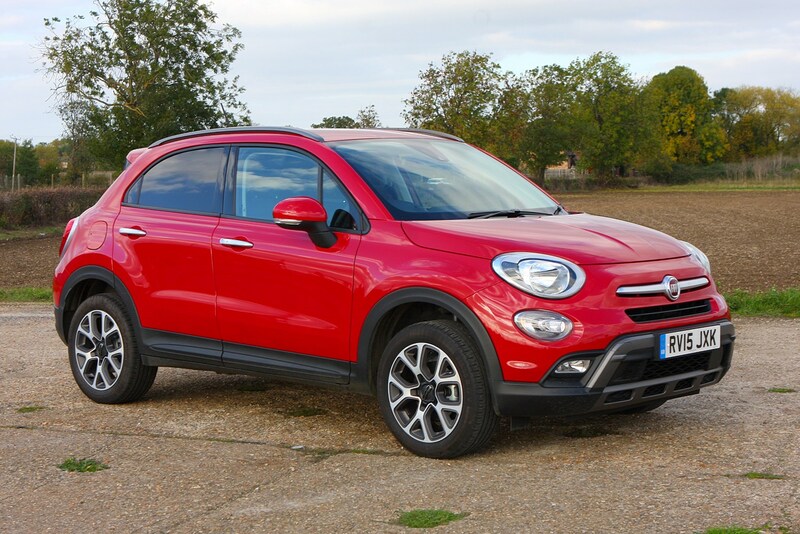 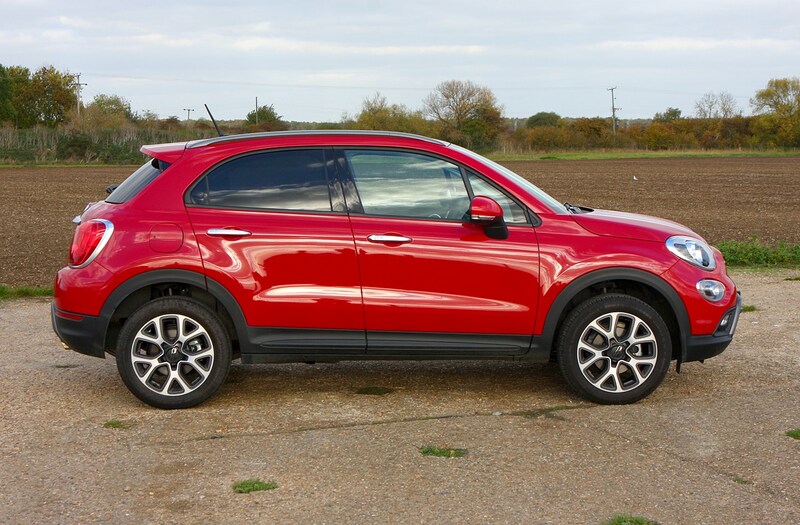 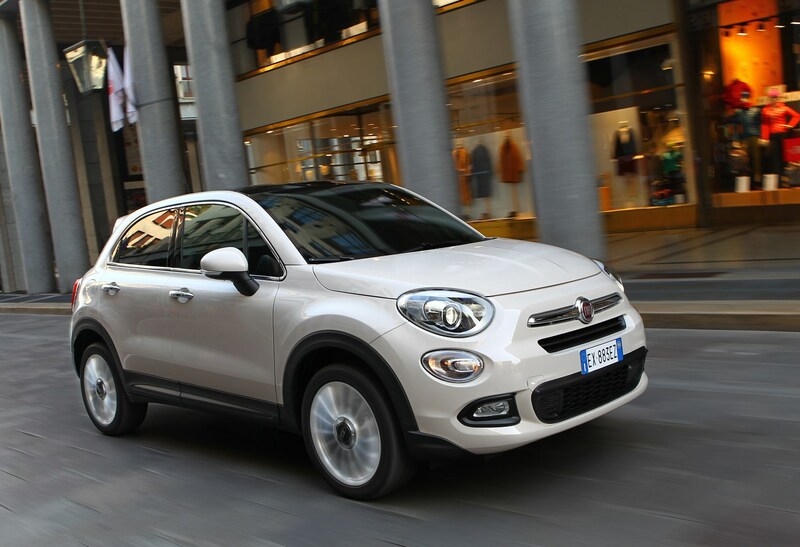 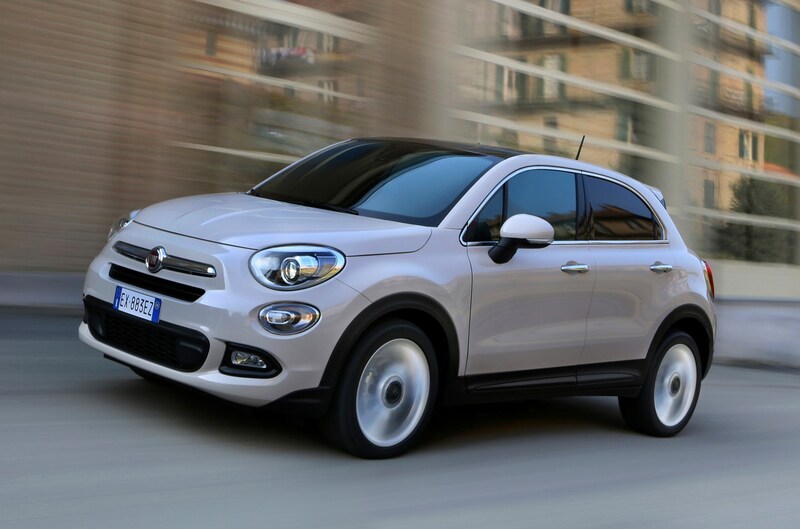 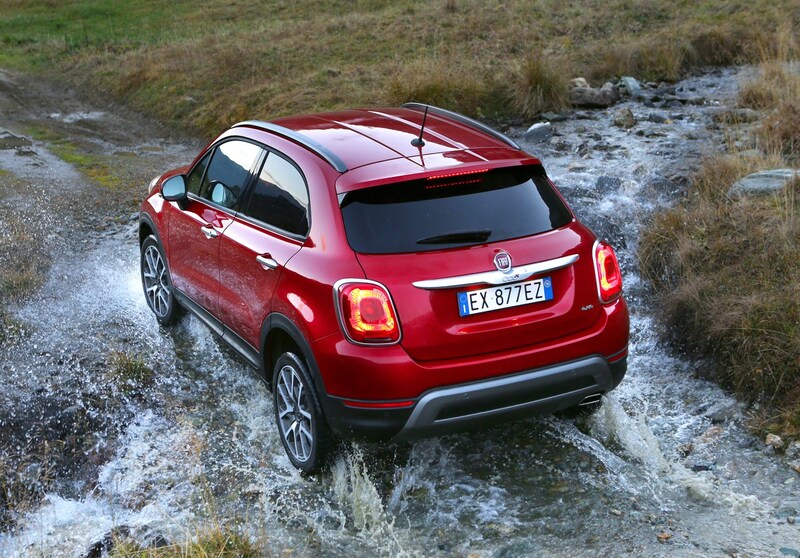 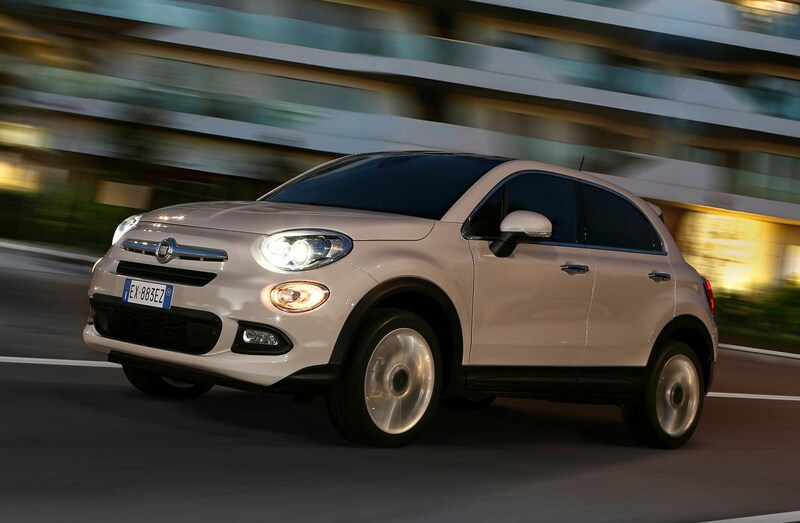 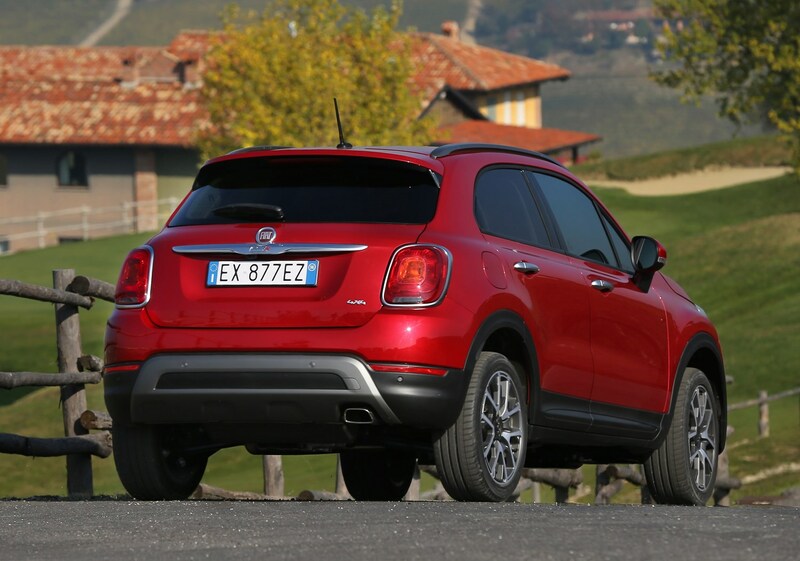 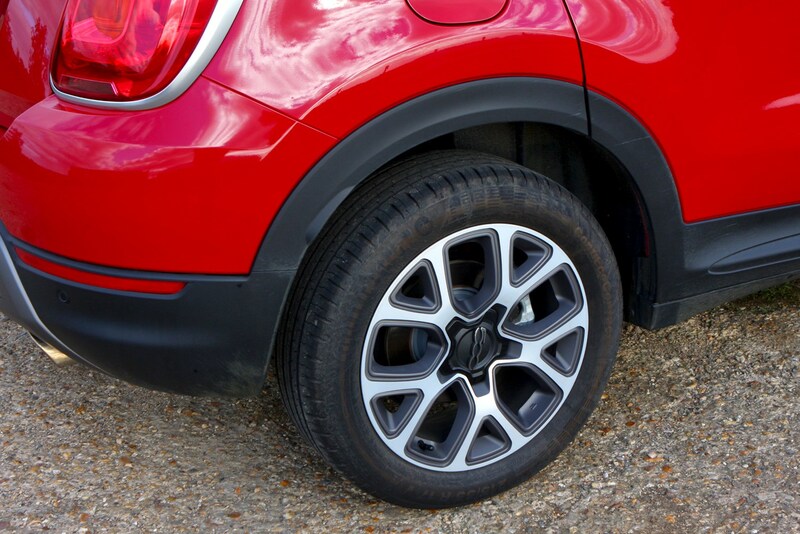 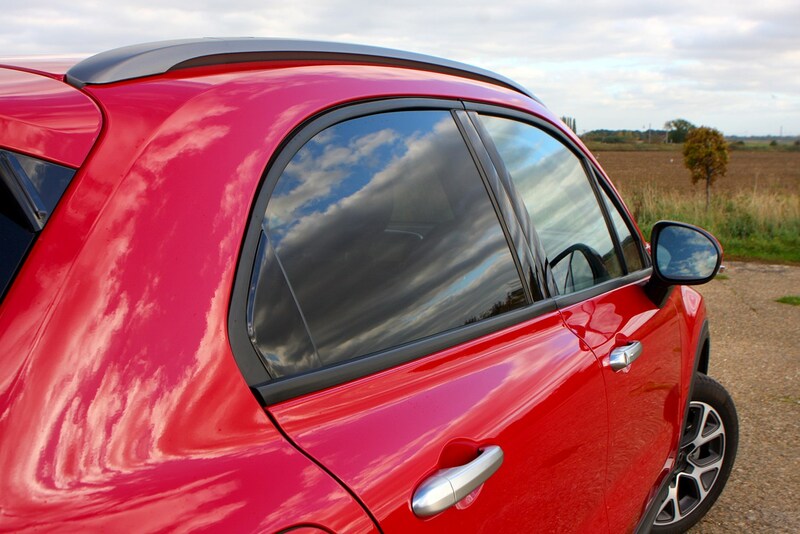 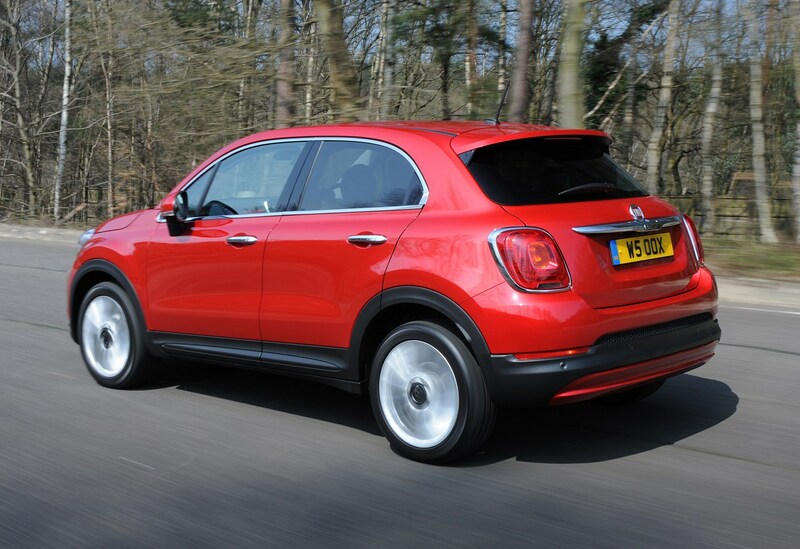 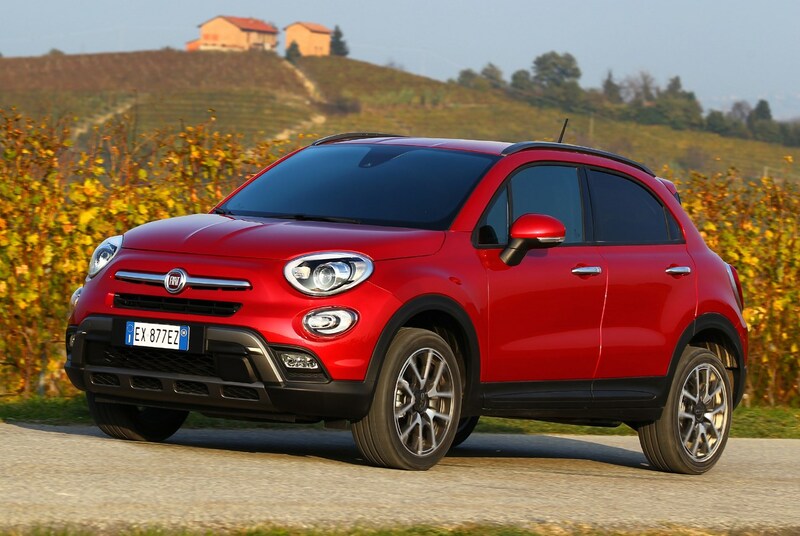 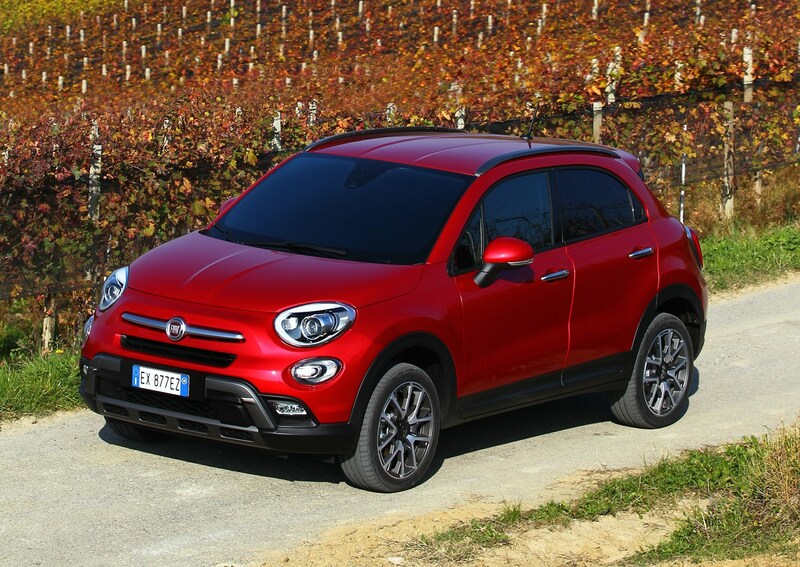 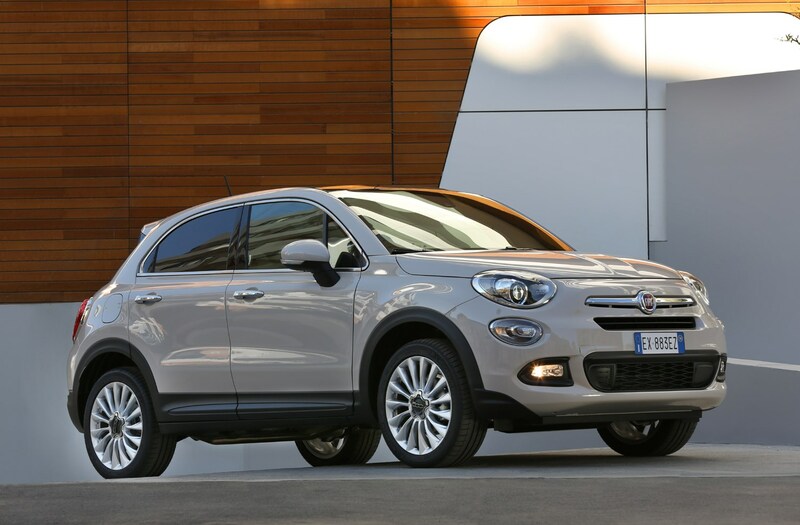 The 500X isn’t a particularly sporty car, but it’s also not meant for serious off-roading, despite its styling. 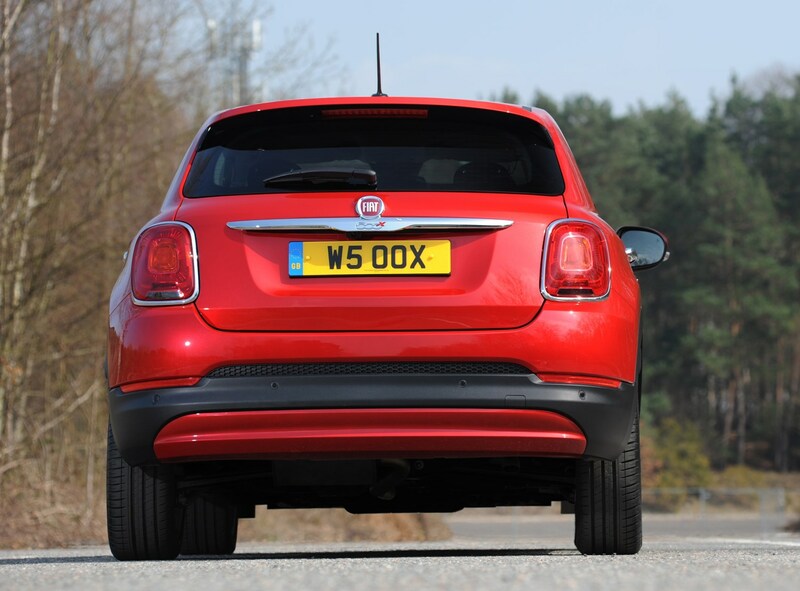 However, it does strike a nice balance for everyday road driving, so pretty much nails its brief. 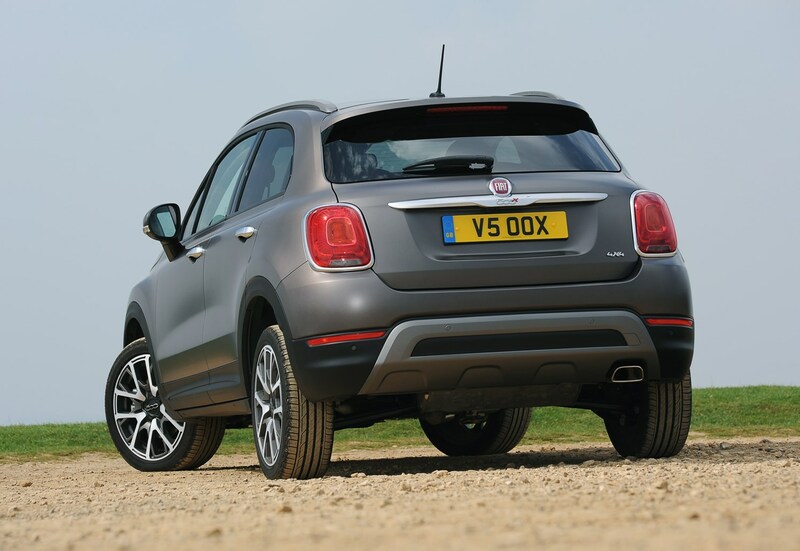 As a low-cost model there’s no adaptive suspension on offer but the conventional standard setup has a nice balance between entertainingly direct steering and supple damping over most types of road. 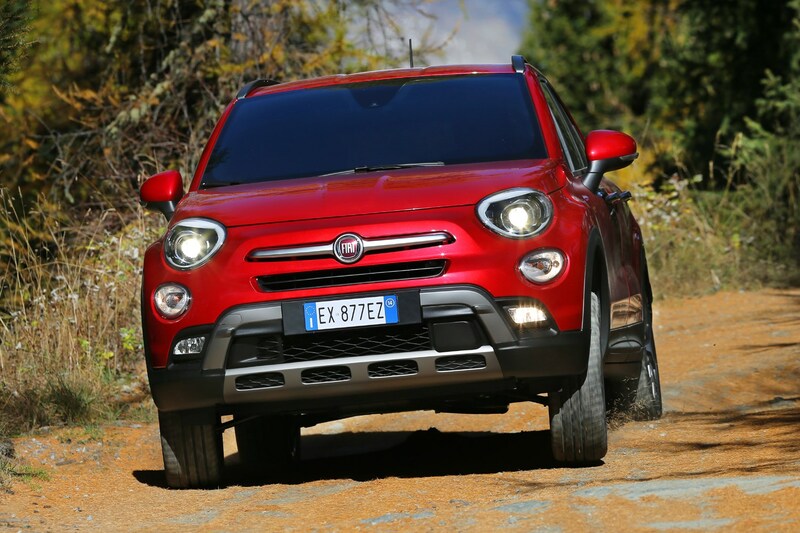 Bodyroll is well contained in spite of the tall ride height, though we’d suggest it wouldn’t cope as well when the going gets tough as a proper off-road-ready machine like a Suzuki Jimny. It’ll drive much better in all other scenarios, though. 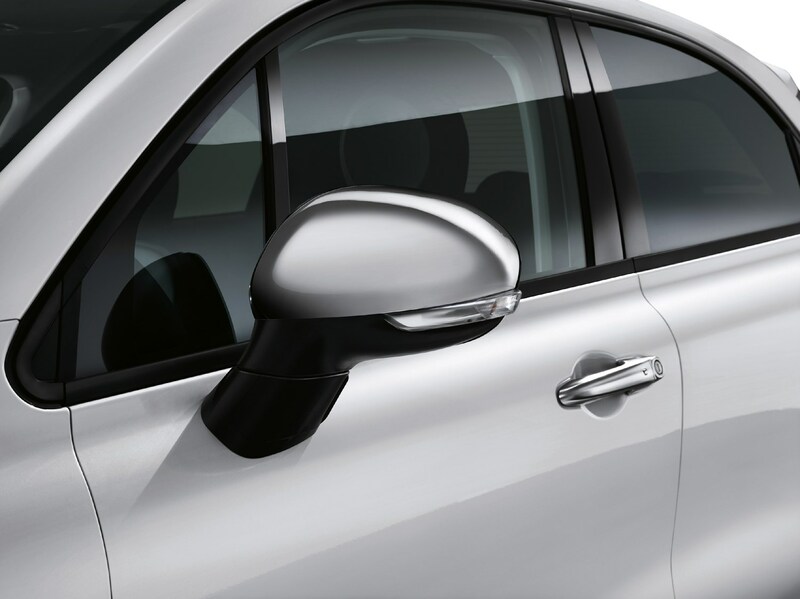 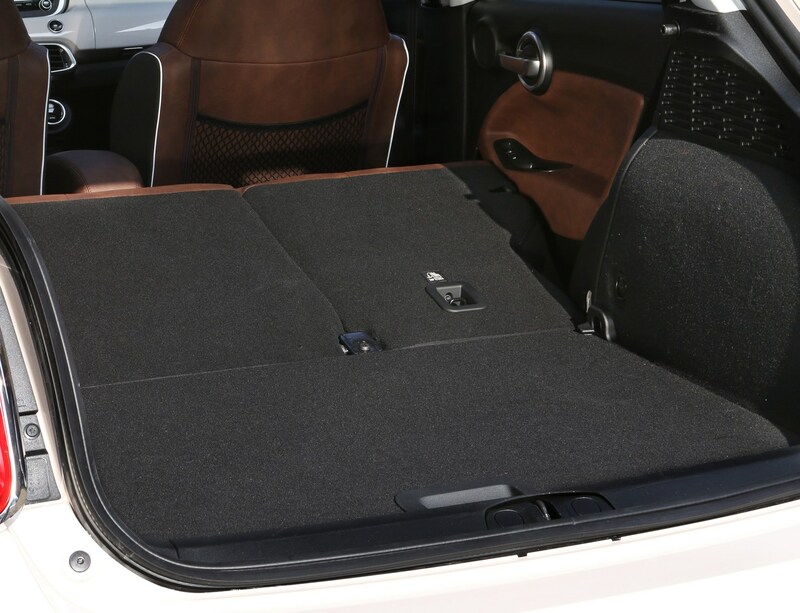 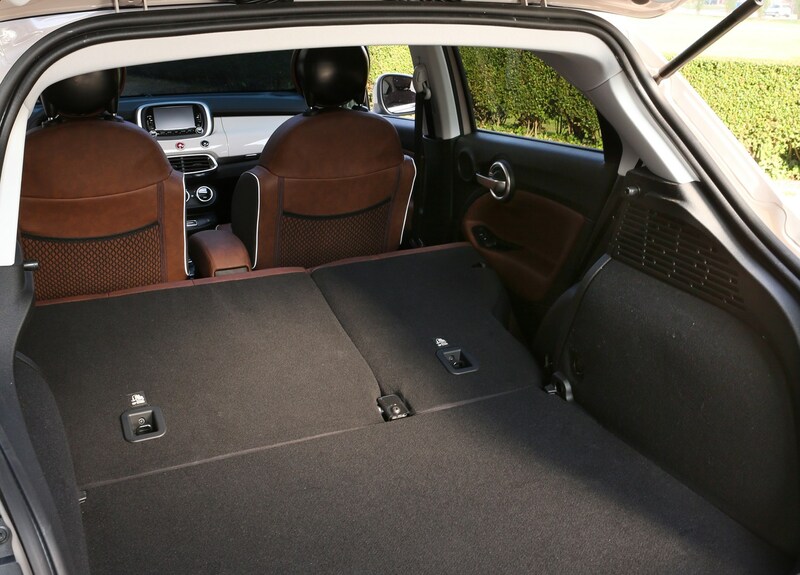 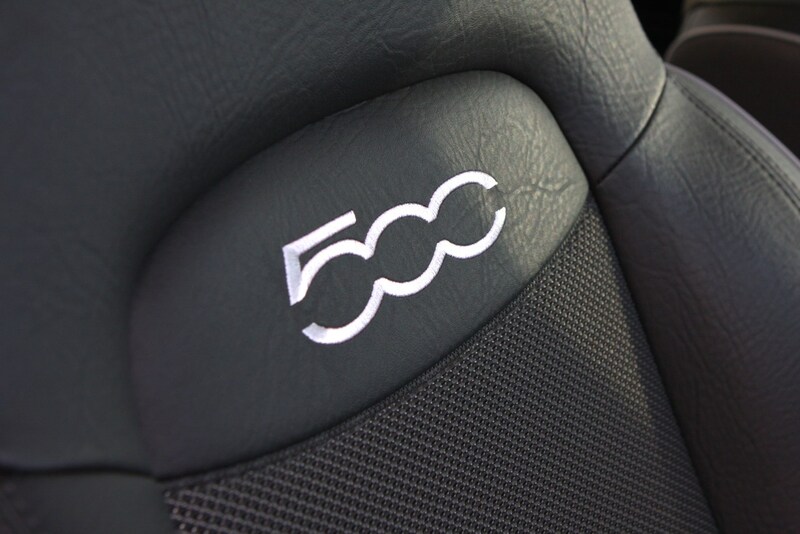 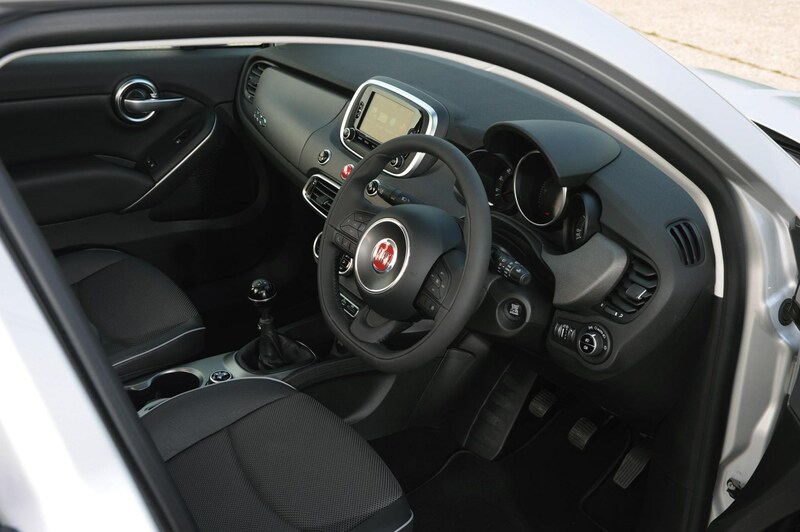 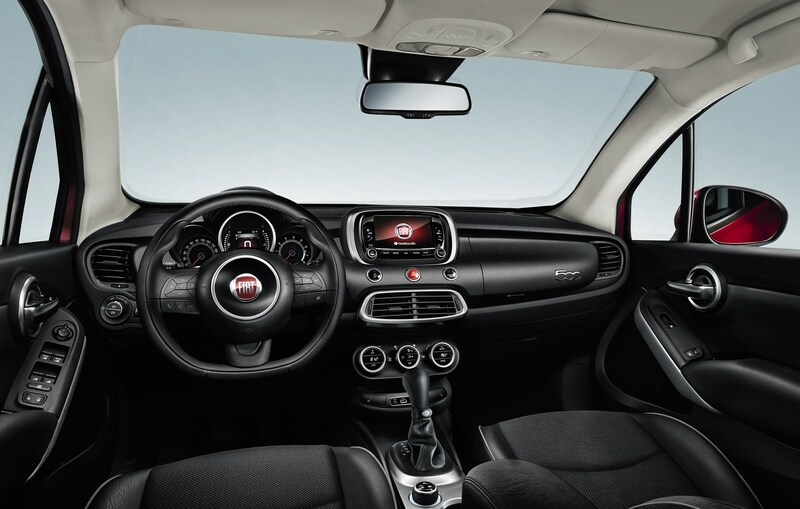 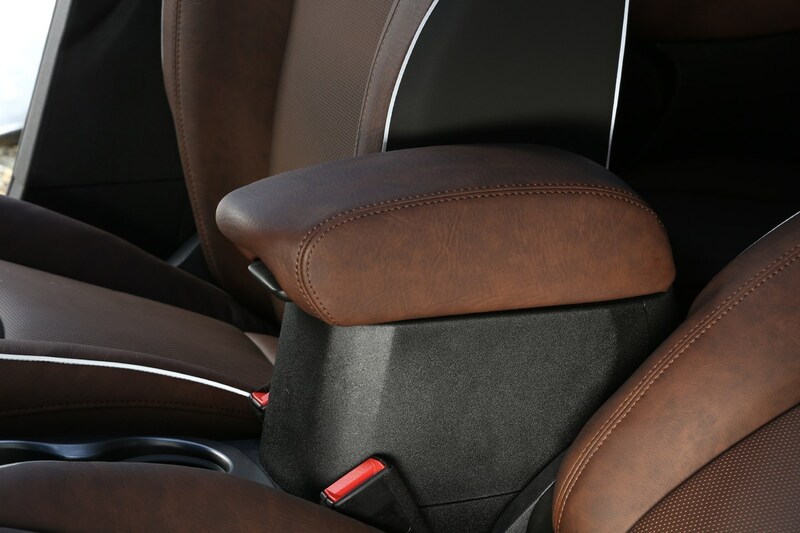 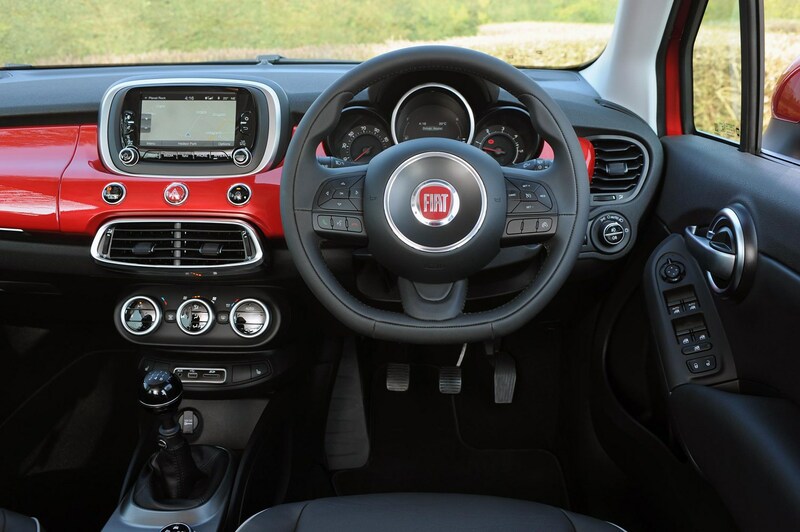 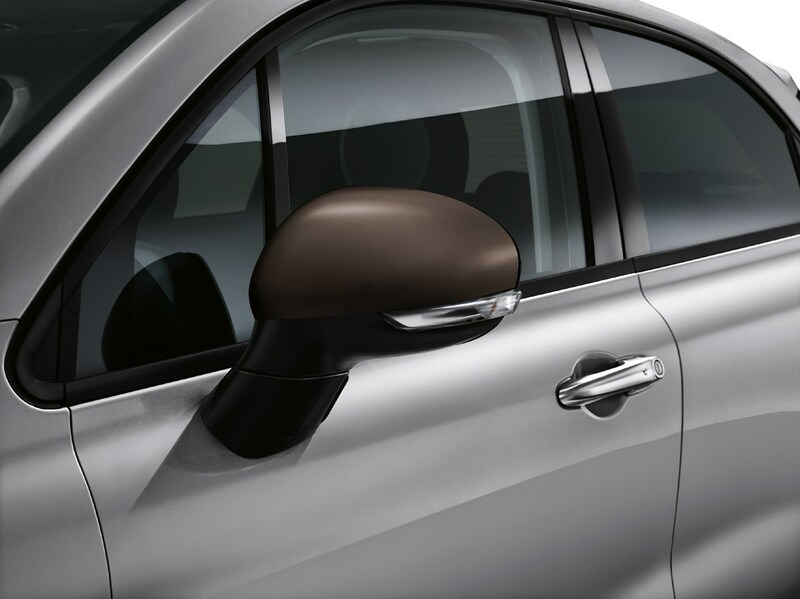 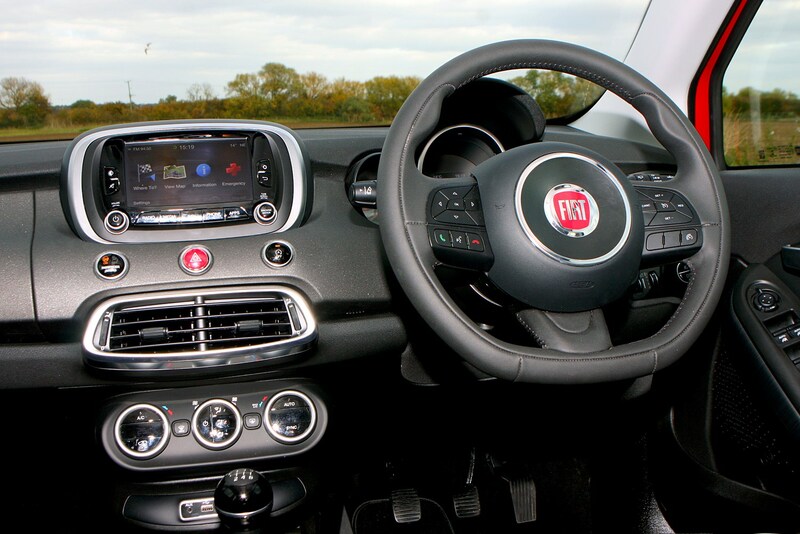 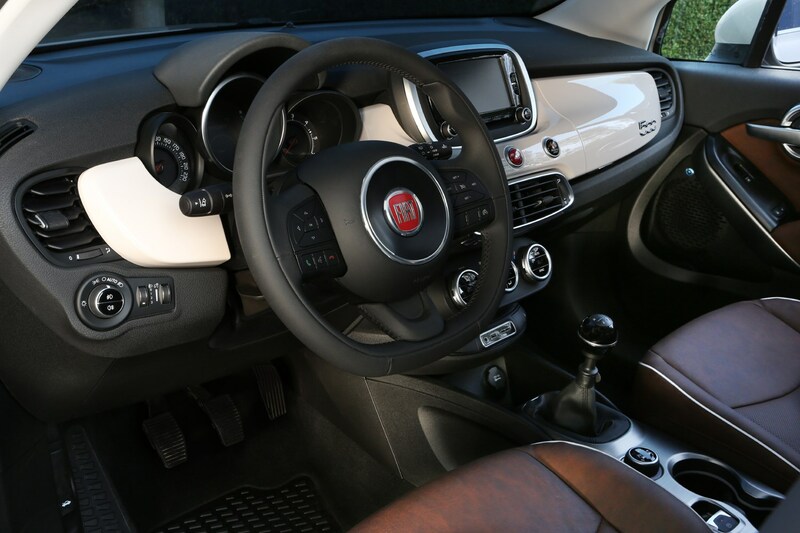 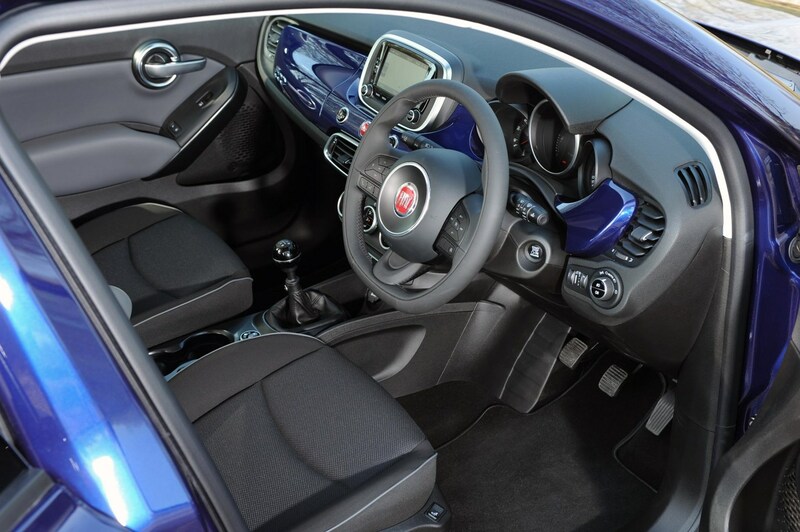 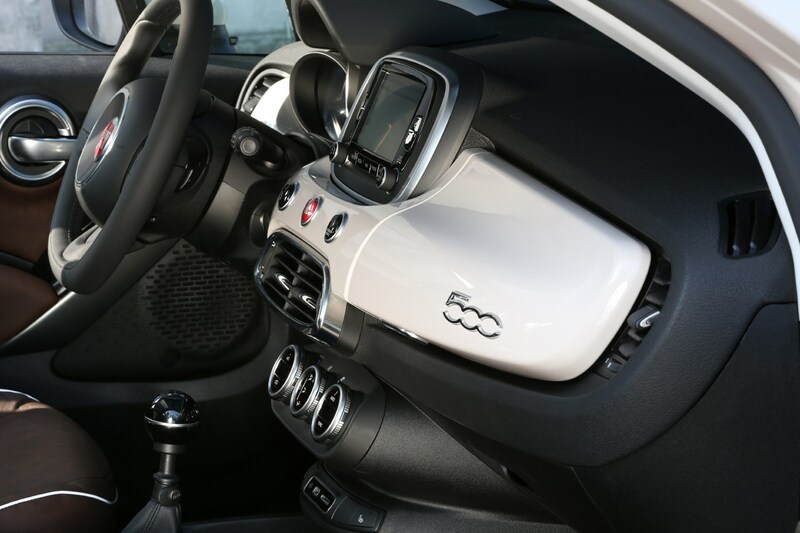 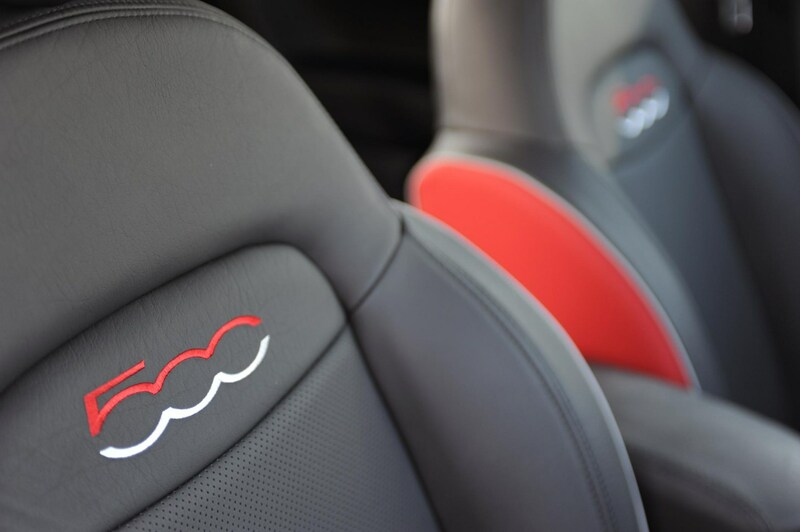 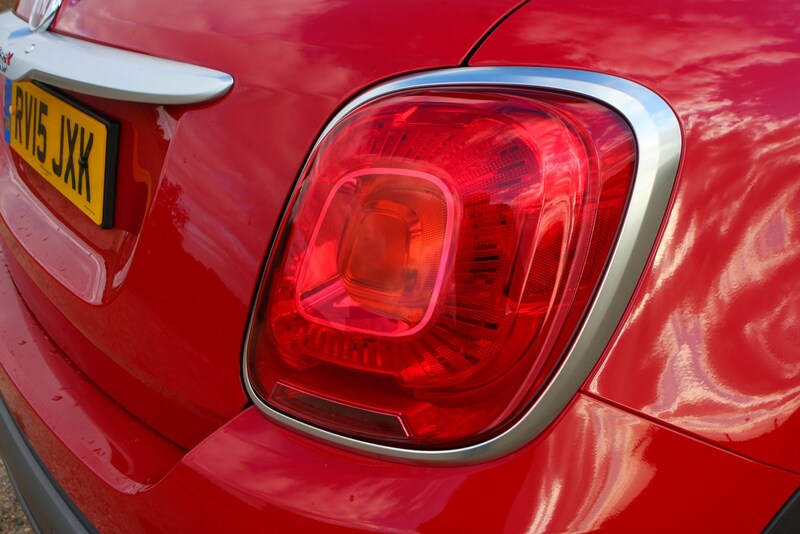 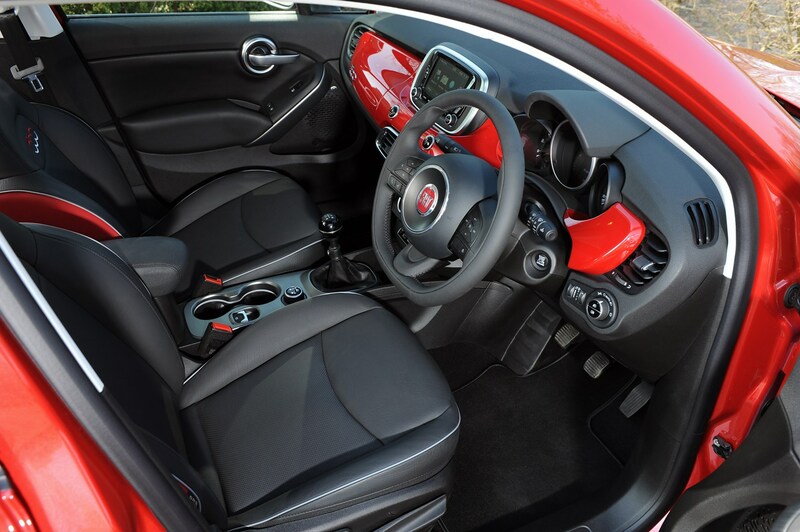 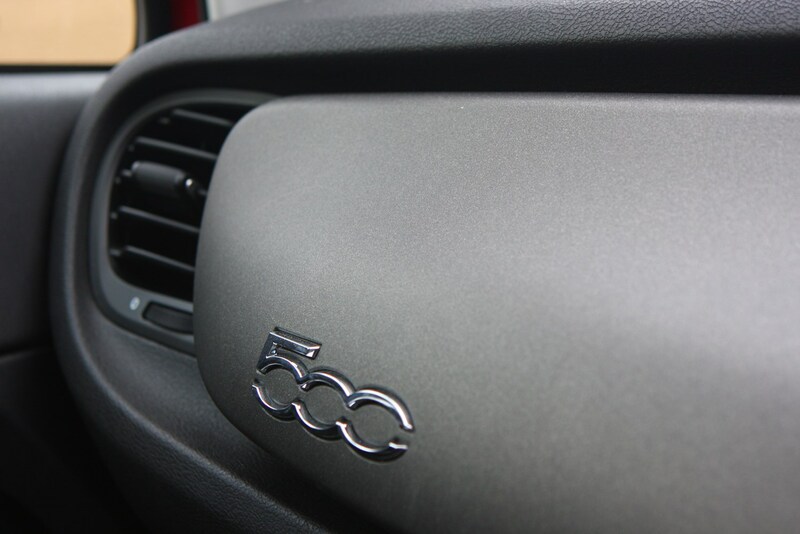 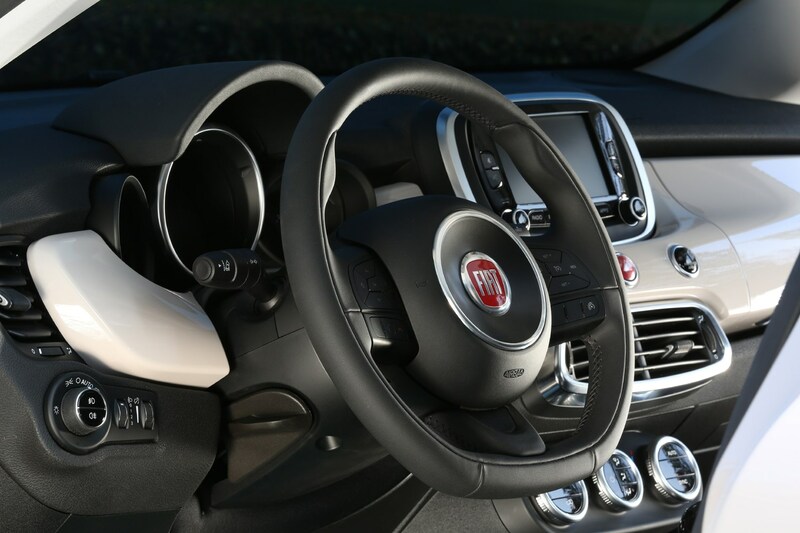 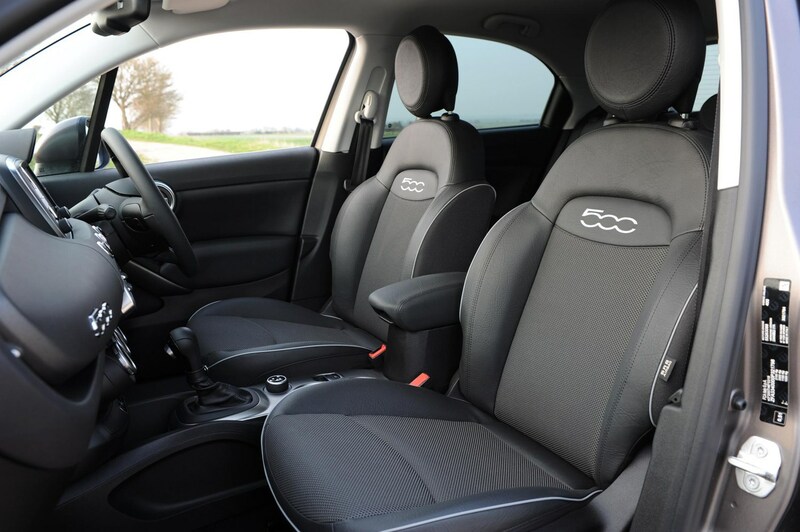 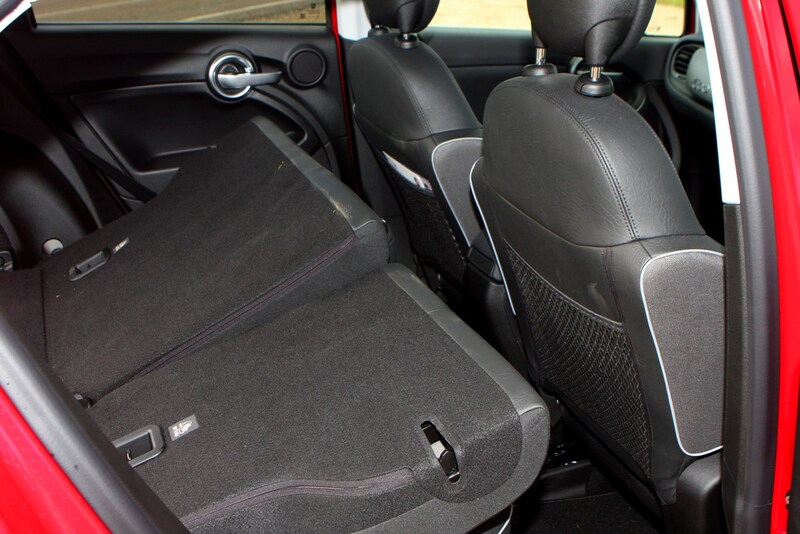 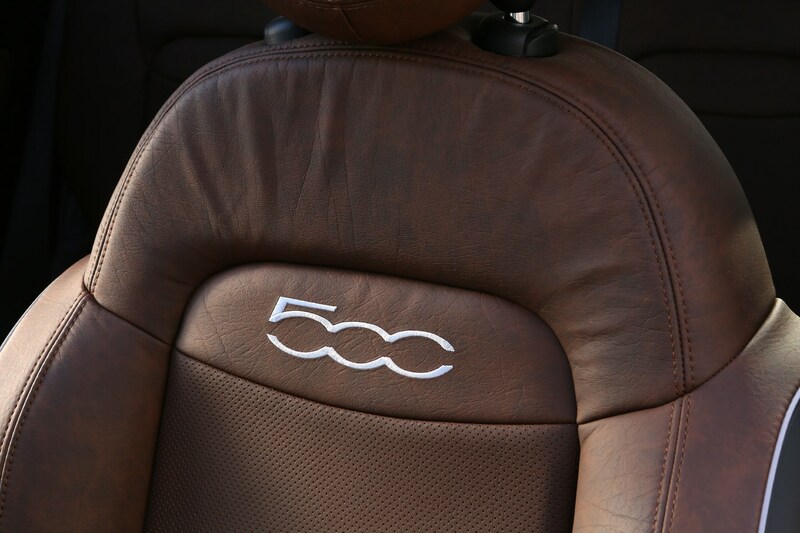 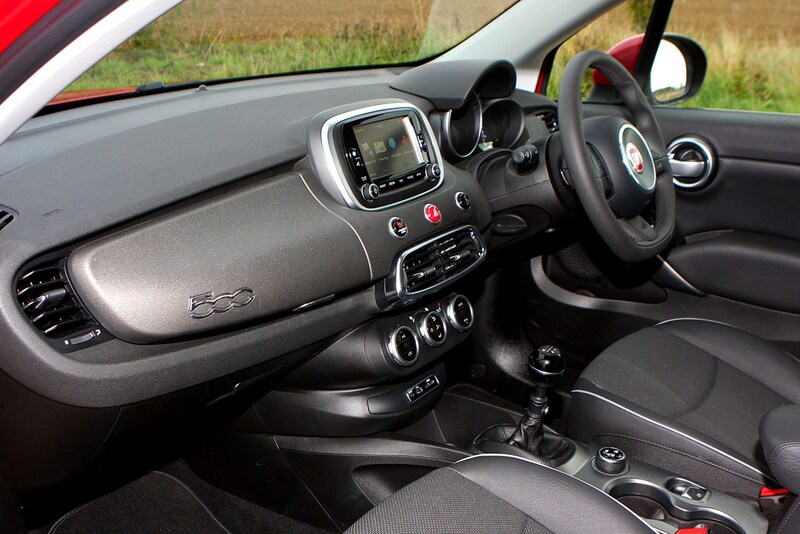 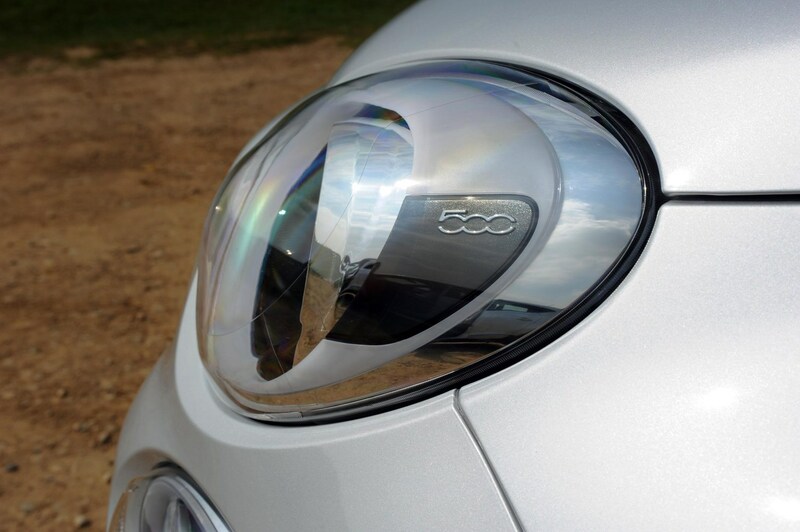 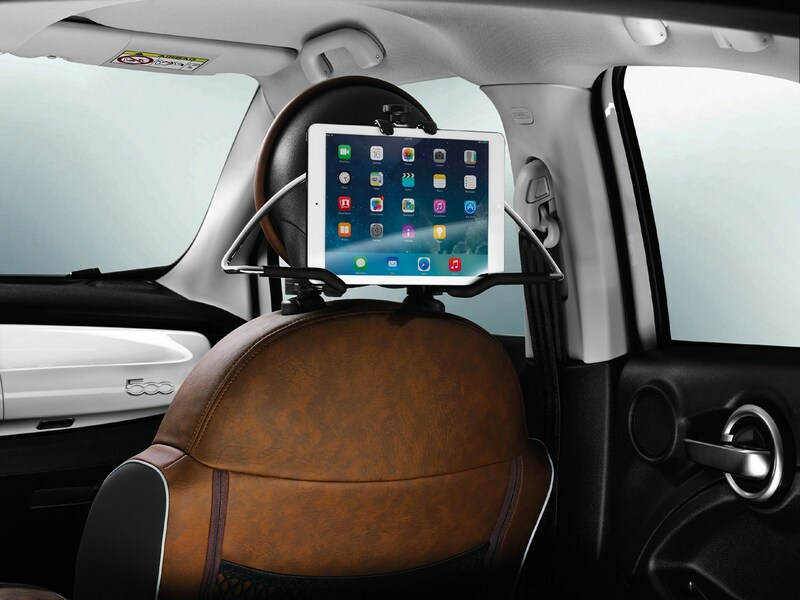 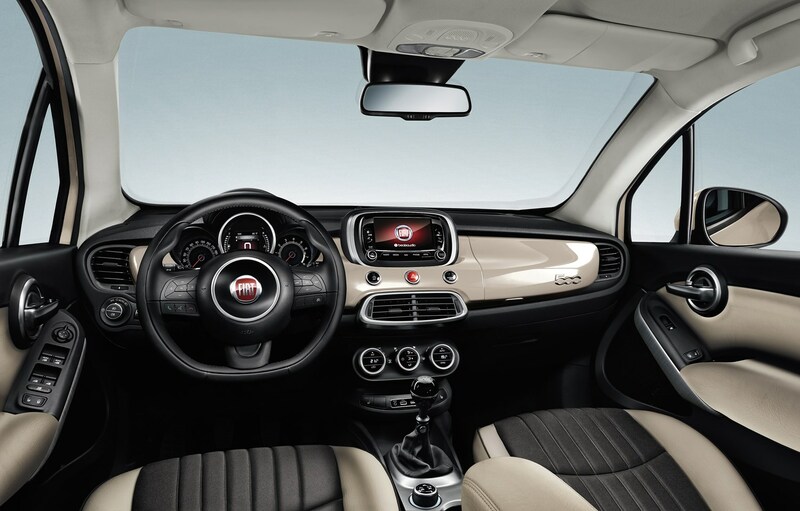 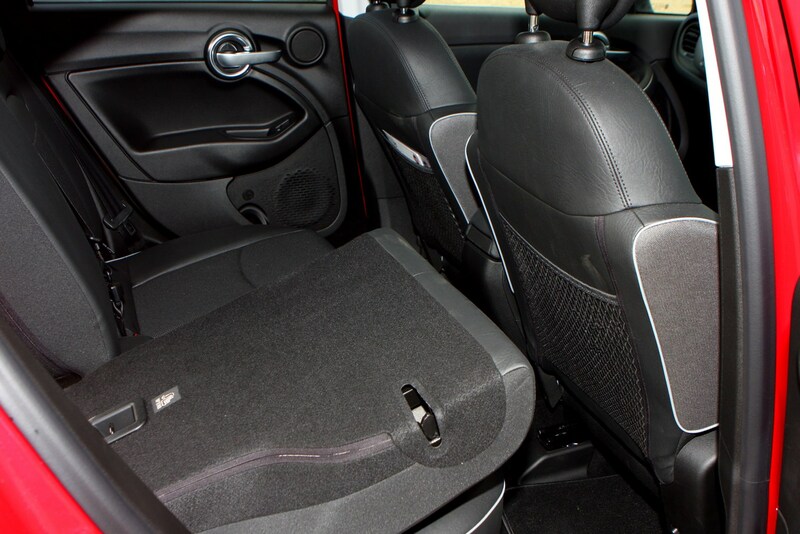 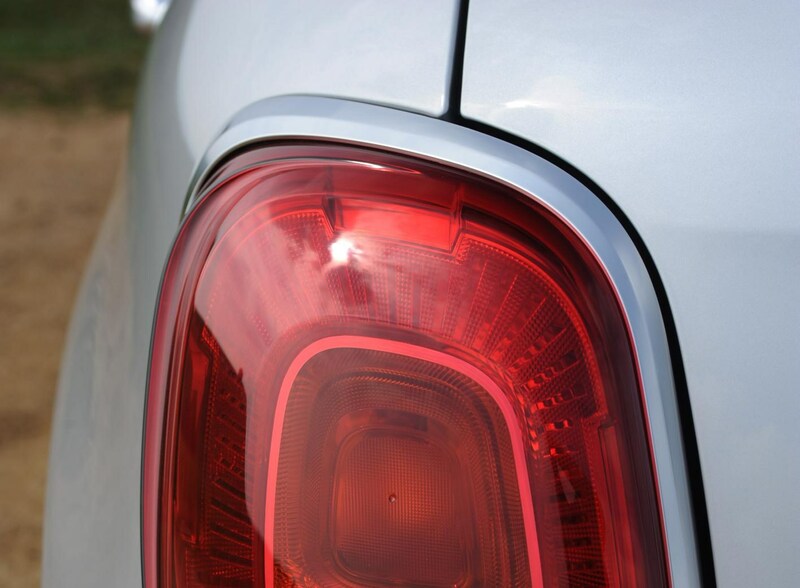 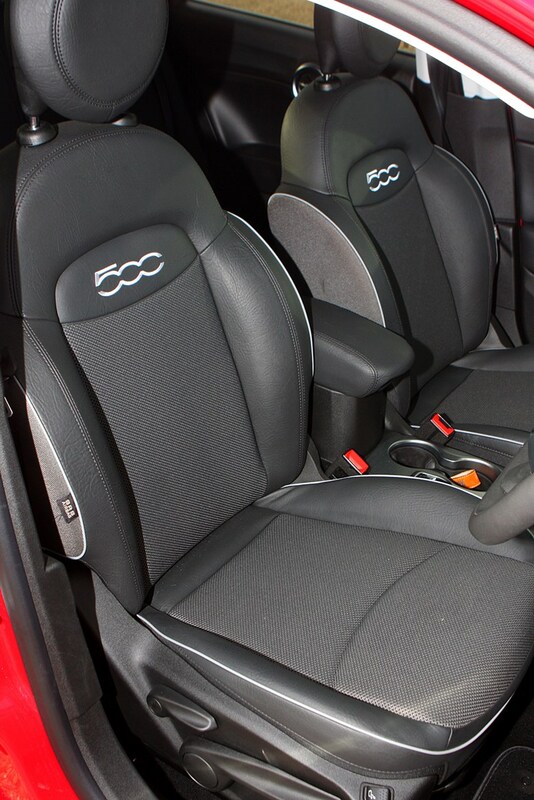 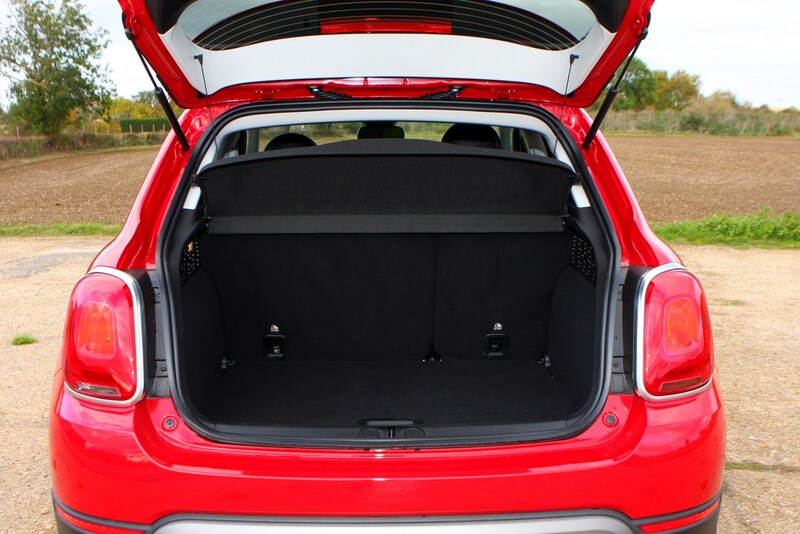 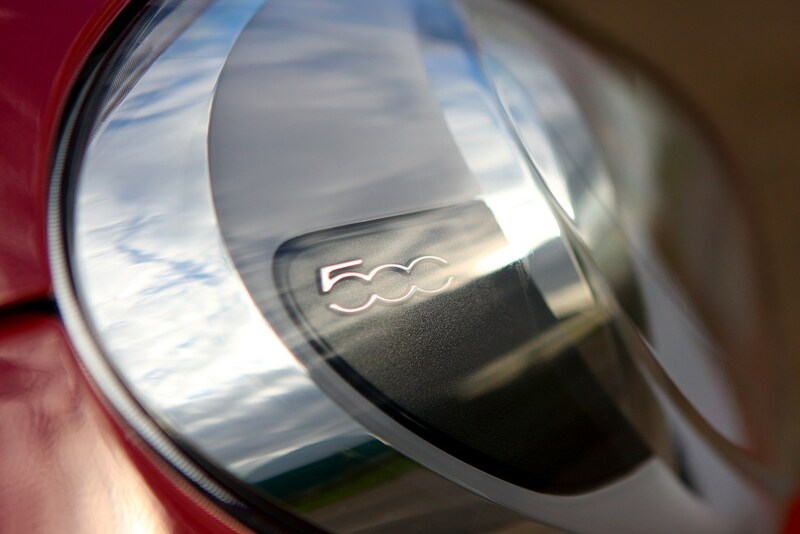 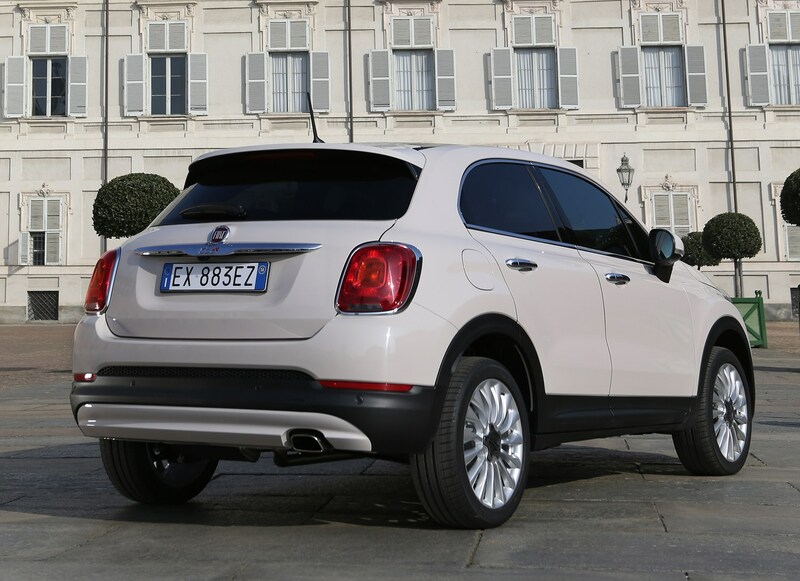 The 500X’s cabin is a comfortable place to find one’s self. 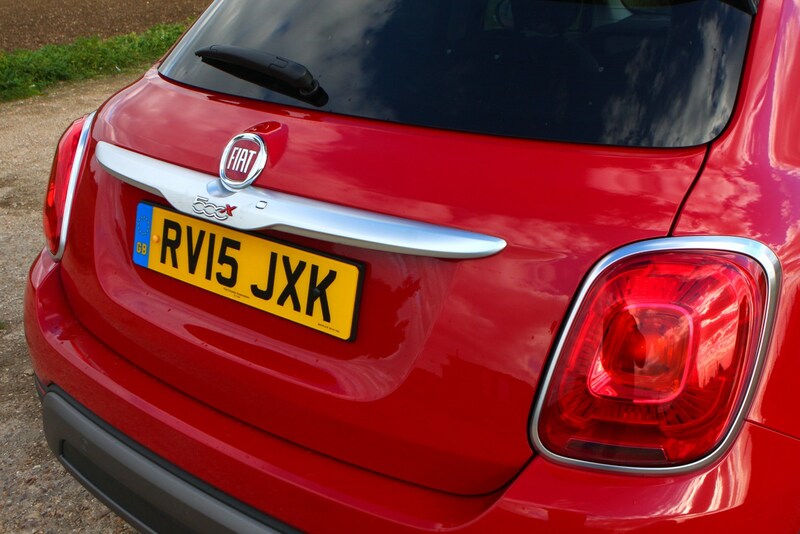 Its design is simple but pleasingly retro, with body-coloured accents on hand to brighten things up. 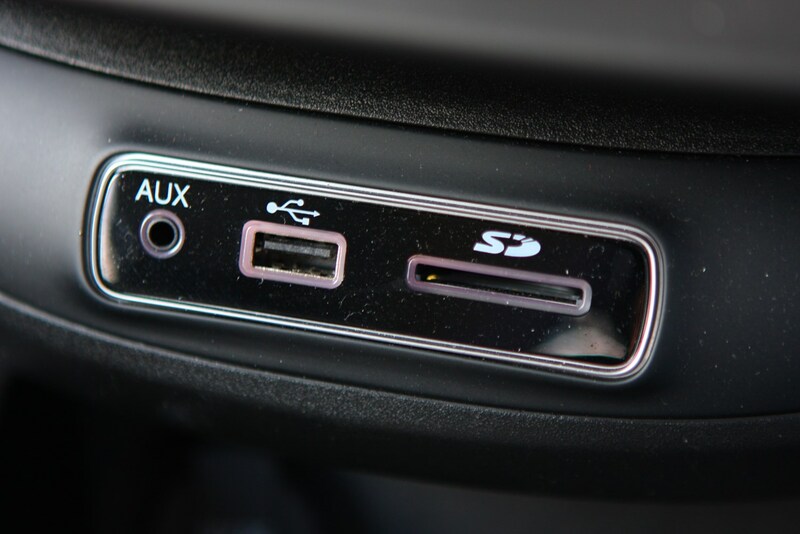 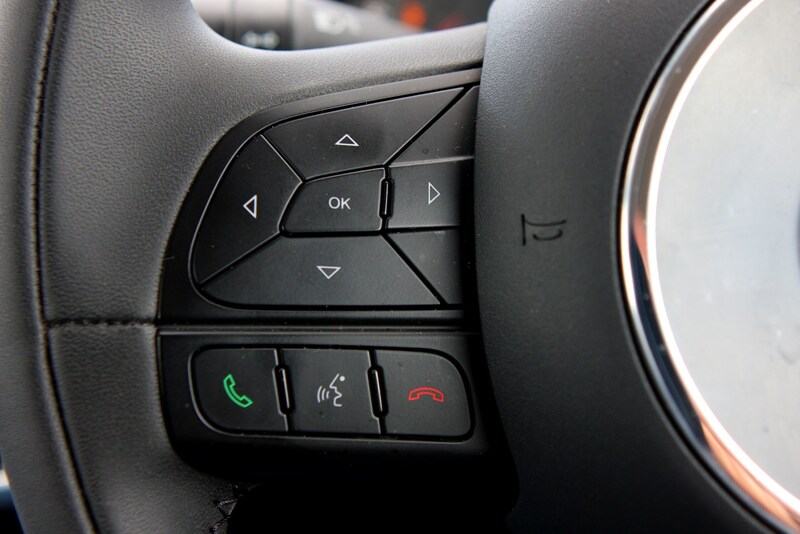 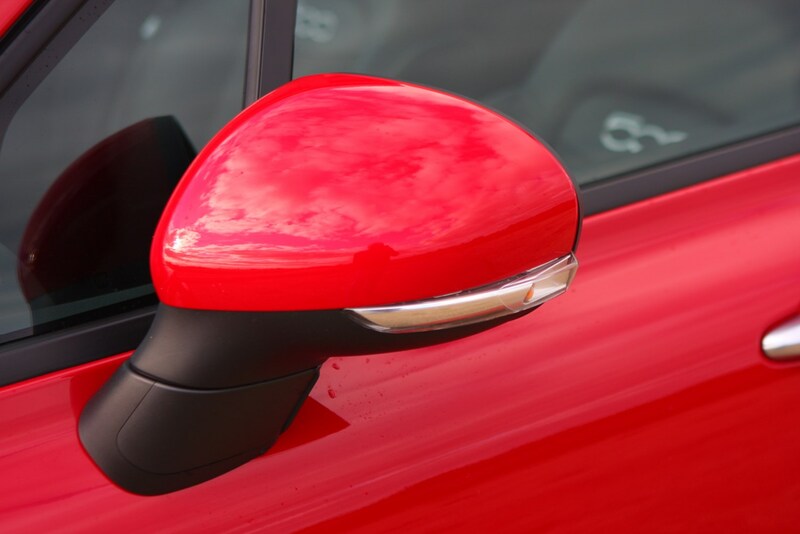 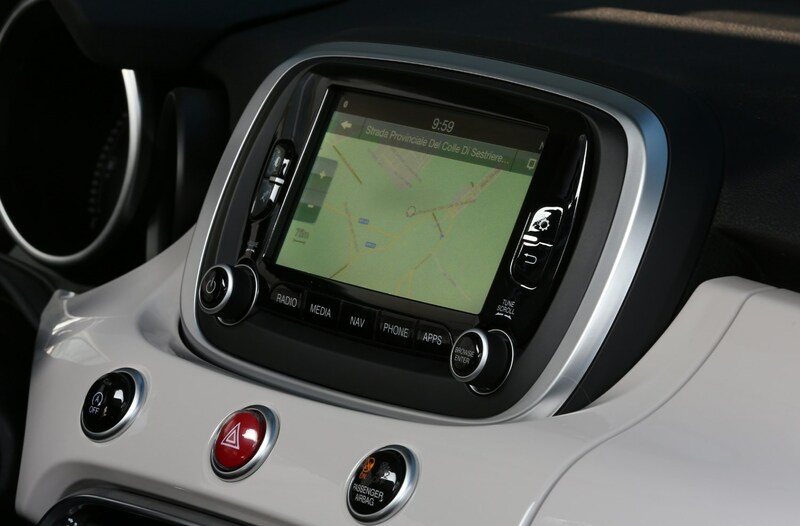 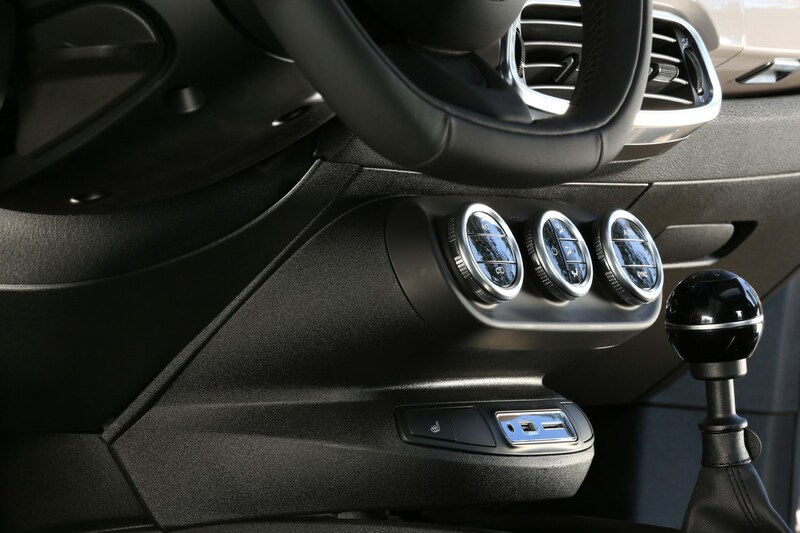 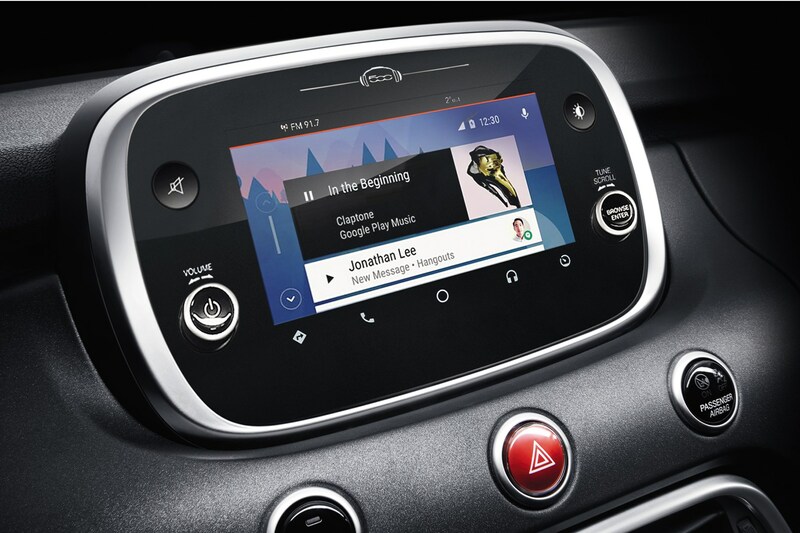 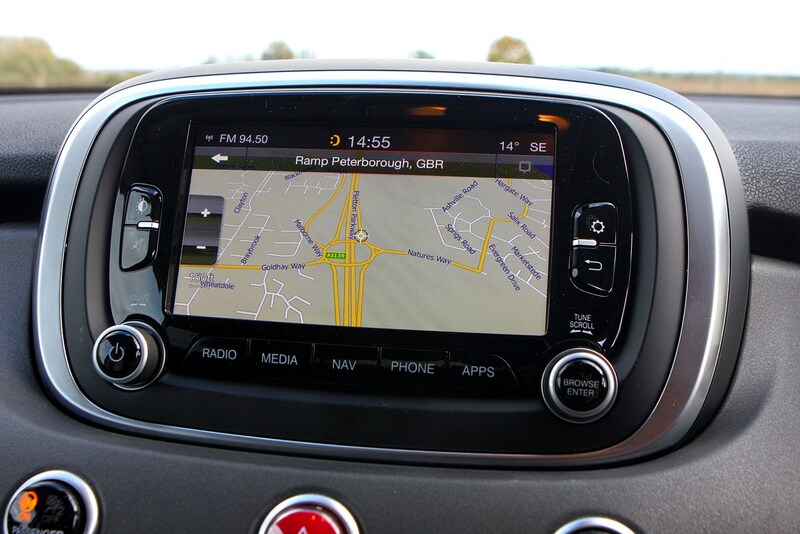 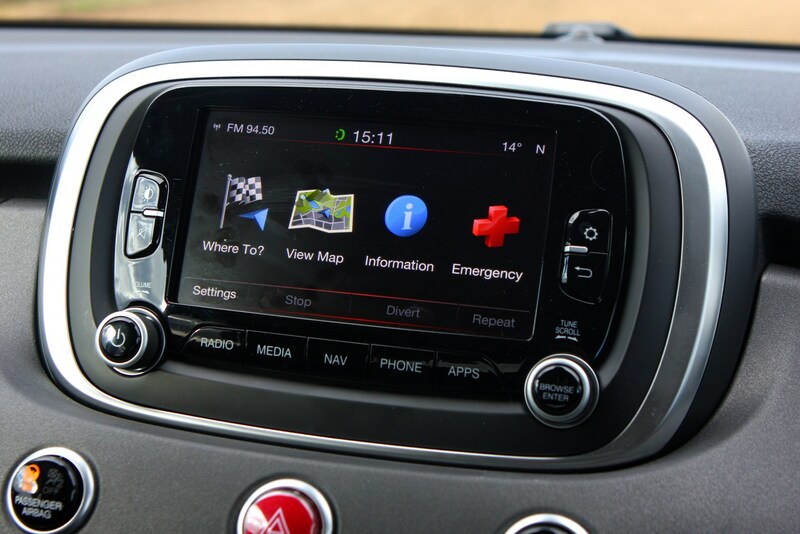 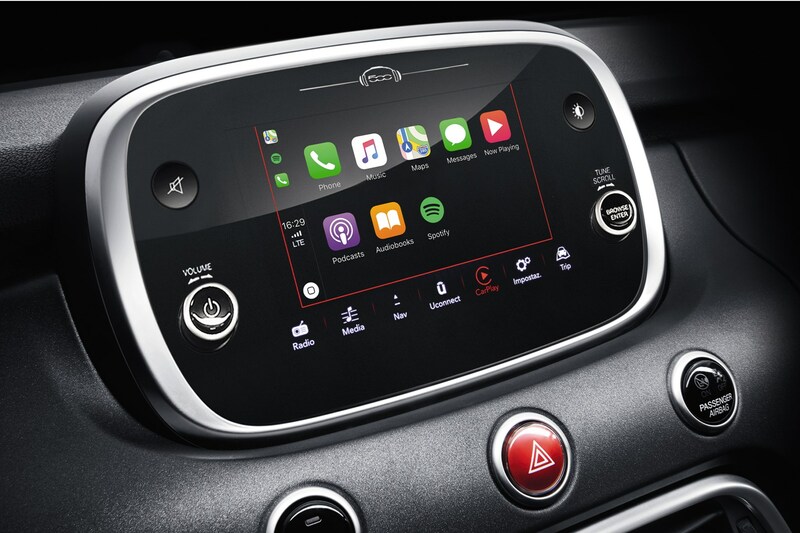 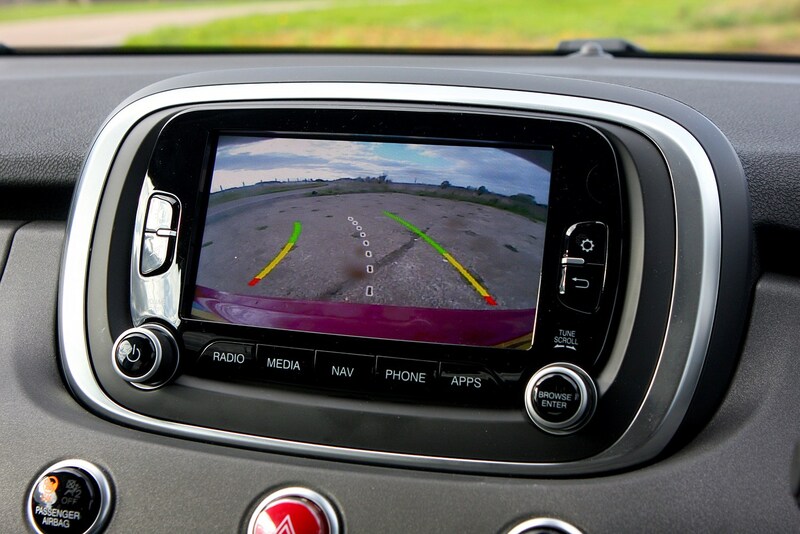 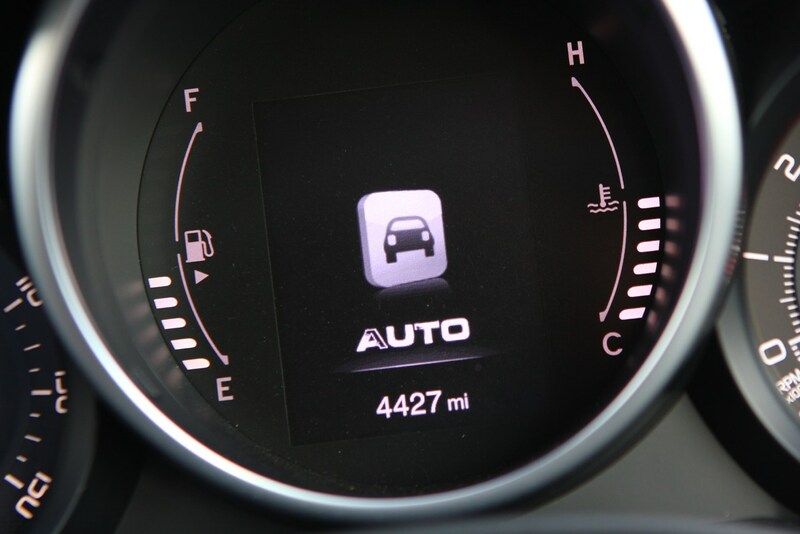 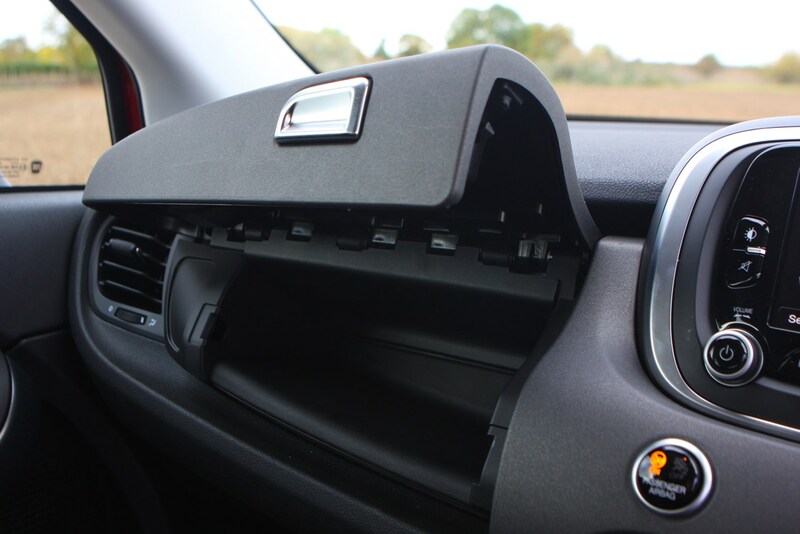 A 7.0-inch touchscreen sits prominently at the top of the dash and features what look like relatively modern graphics, but sadly we struggled with the TomTom sat-nav in high-spec cars being far too slow to react, in some cases causing us to miss junctions when driving in city centres. 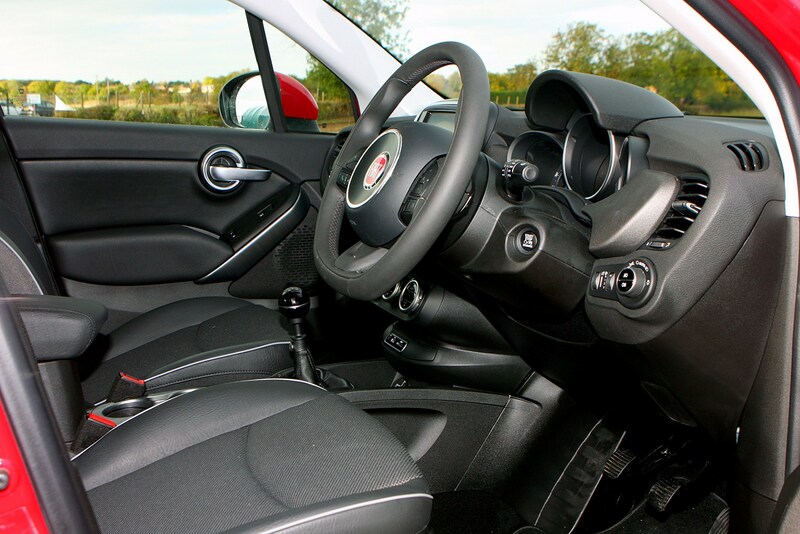 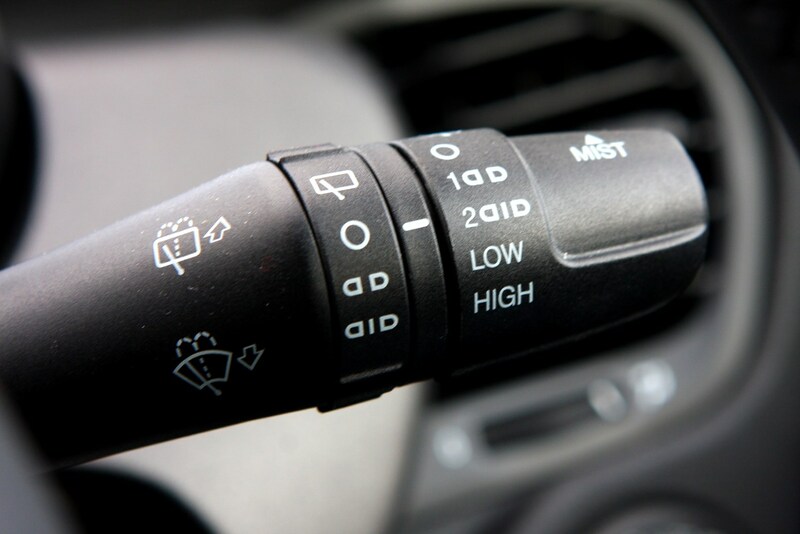 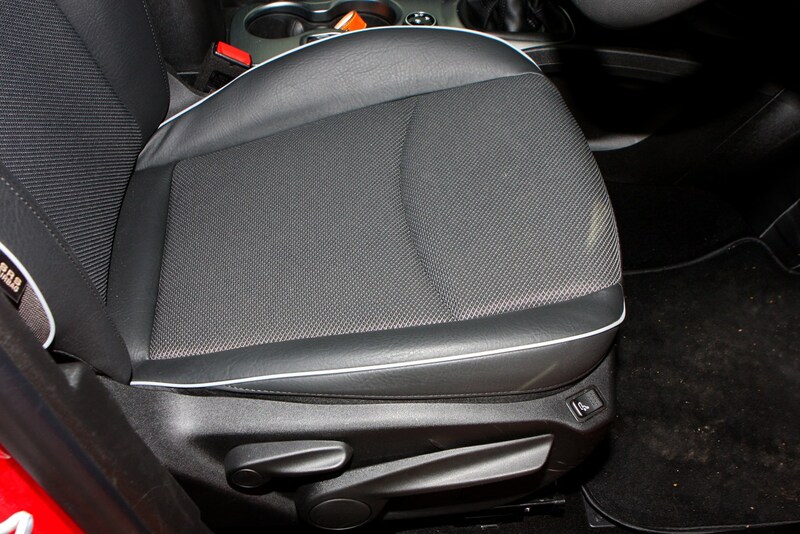 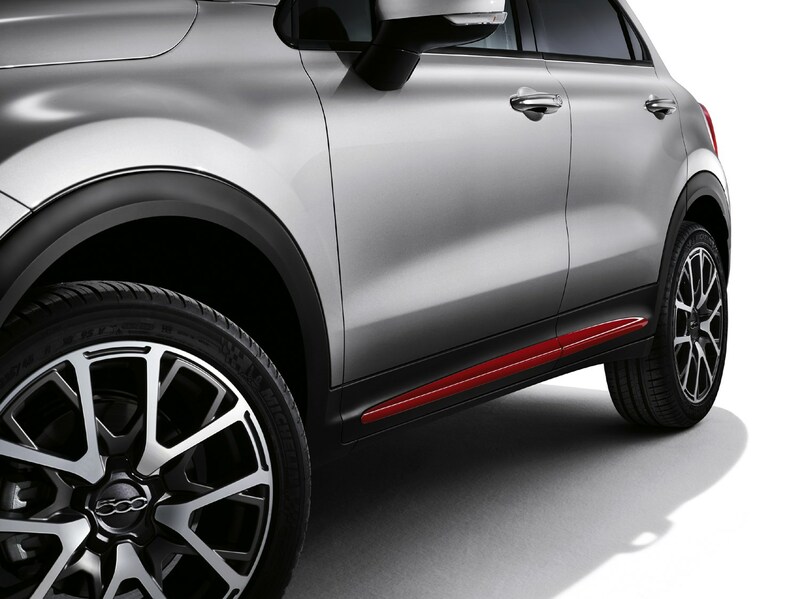 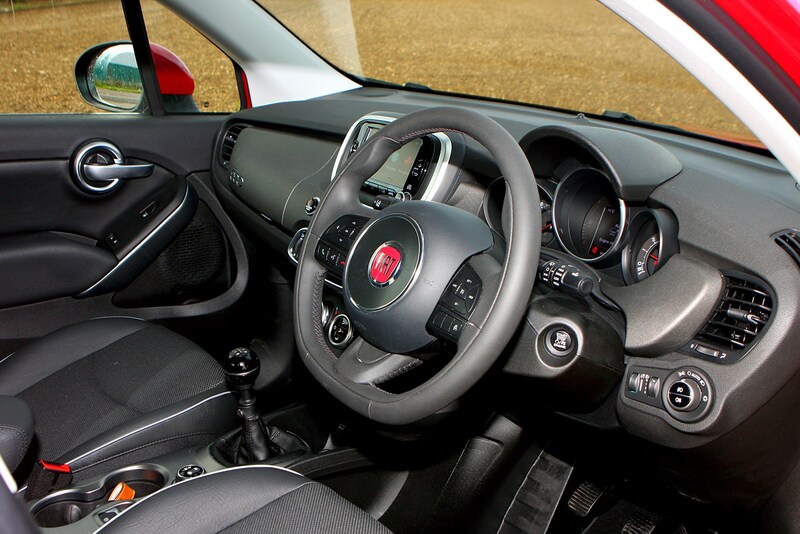 We found the ideal driving position easy to locate thanks to decent adjustability of seat and steering wheel, though you don’t sit as high as you may expect given its off-roader looks. 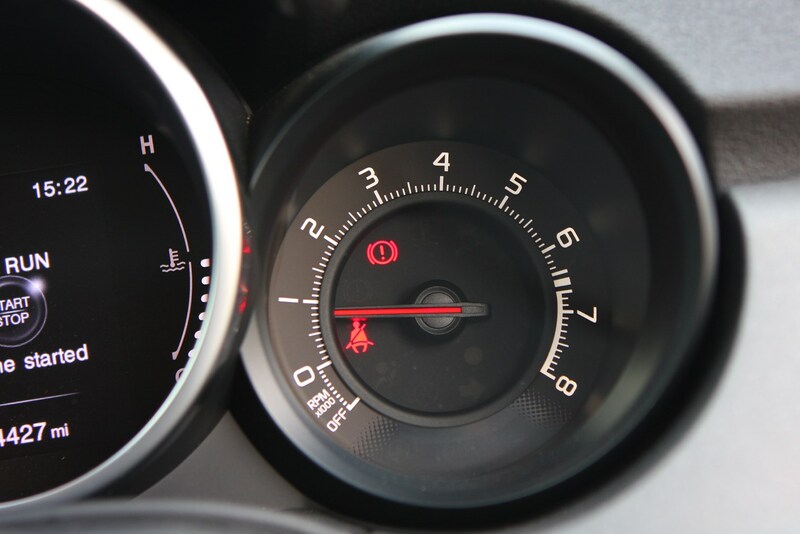 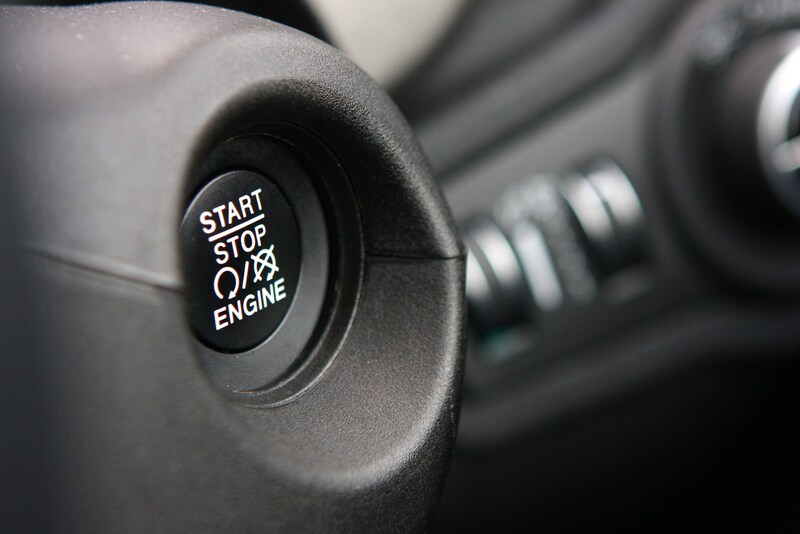 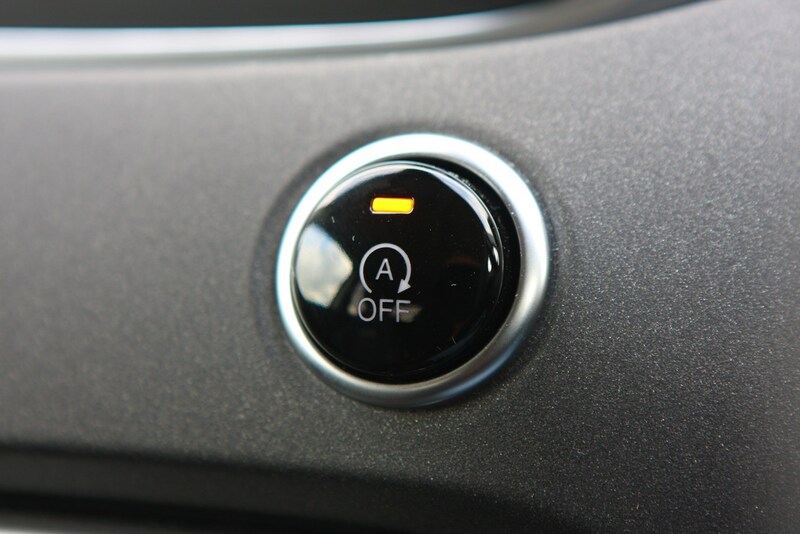 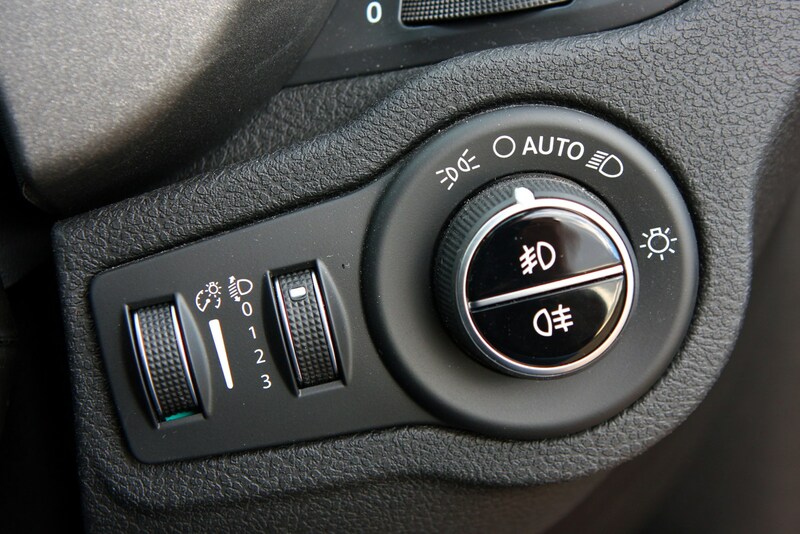 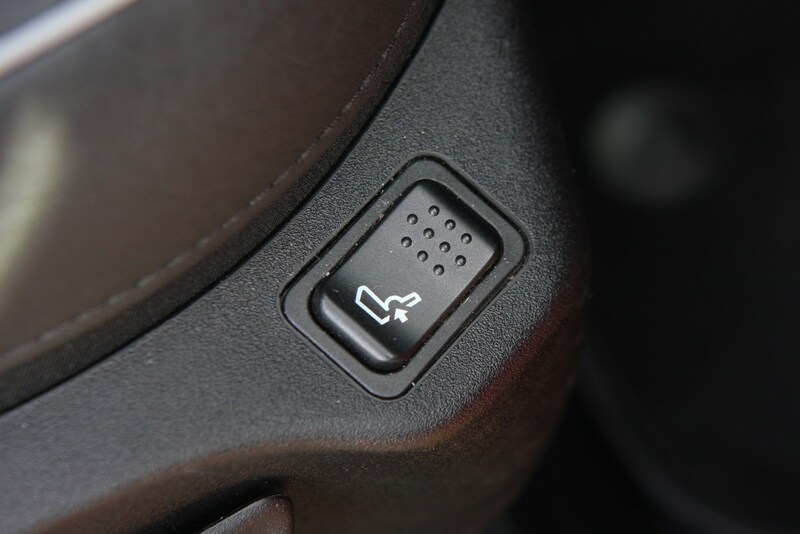 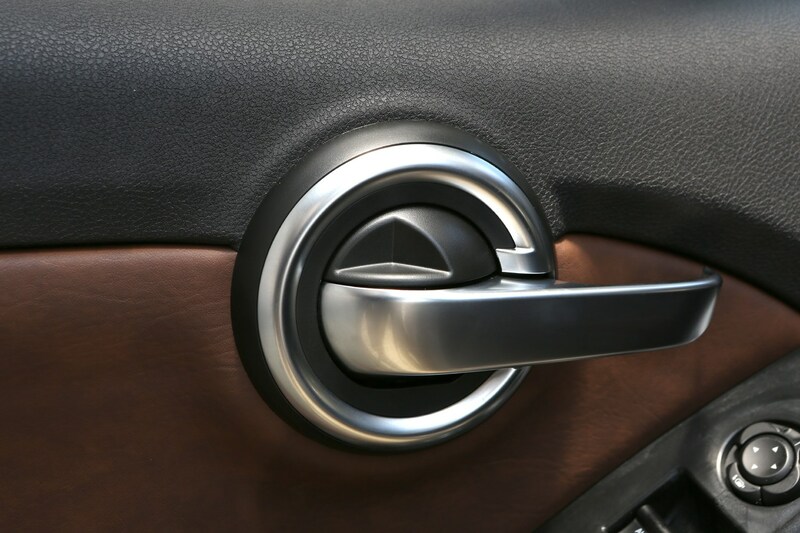 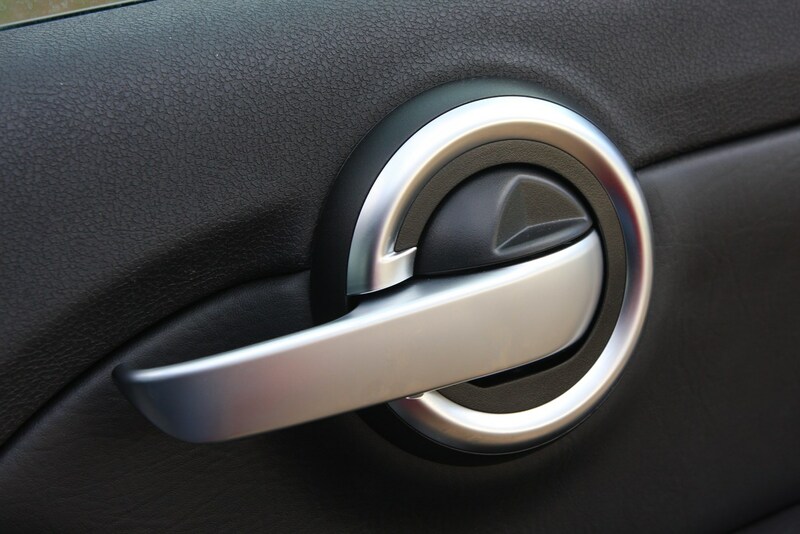 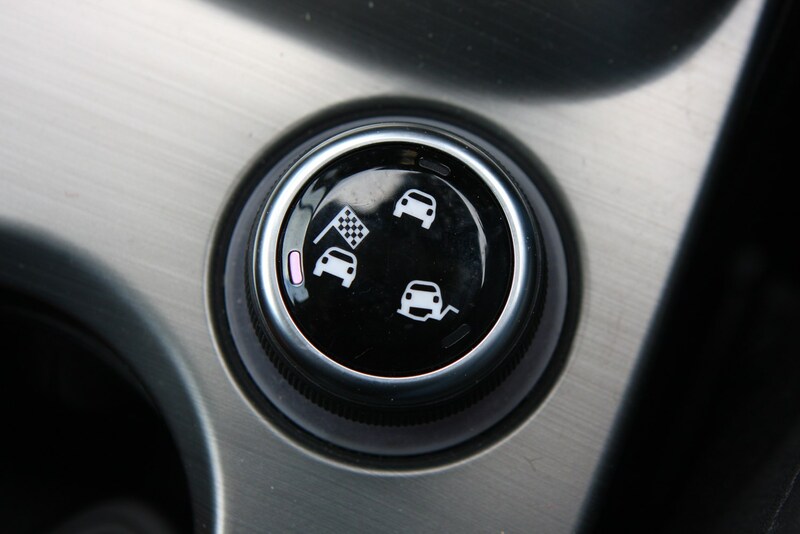 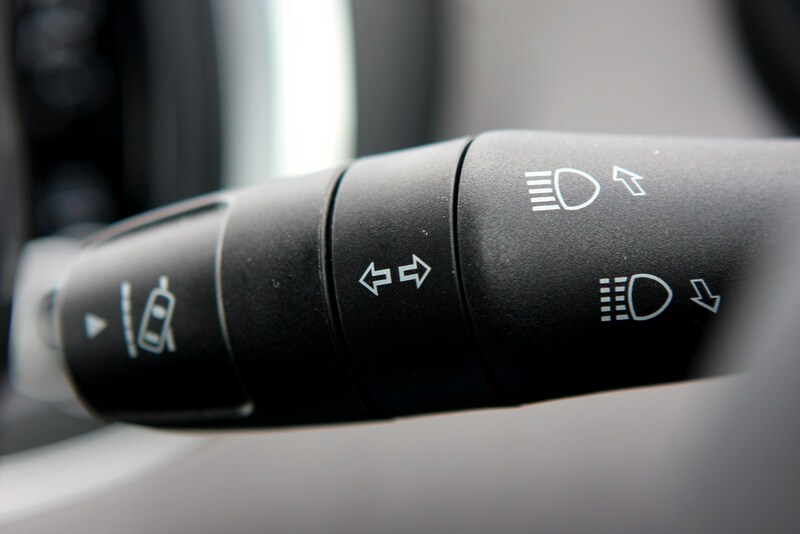 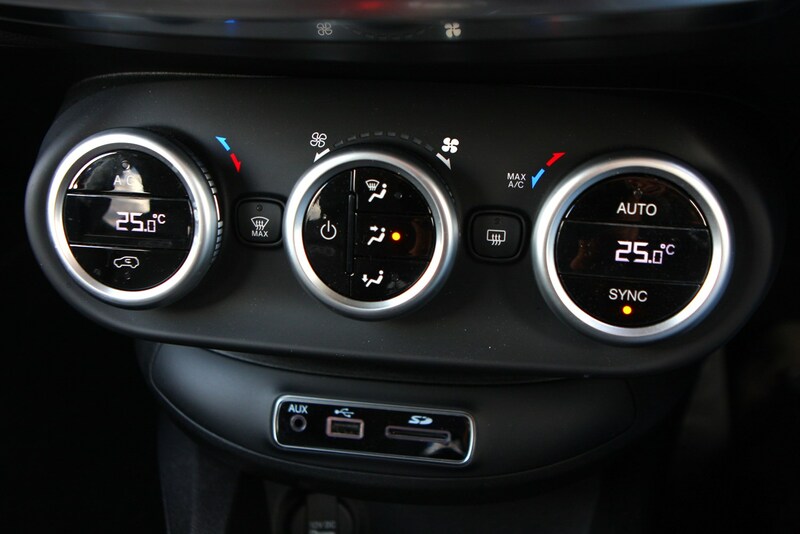 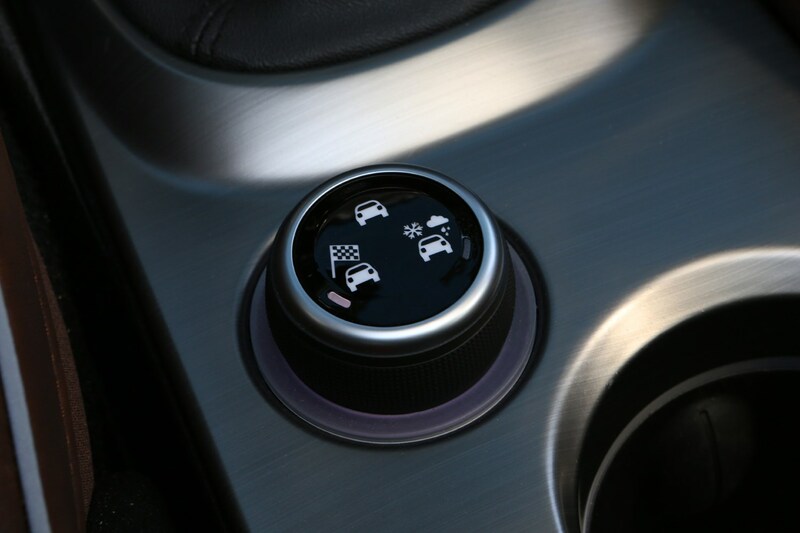 The gearknob on manual cars is a large spherical item that feels odd to use at first, but you soon get used to it. 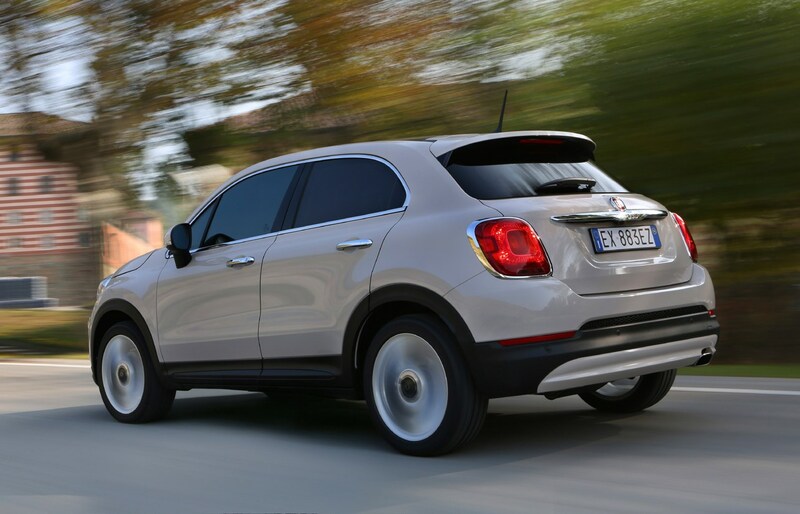 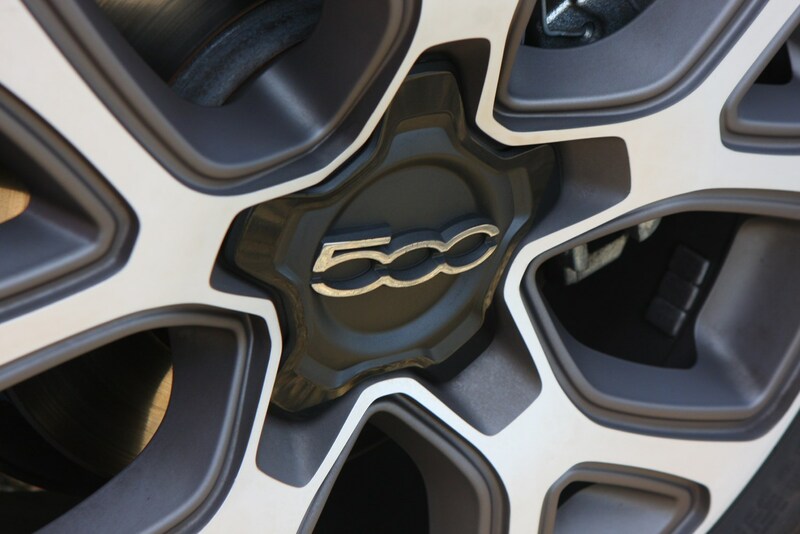 We found the 500X to be a solid-feeling machine with admirable refinement. 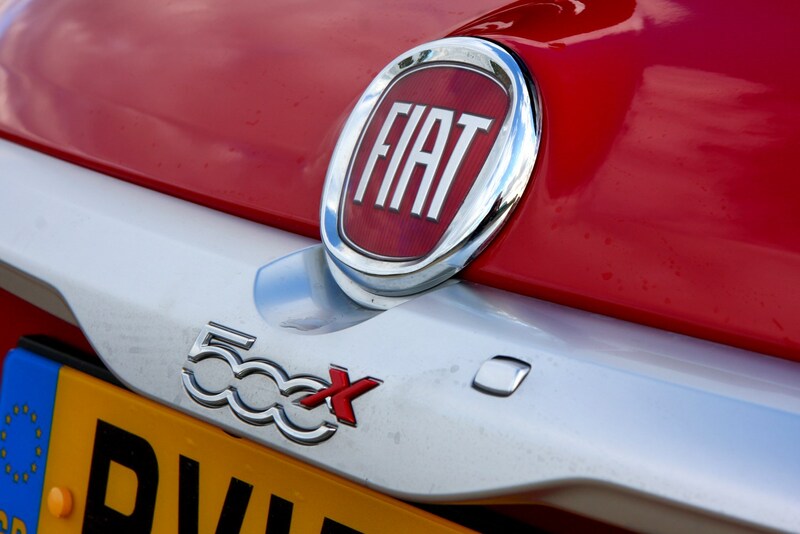 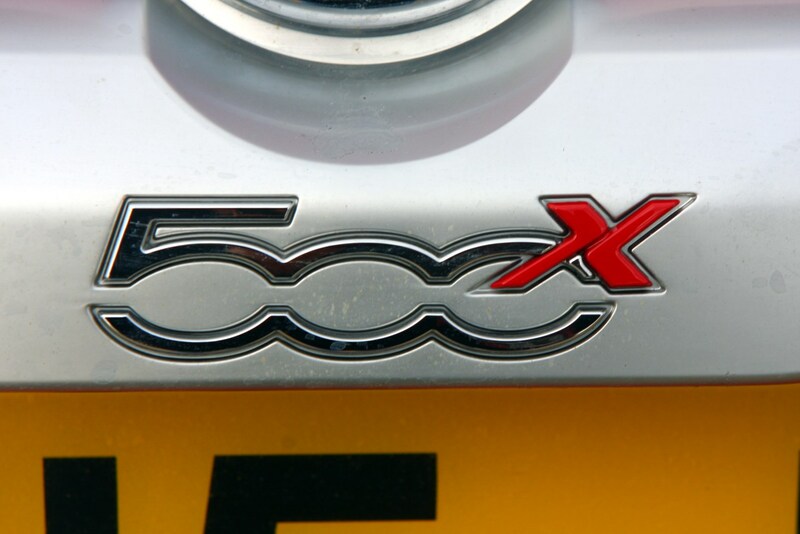 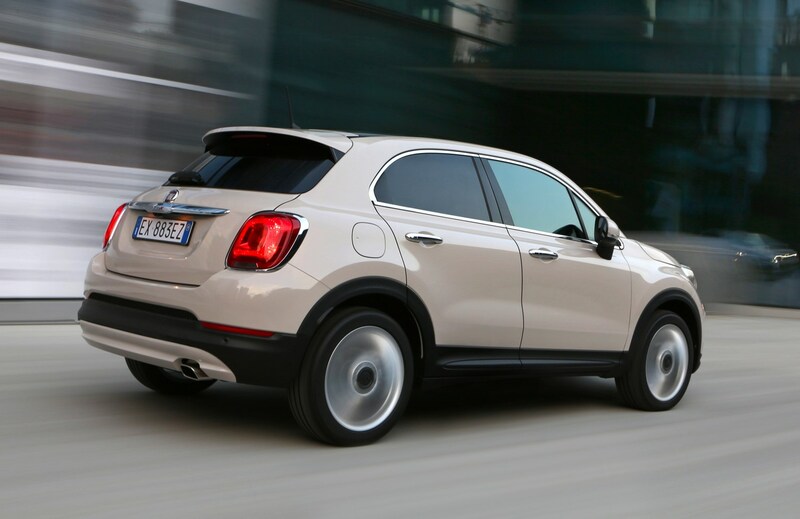 Don’t forget, though its name says 500, the X is based on a different platform to the regular small hatchback. 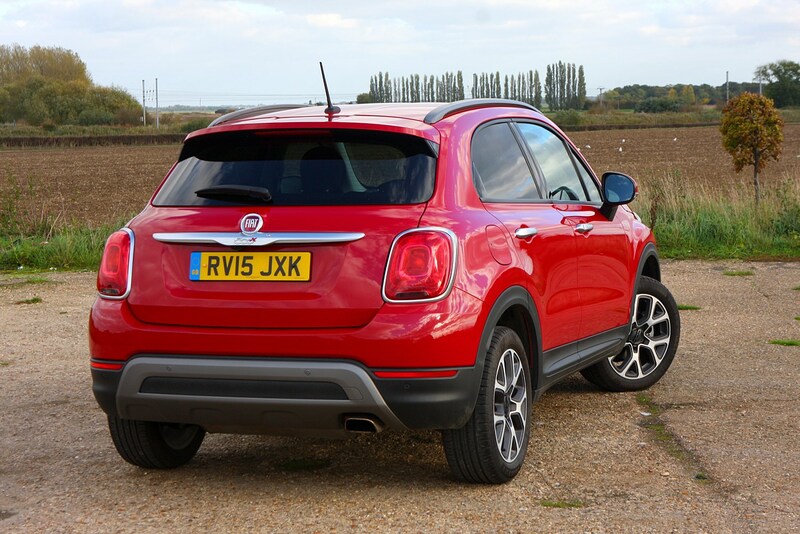 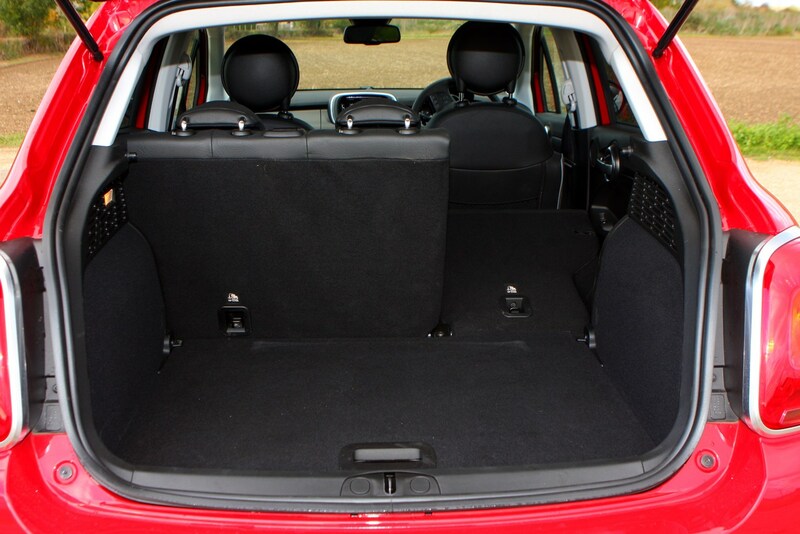 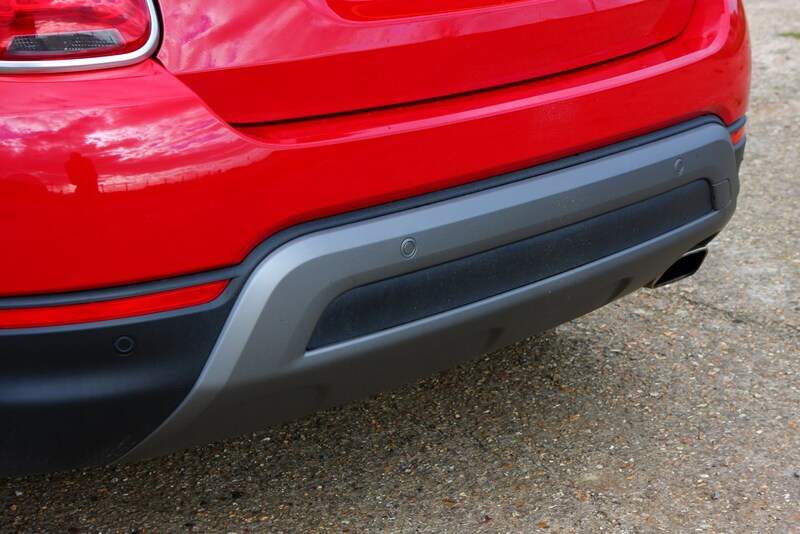 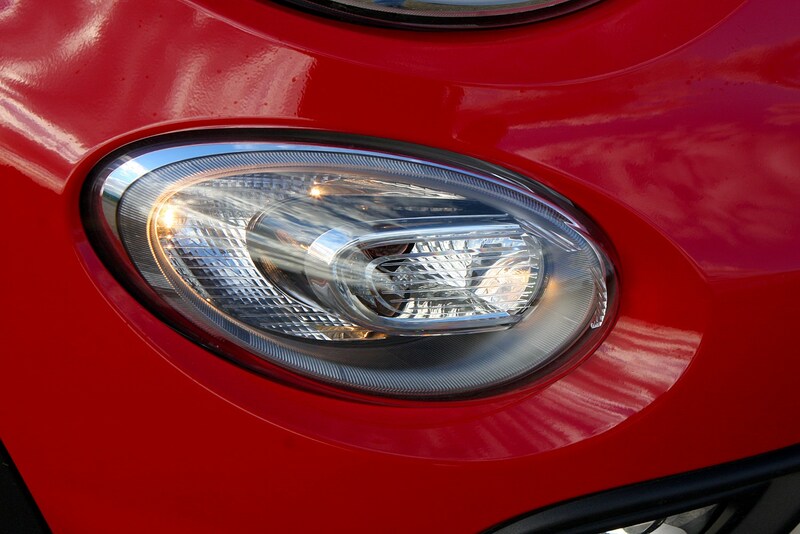 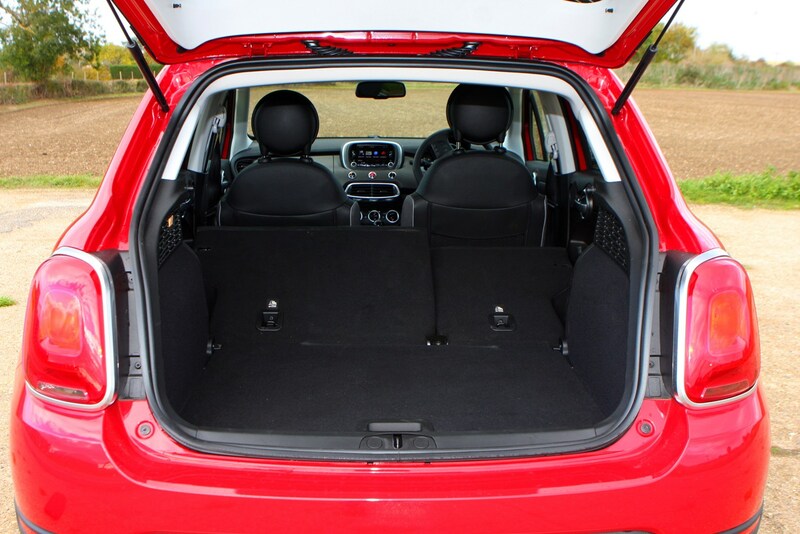 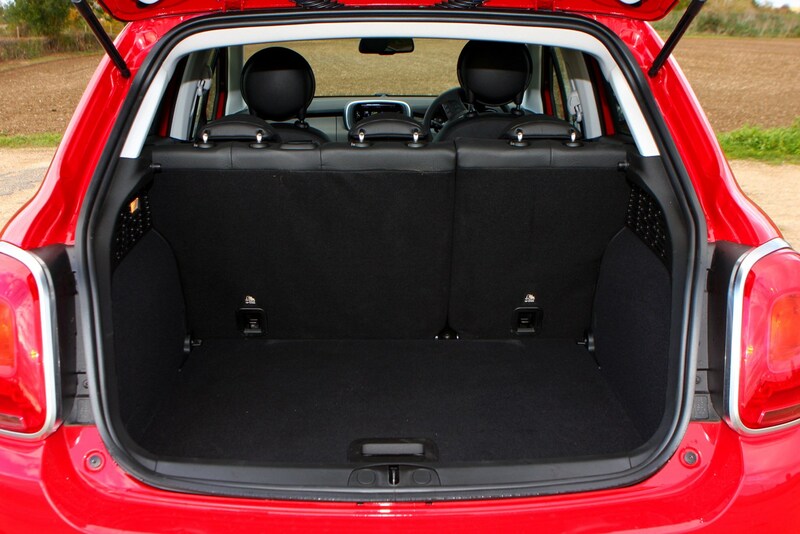 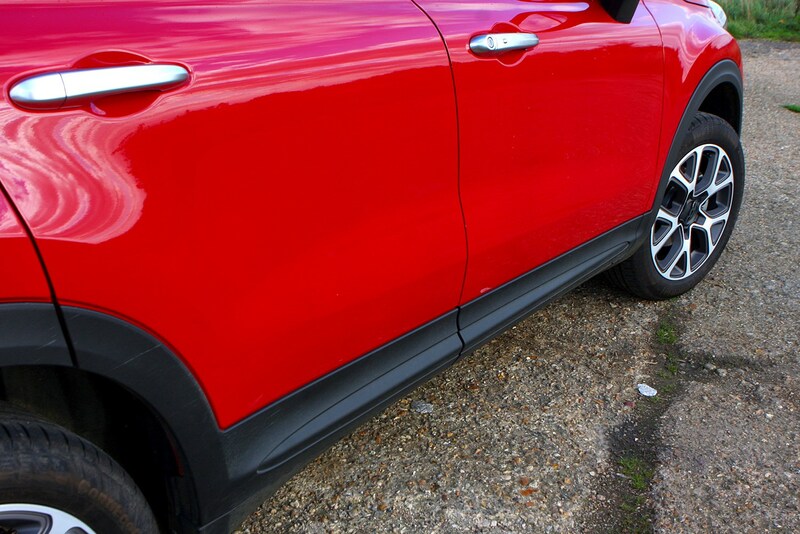 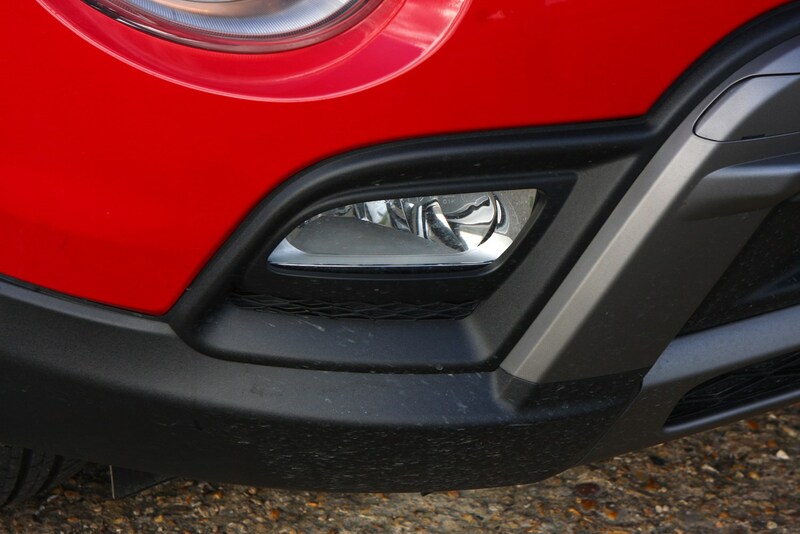 It actually shares its underpinnings with the larger Jeep Renegade, and indeed is built on the same production line. 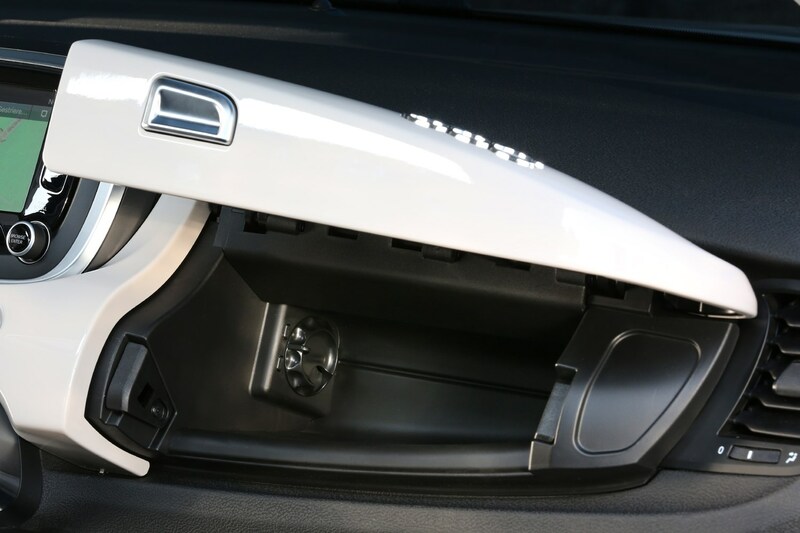 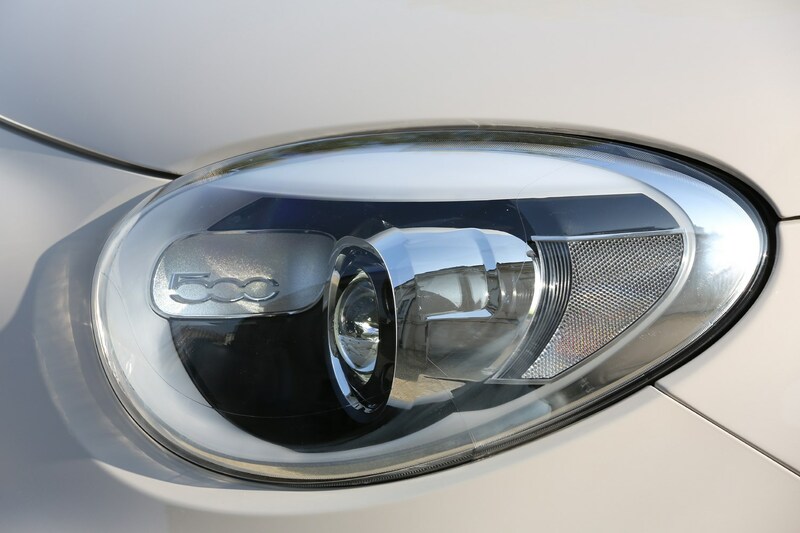 With that in mind it’s actually a better drive, with less noise intrusion – particularly at higher speeds – and it’s easier to get comfortable in the cabin. 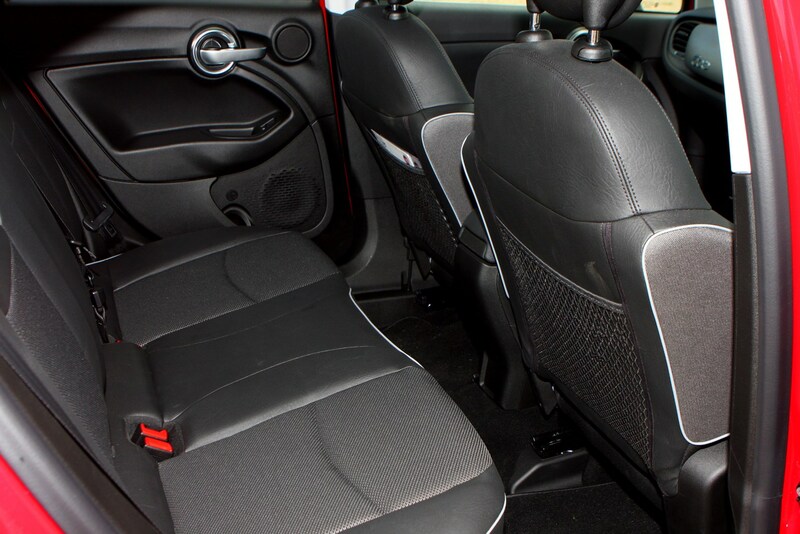 We found the front seats extremely comfortable though lacking a little lateral support, which is only an issue if you find yourself barrelling into a bend too quickly. 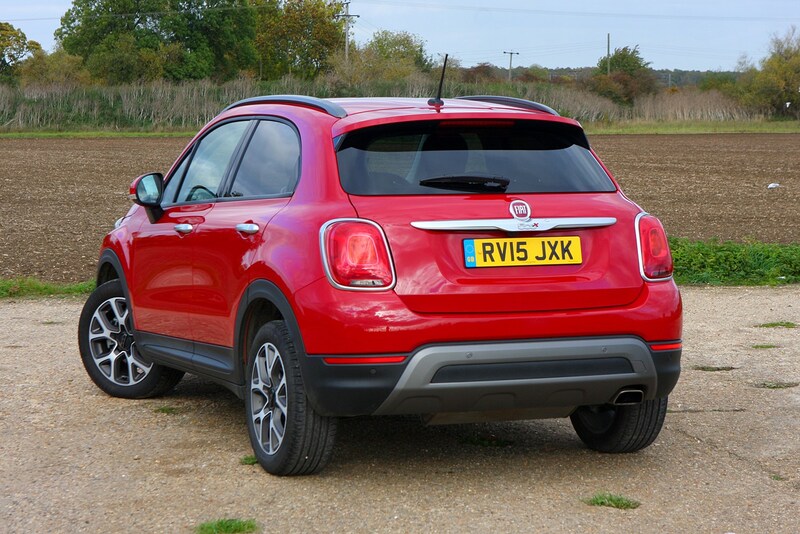 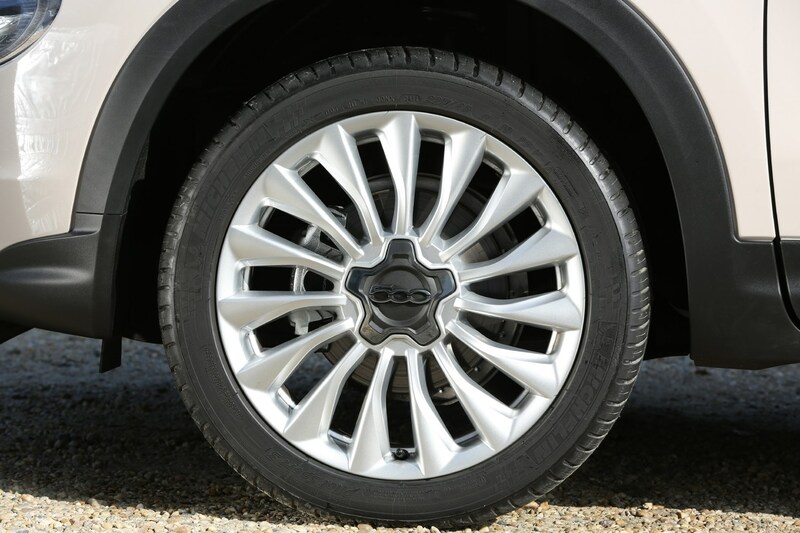 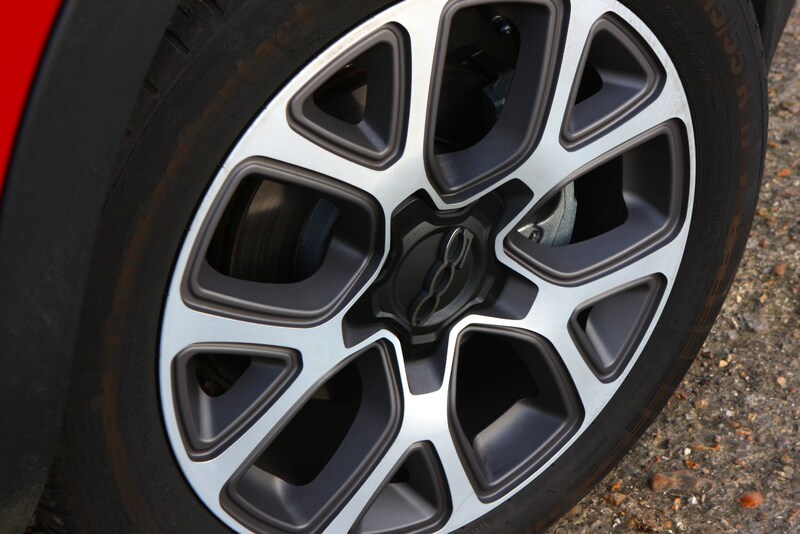 The ride quality is pretty good, with only the larger alloy wheel options introducing a little choppiness.